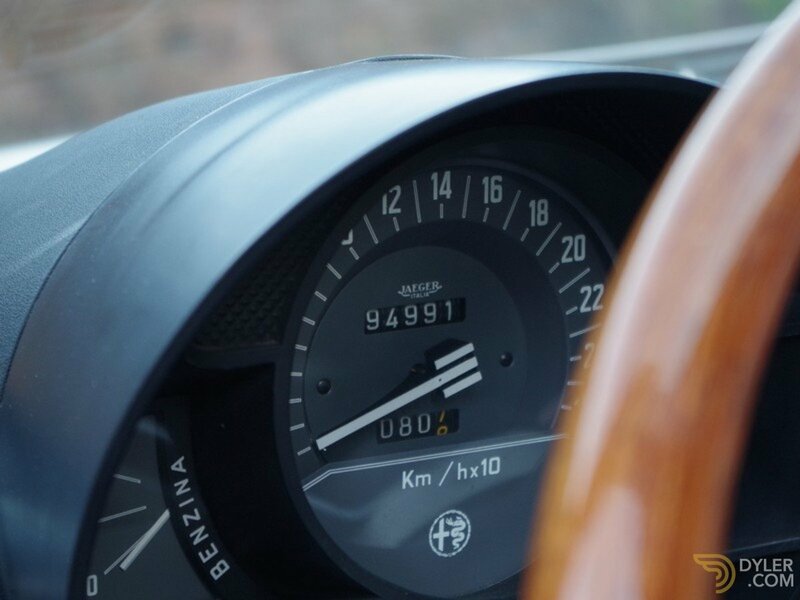 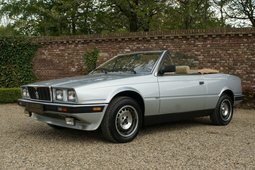 This Montreal comes from first Swiss owner with only 94000 kms!! 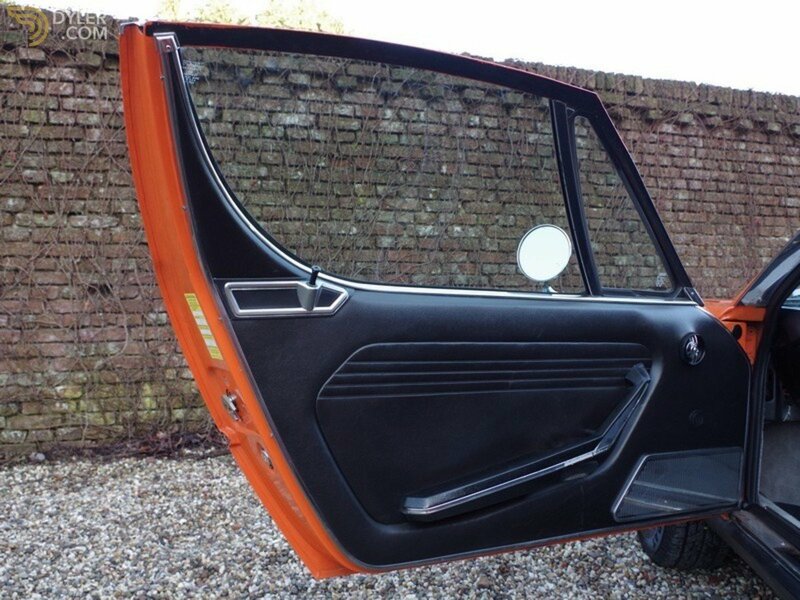 Bodywork very good, solid and no rust. 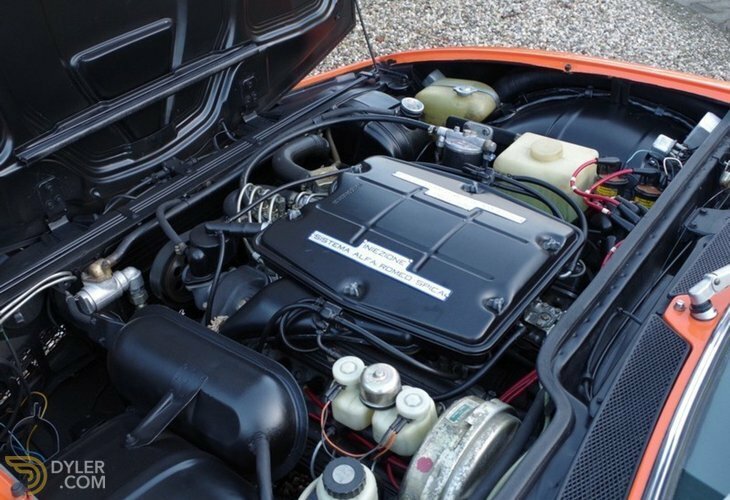 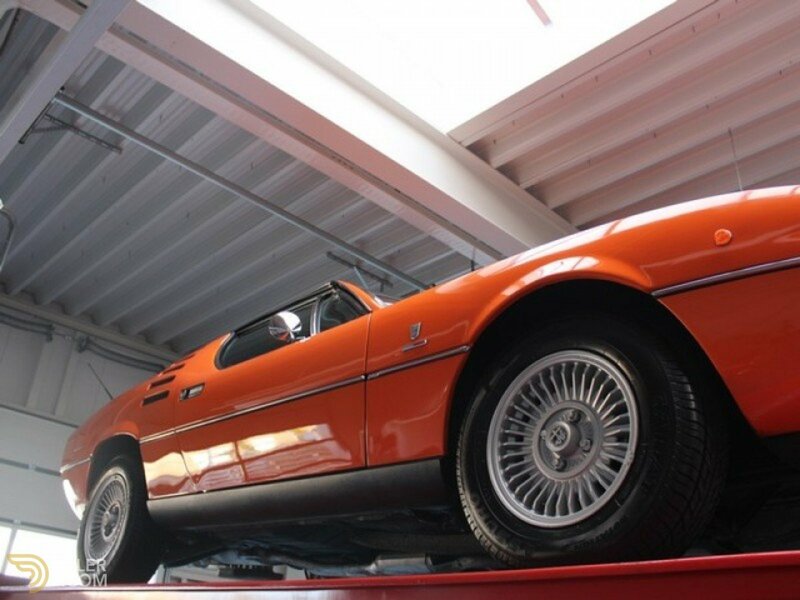 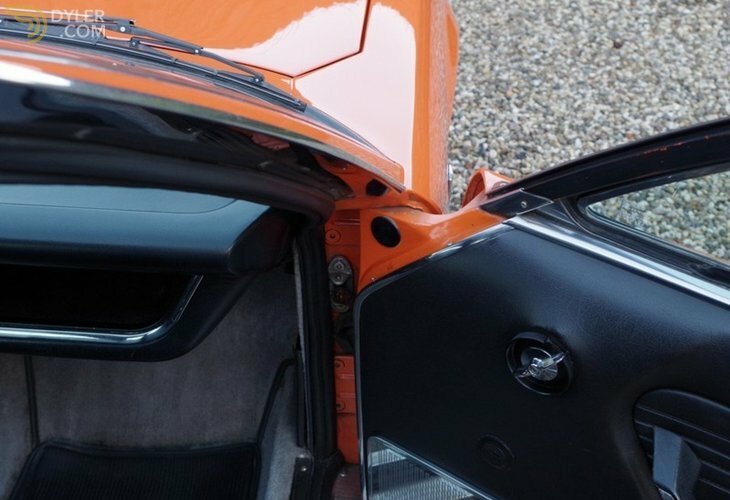 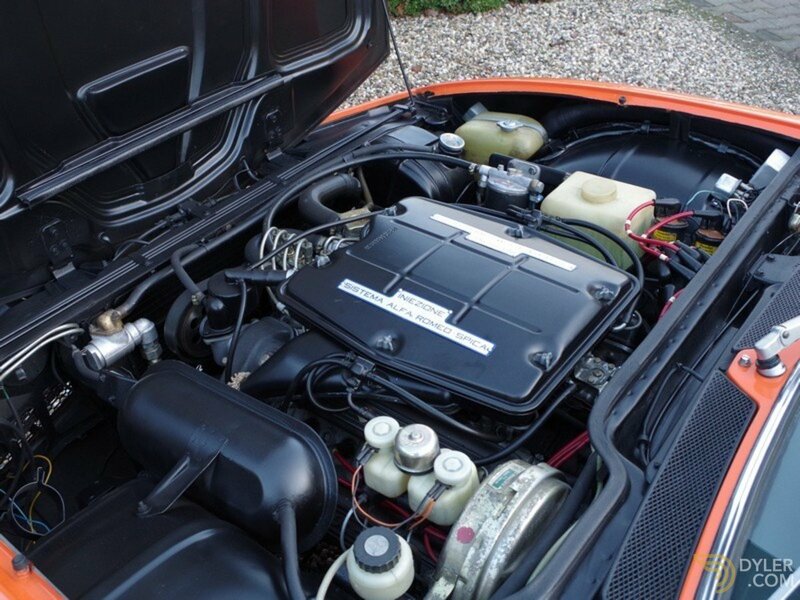 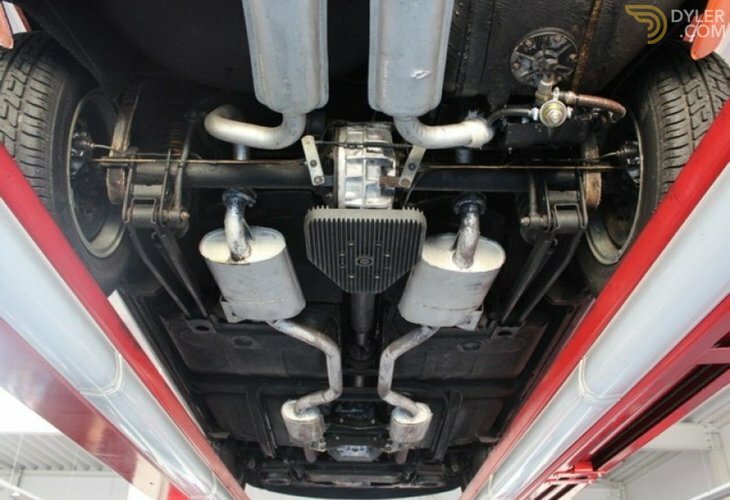 Technical perfectly maintained and therefore also exceptionally well working and driving. 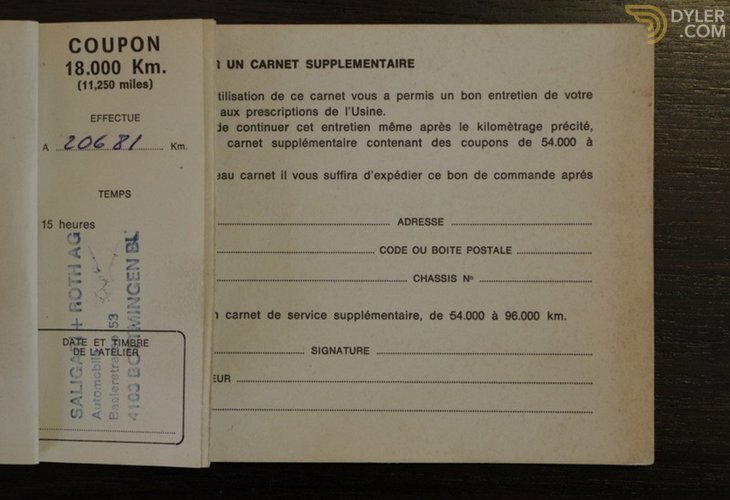 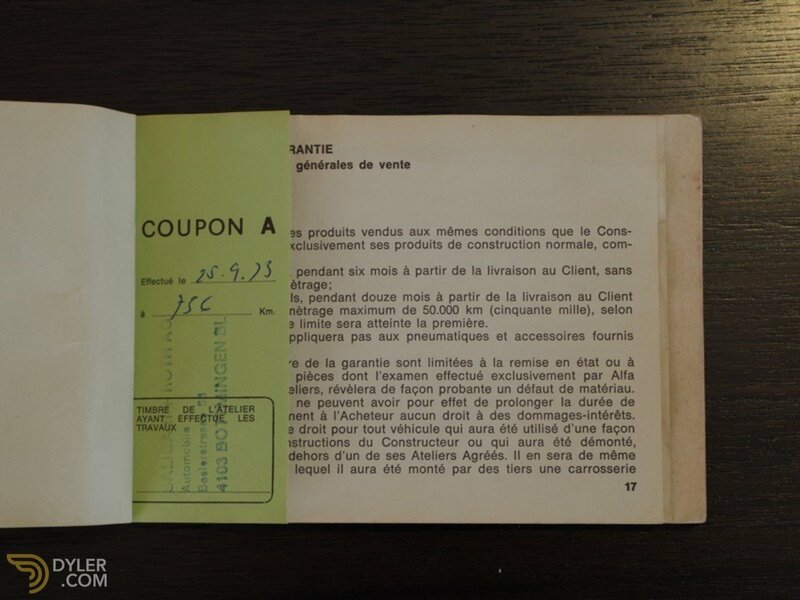 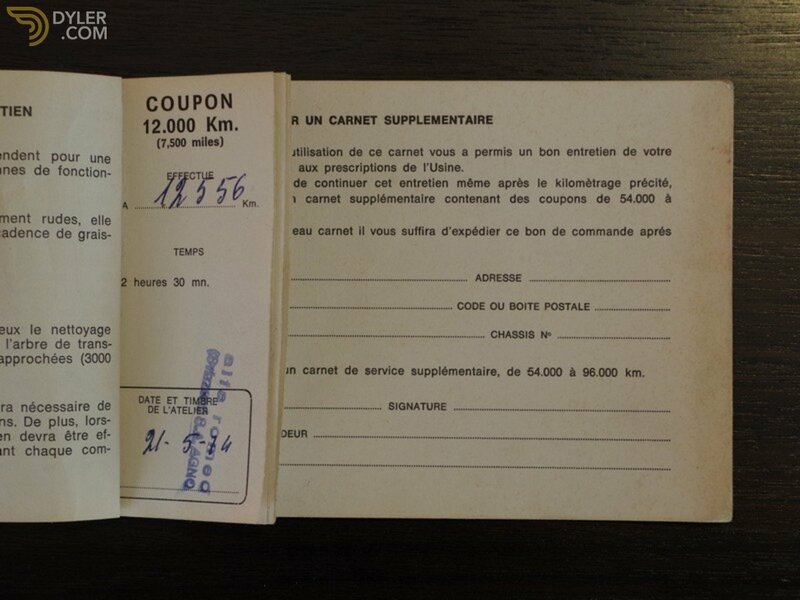 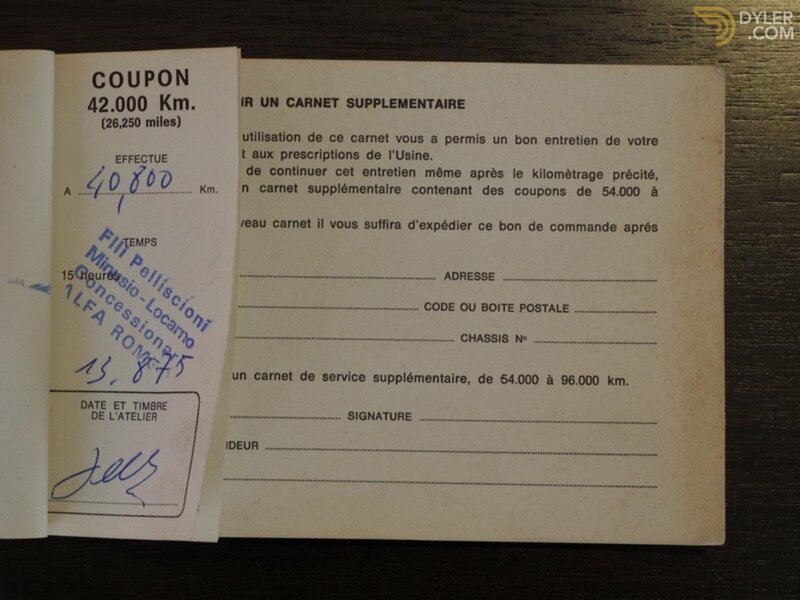 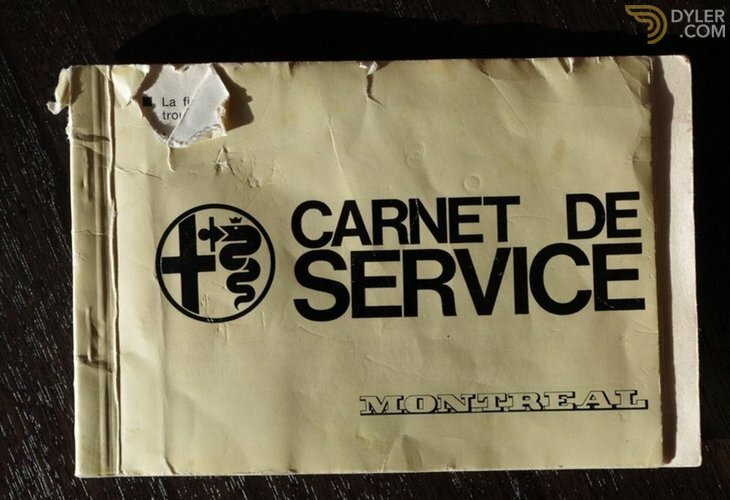 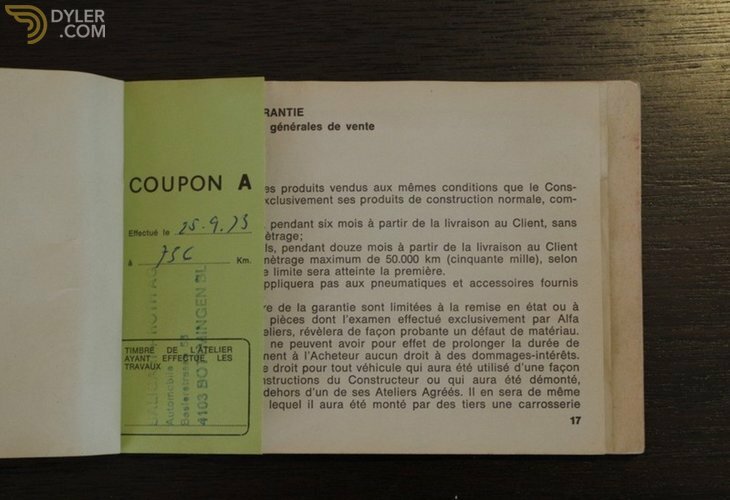 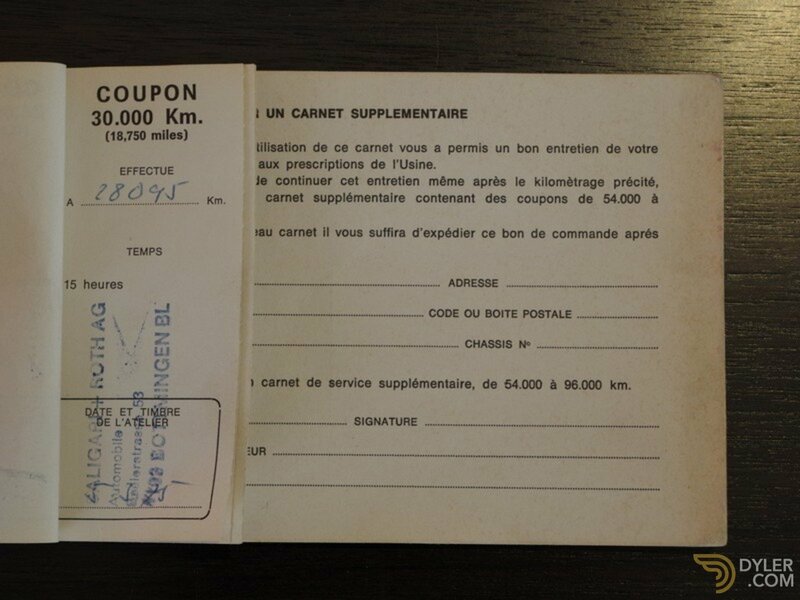 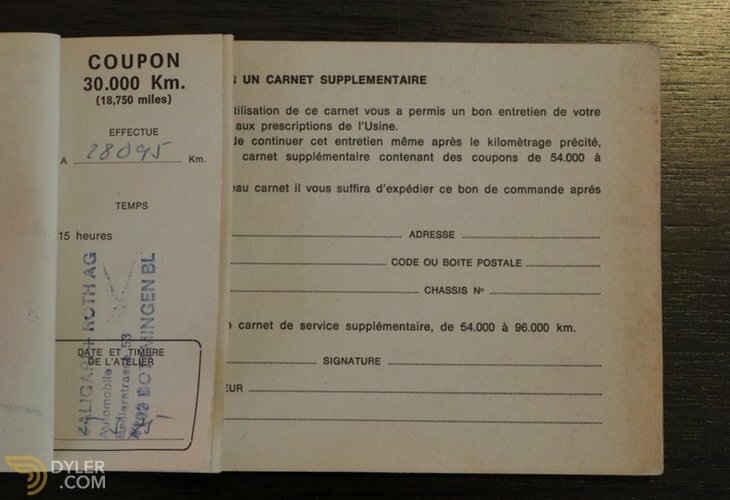 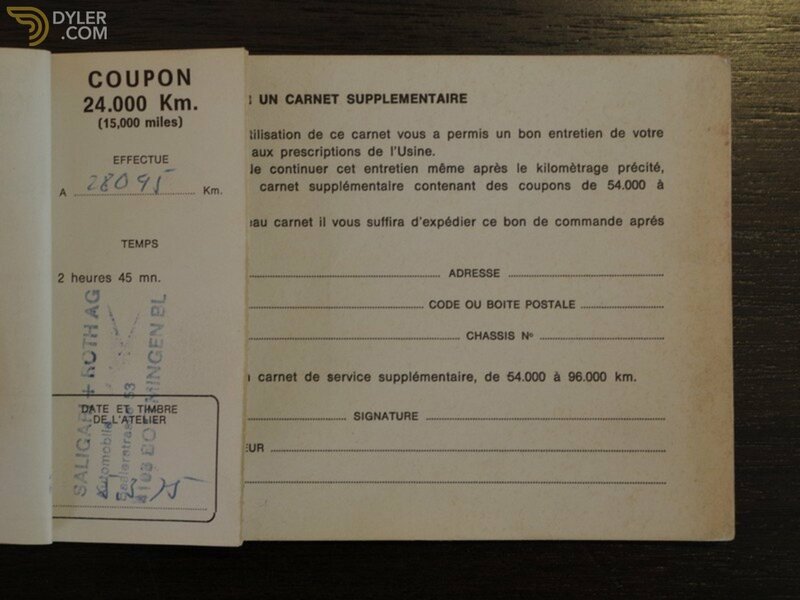 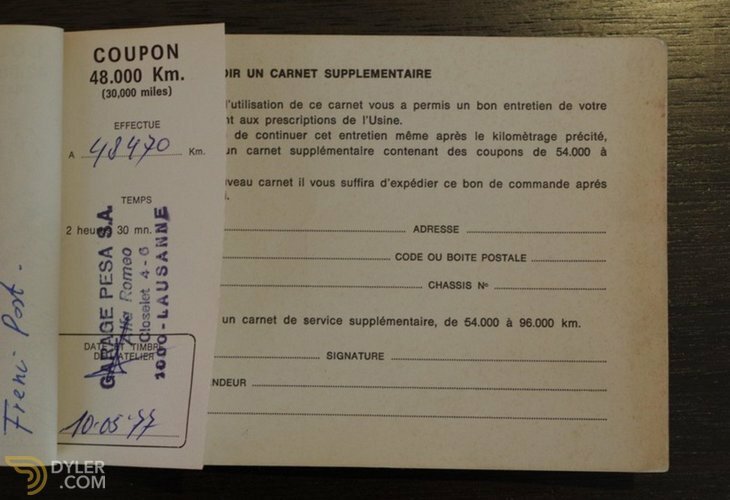 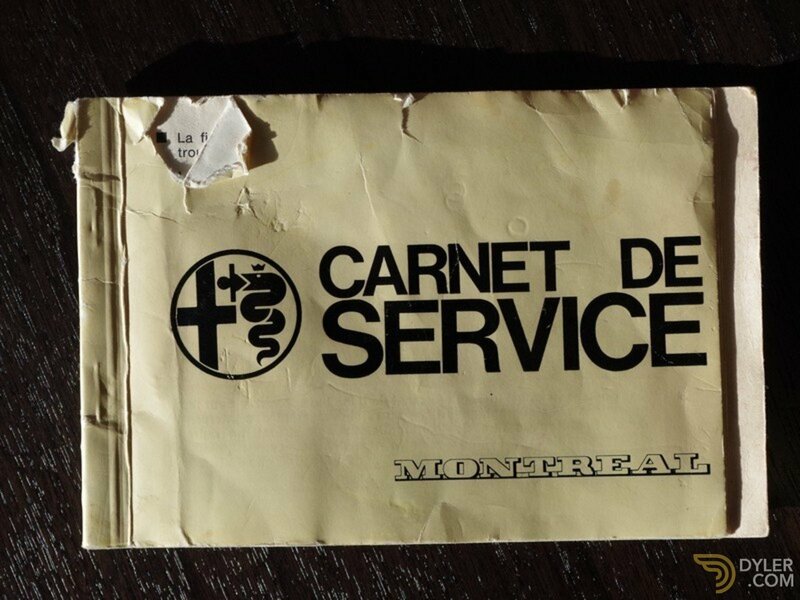 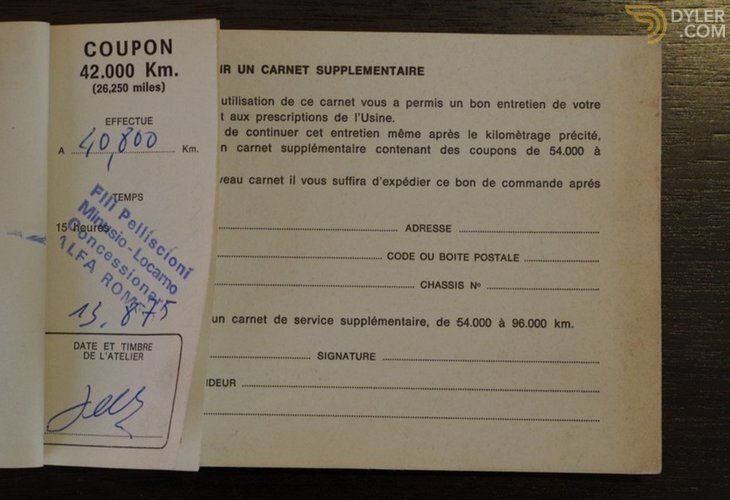 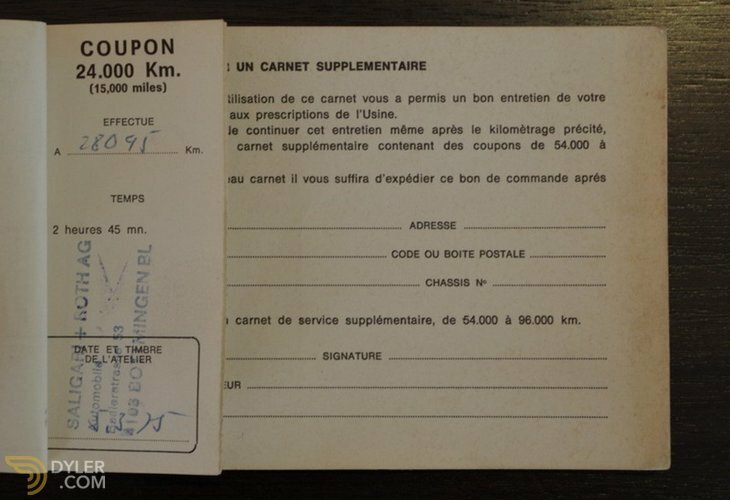 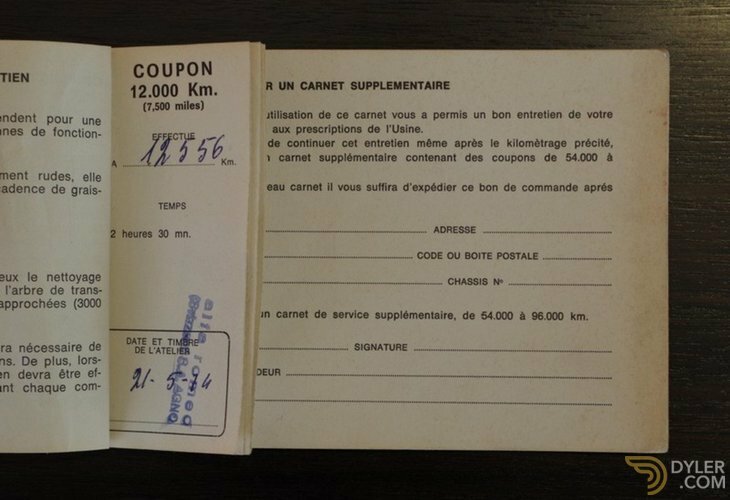 Comes with the original service booklets! 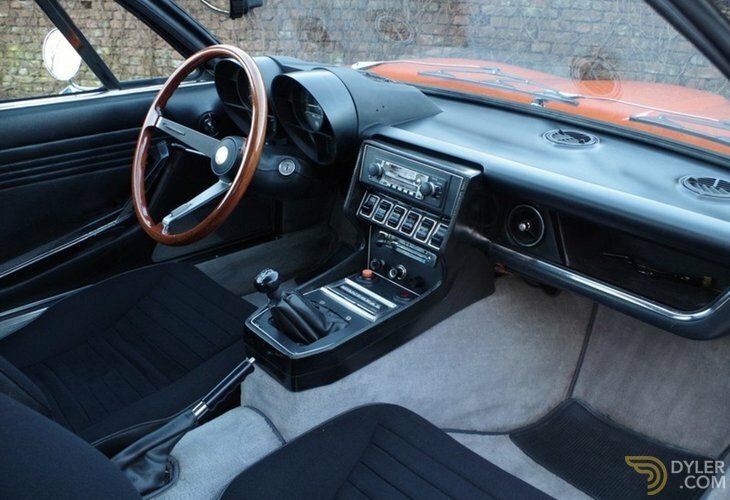 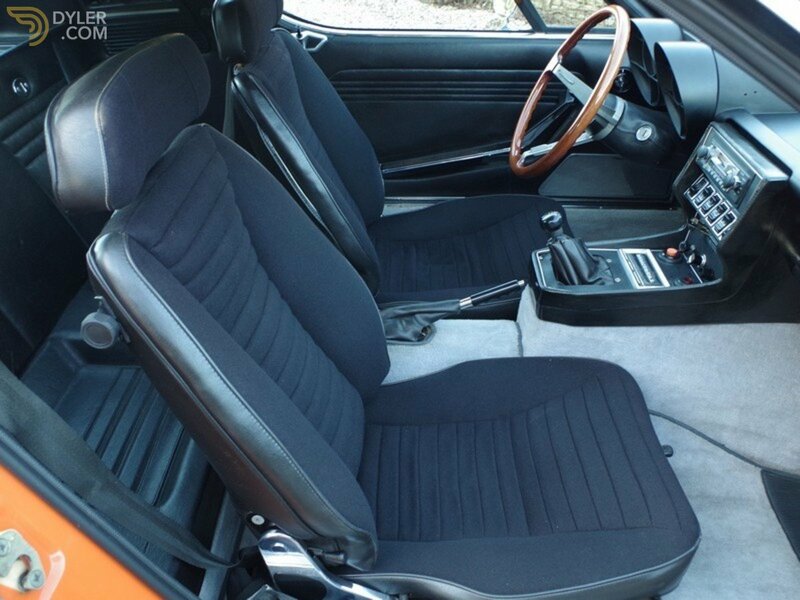 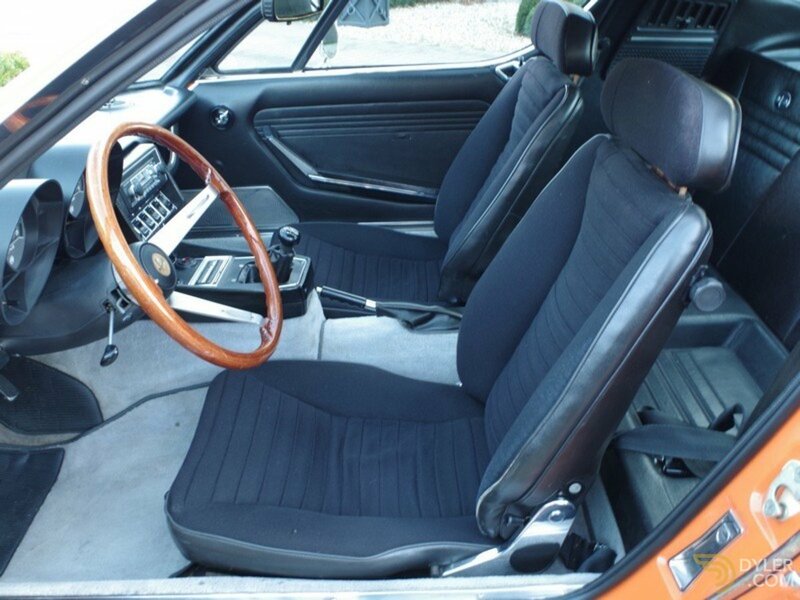 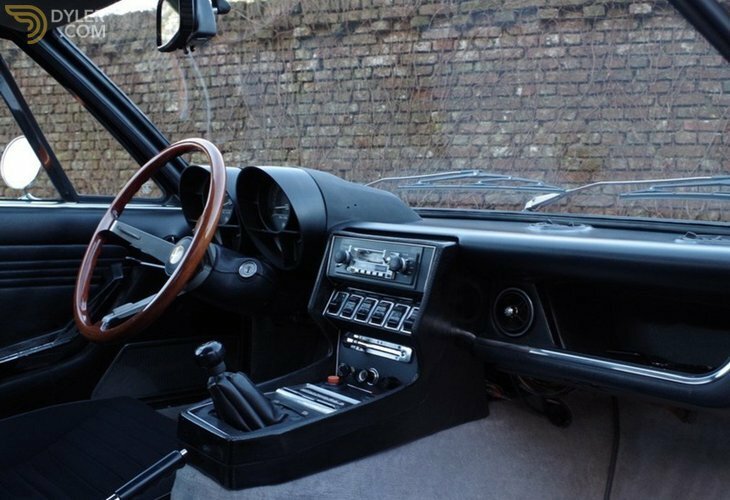 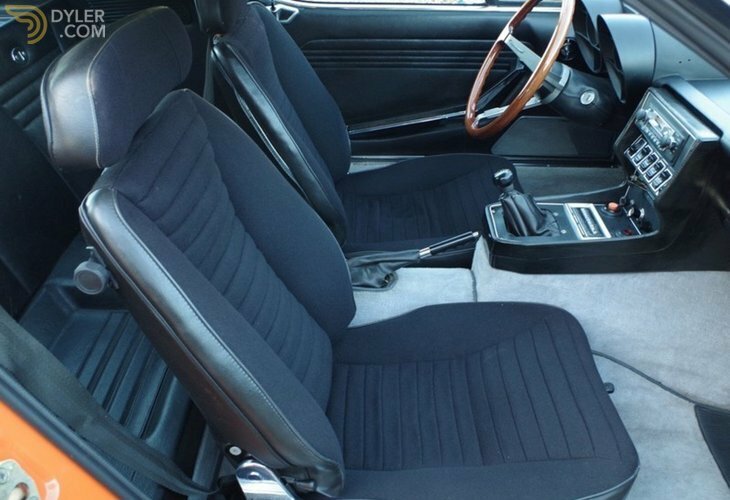 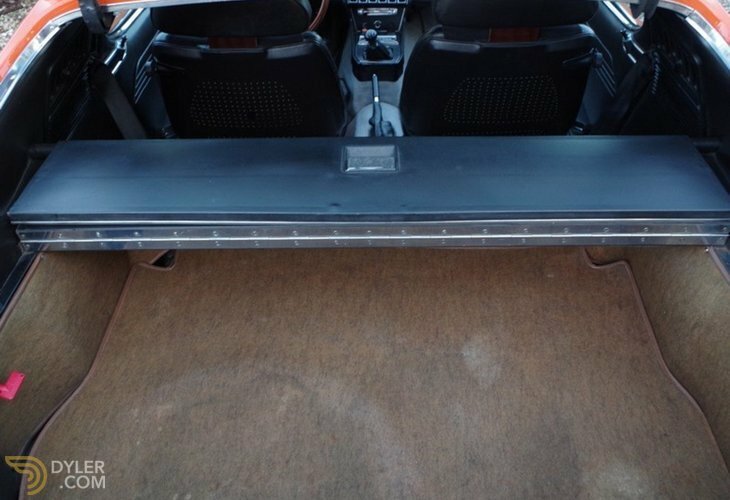 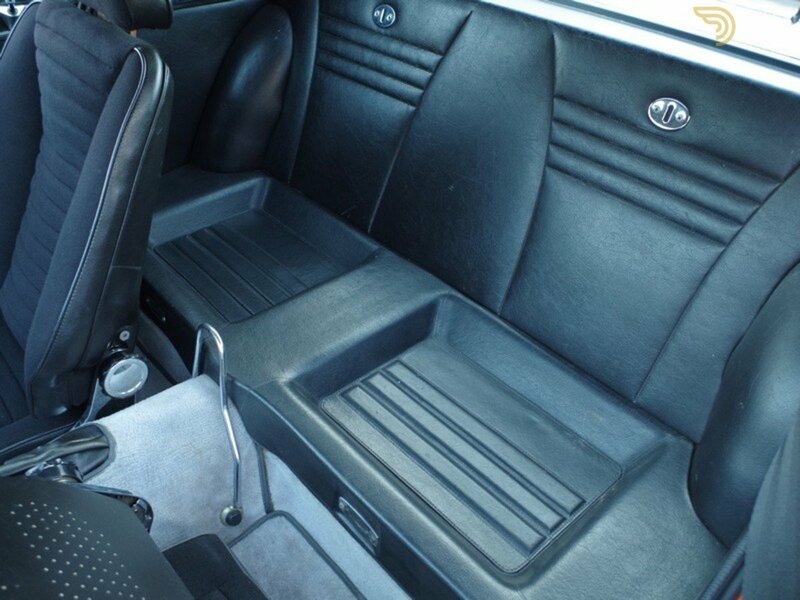 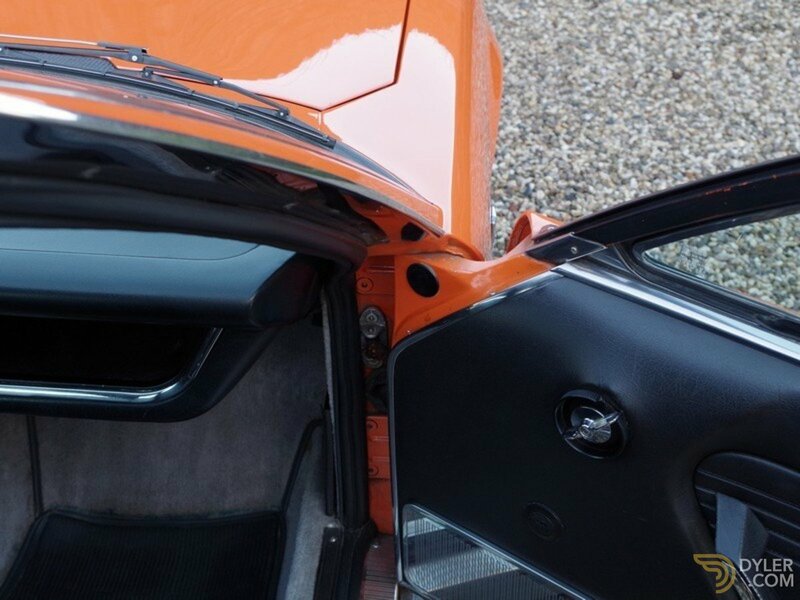 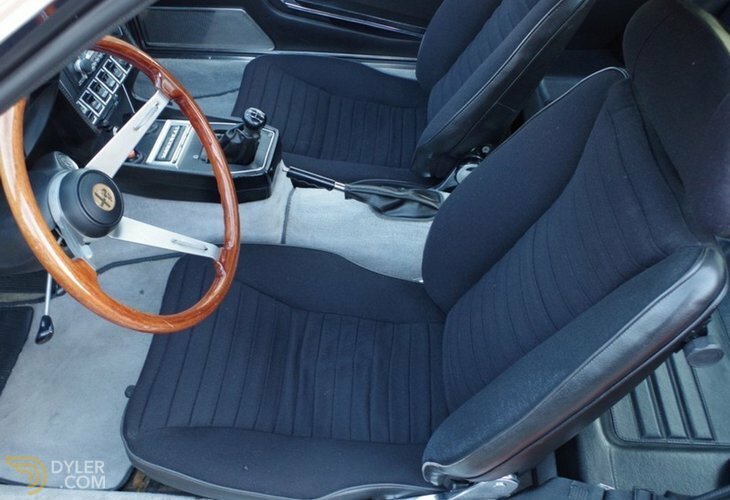 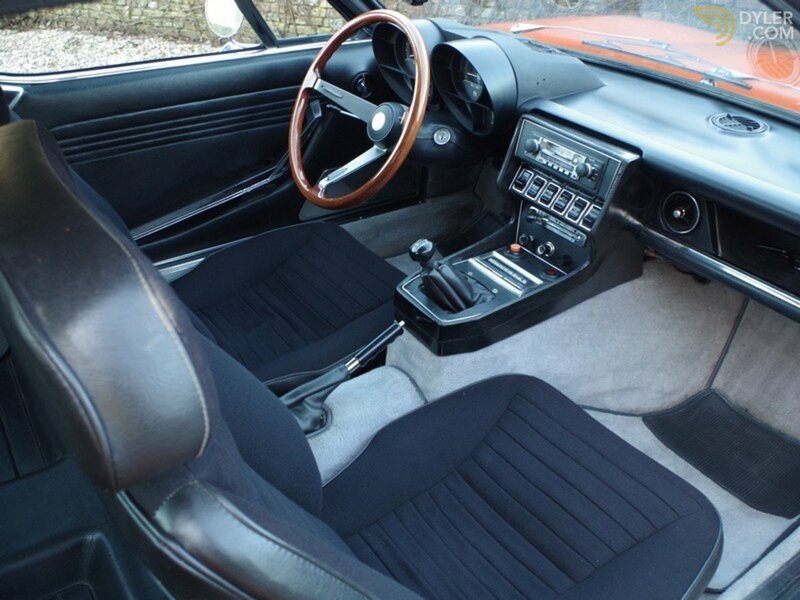 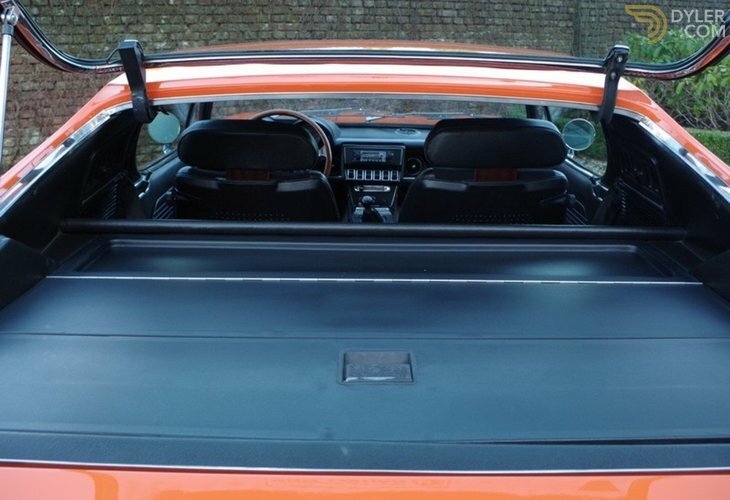 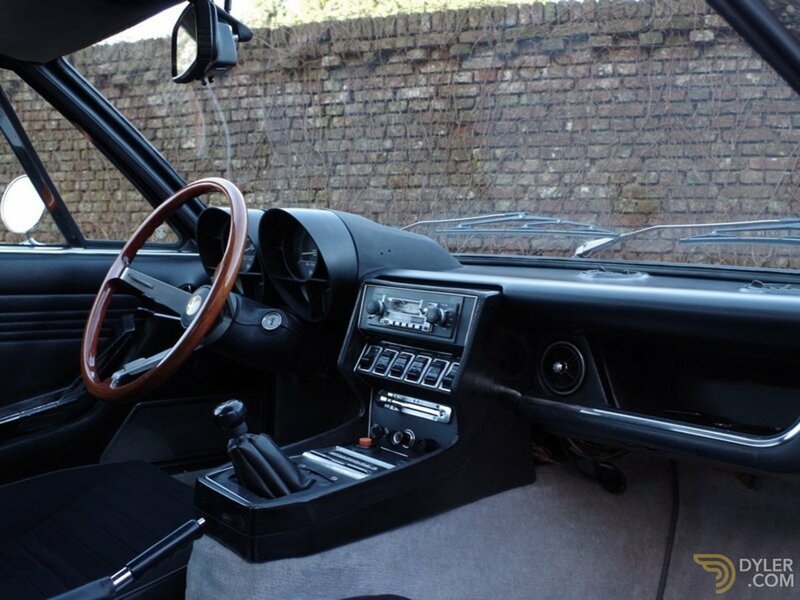 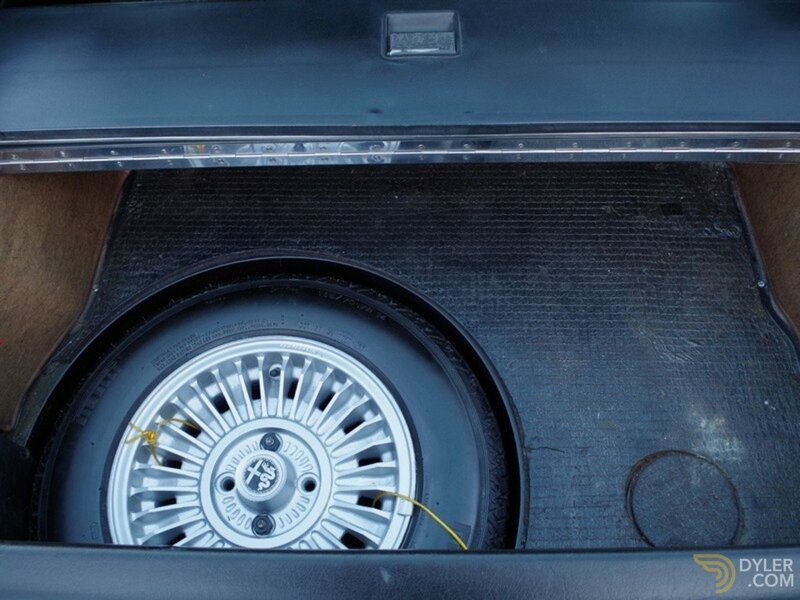 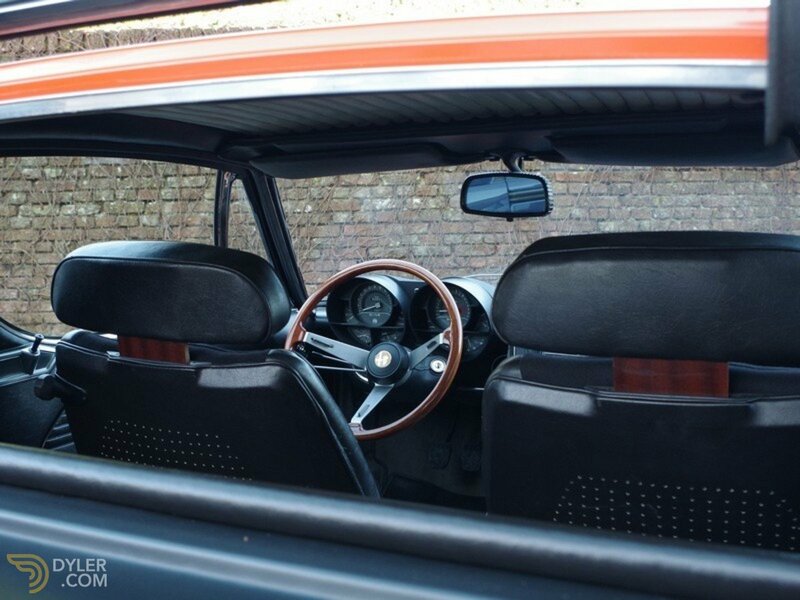 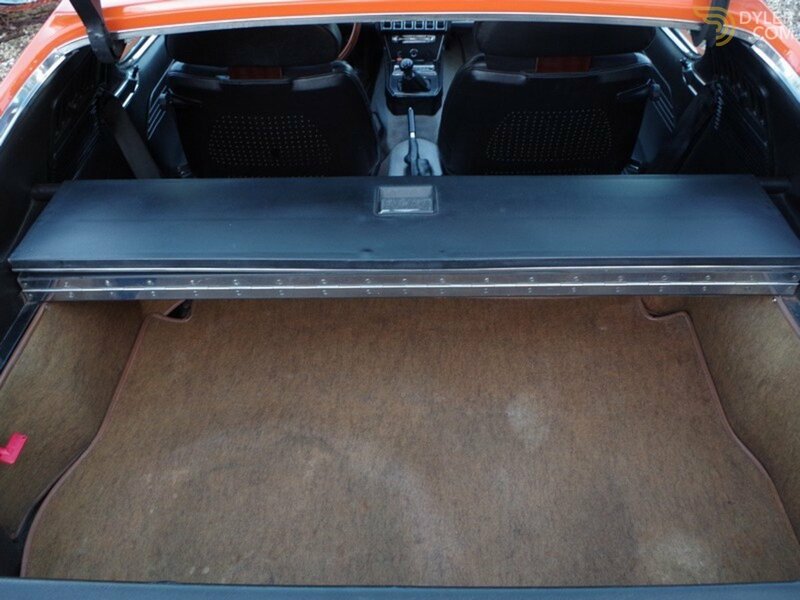 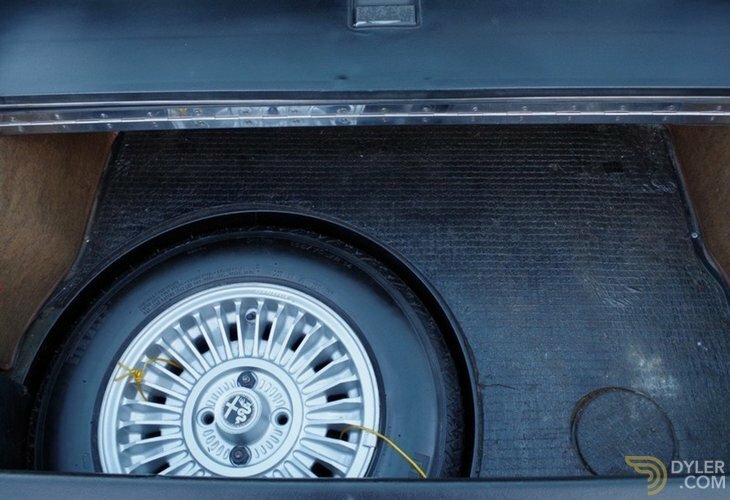 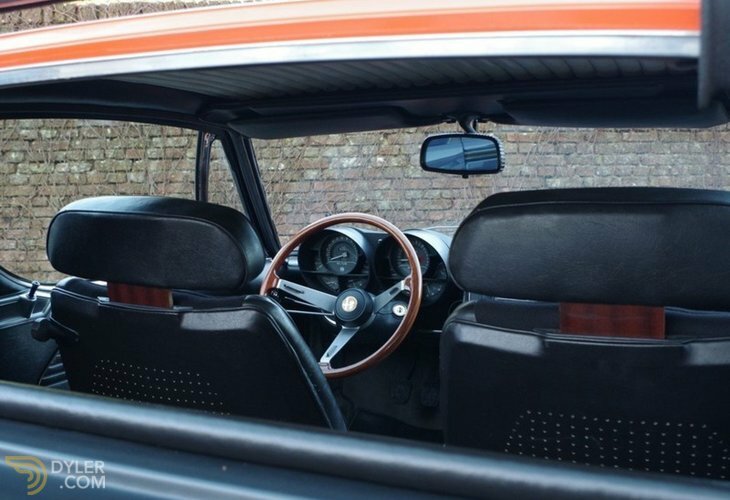 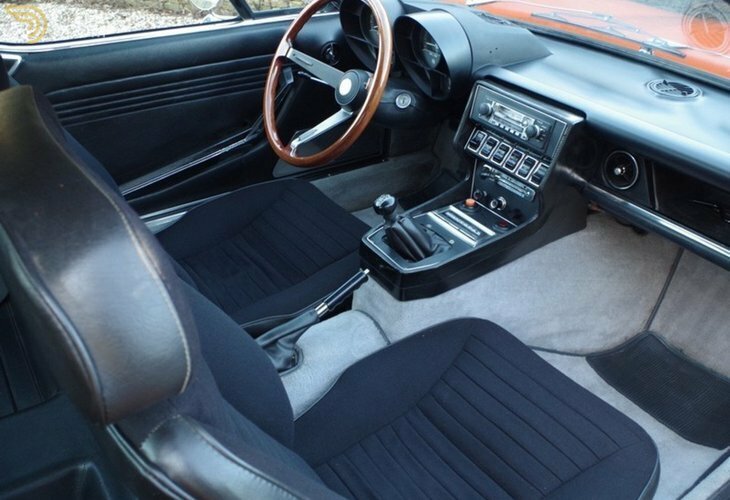 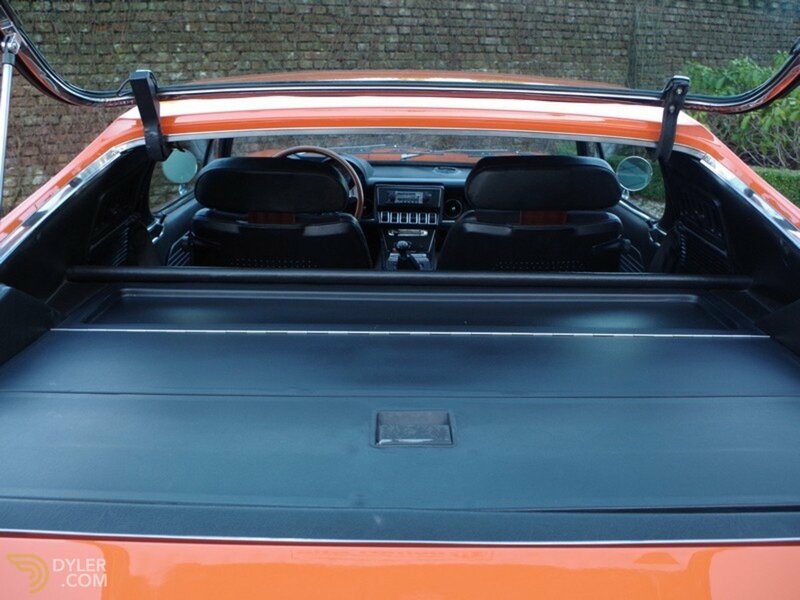 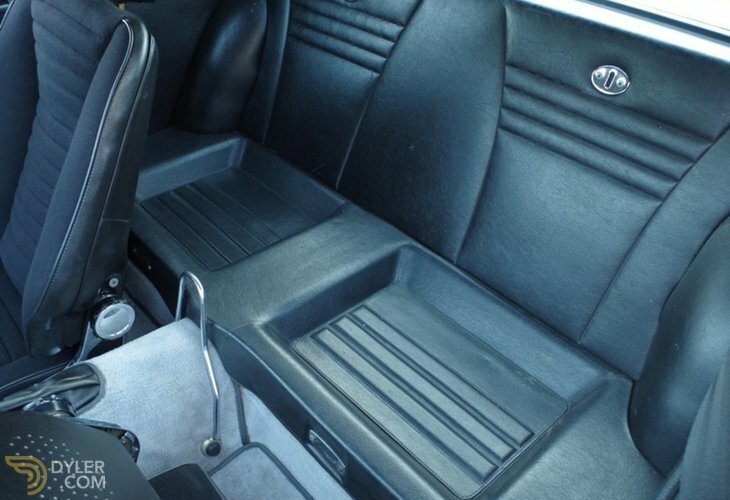 Equipped with a beautiful and original black cloth interior and grey carpet. 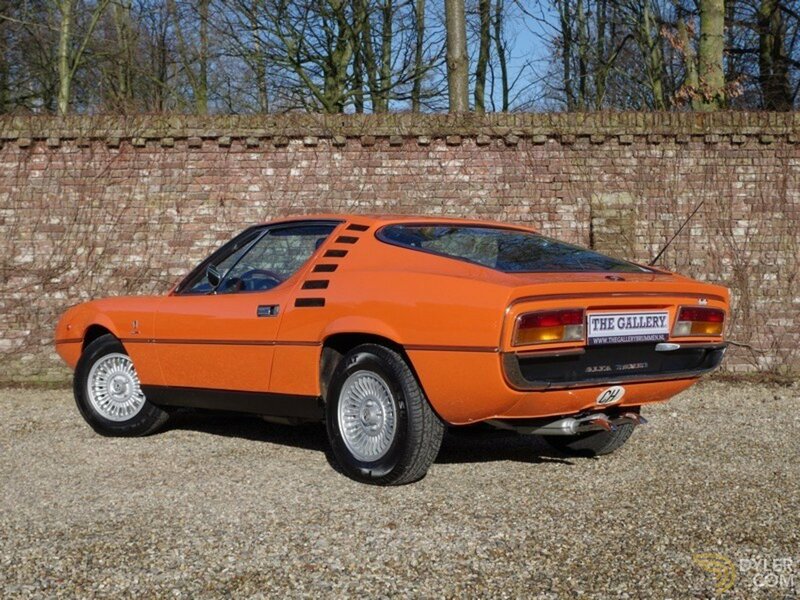 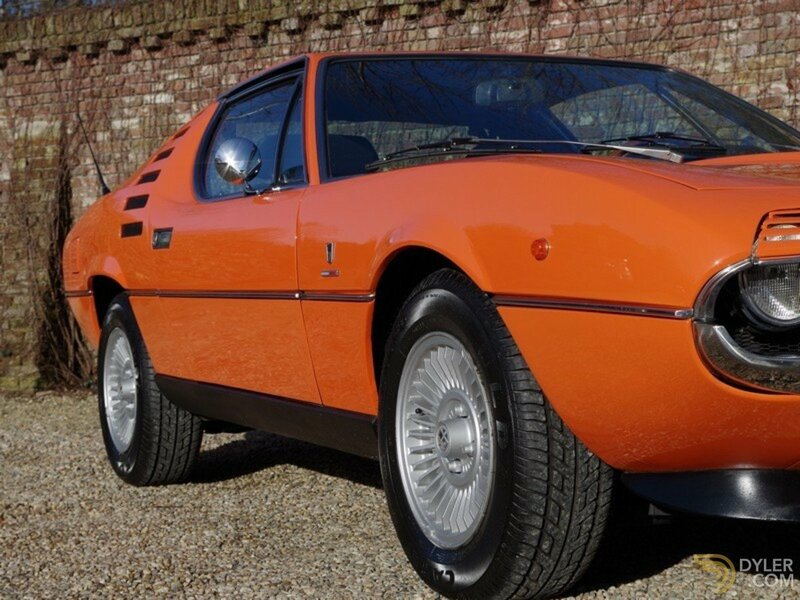 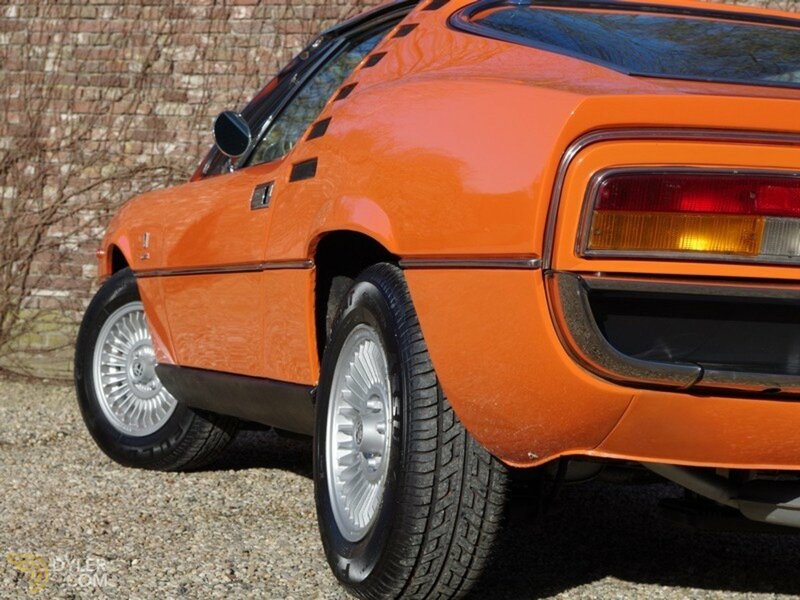 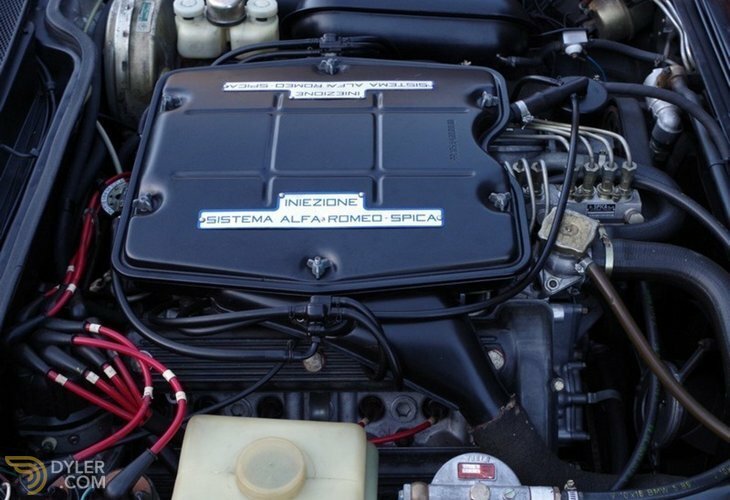 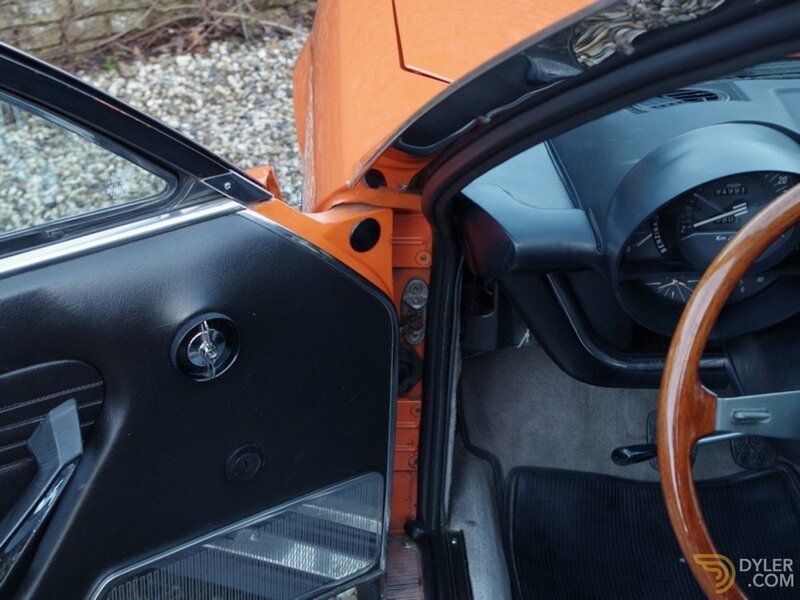 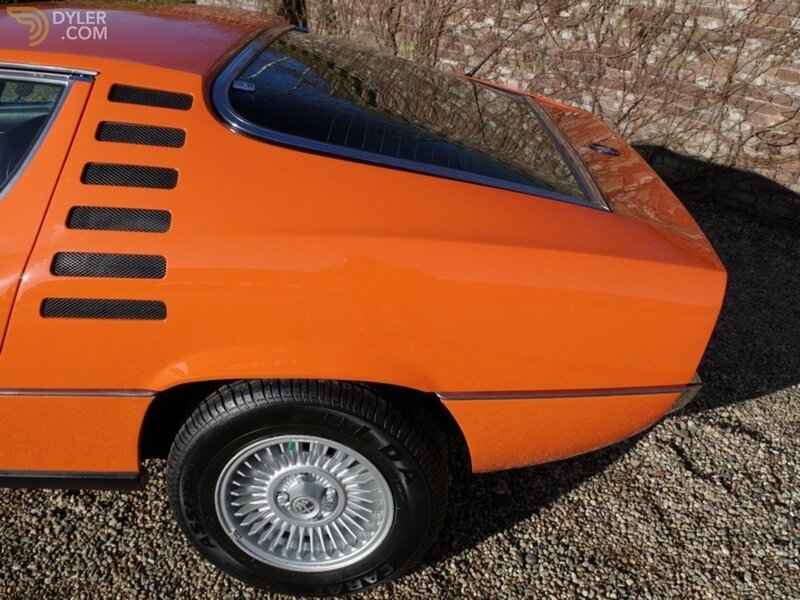 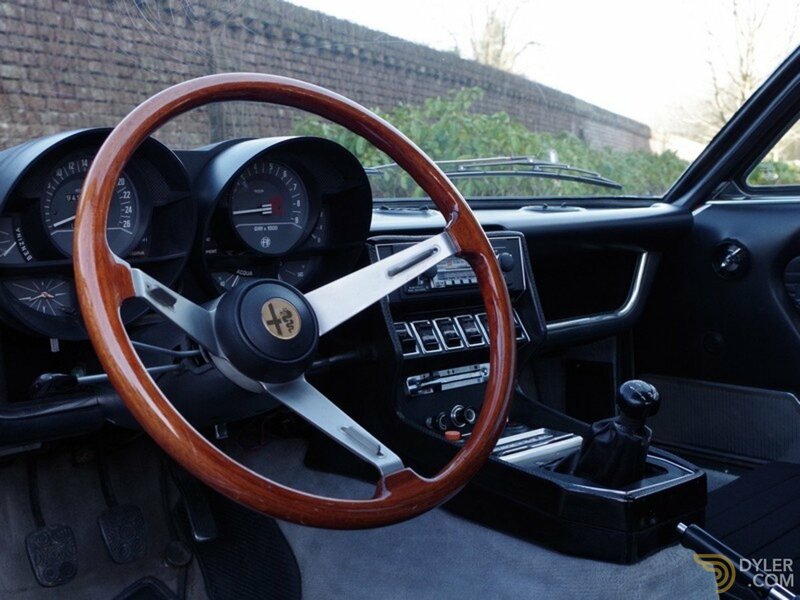 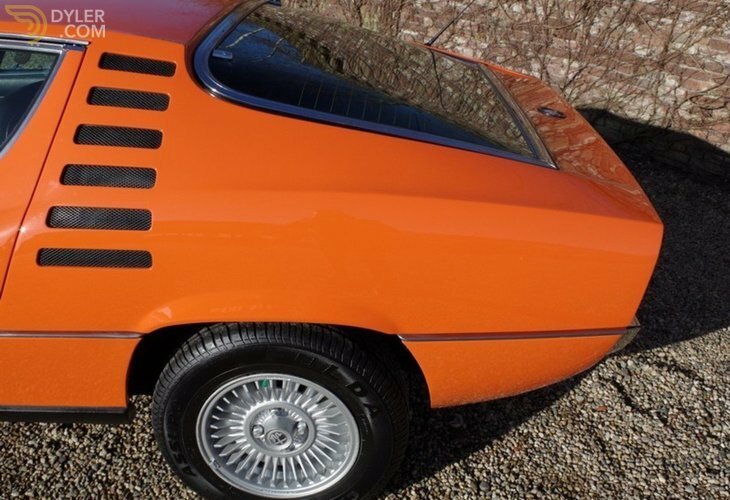 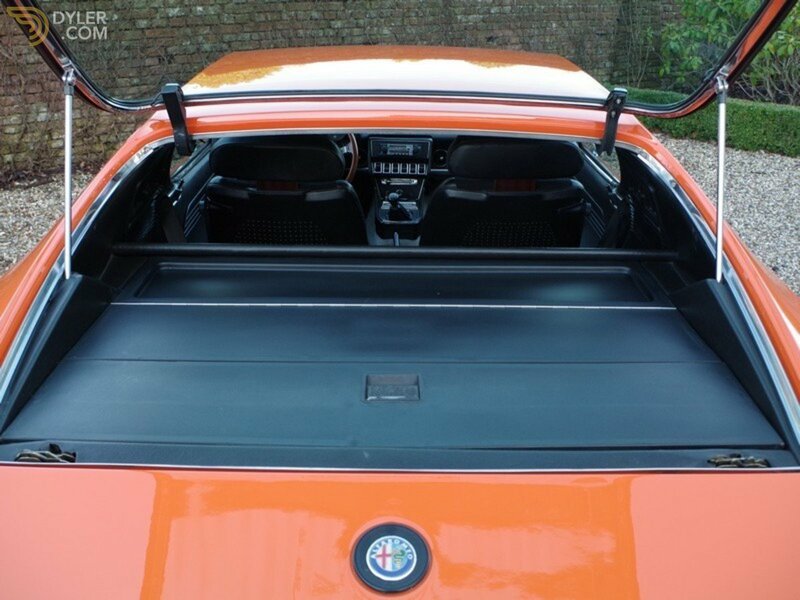 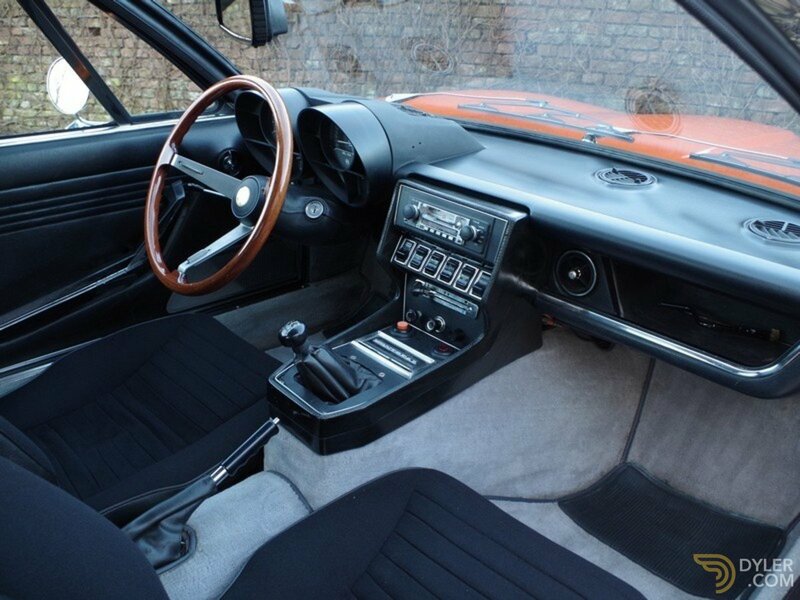 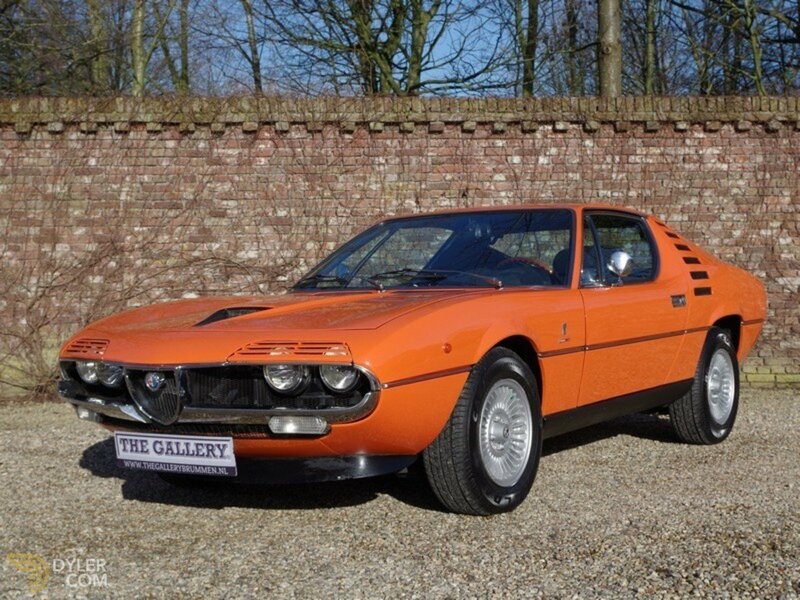 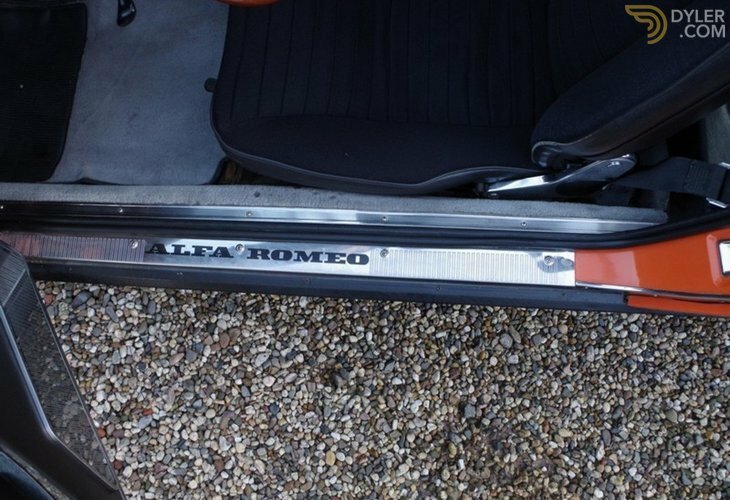 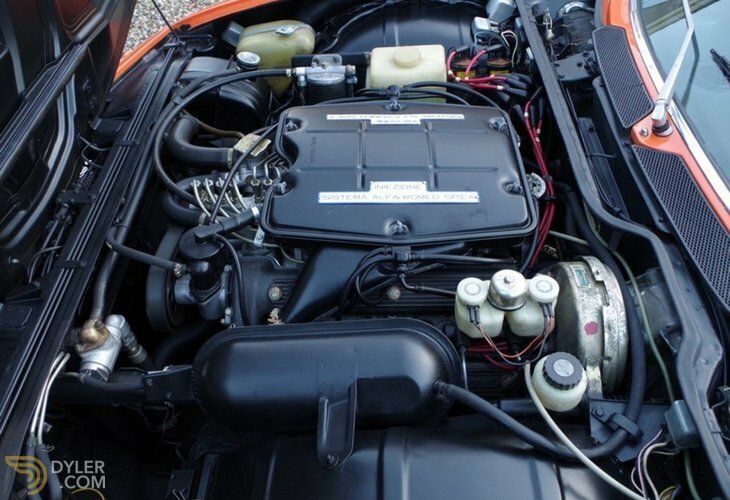 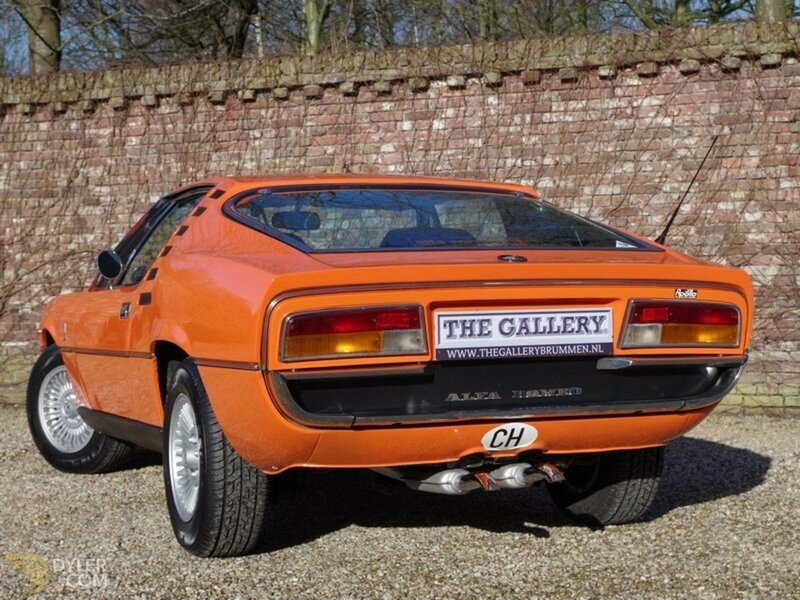 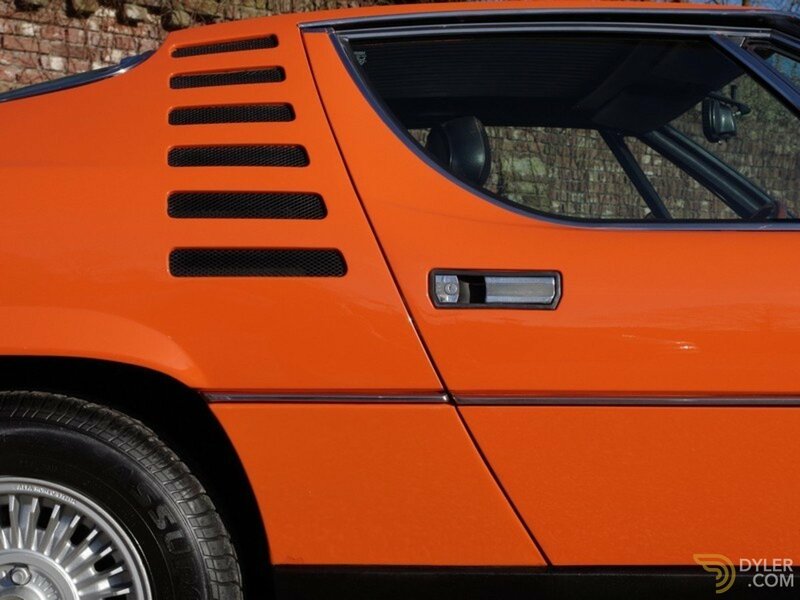 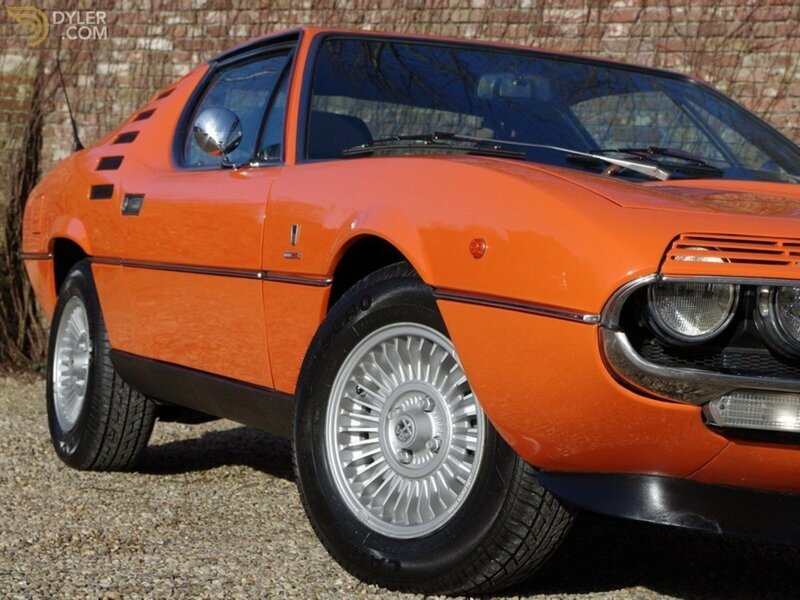 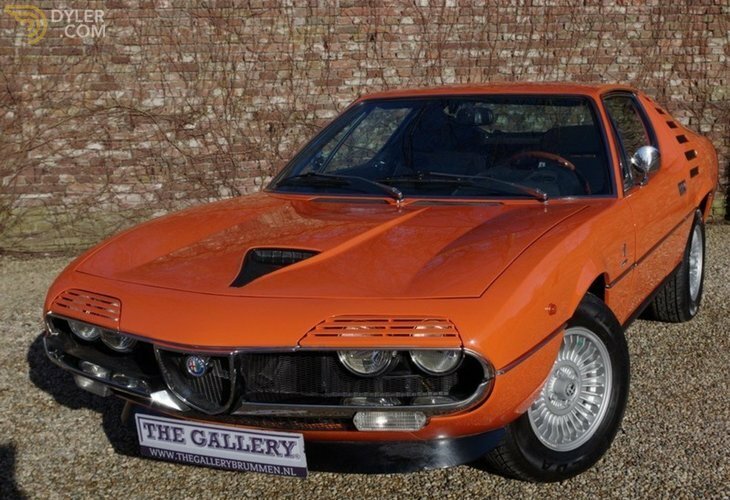 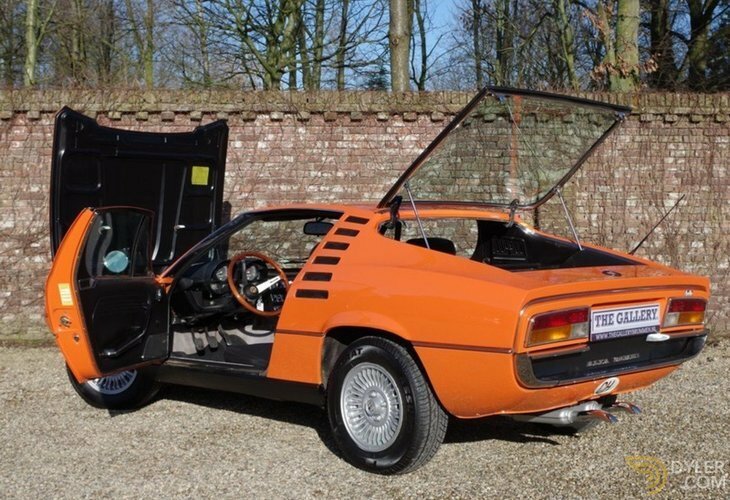 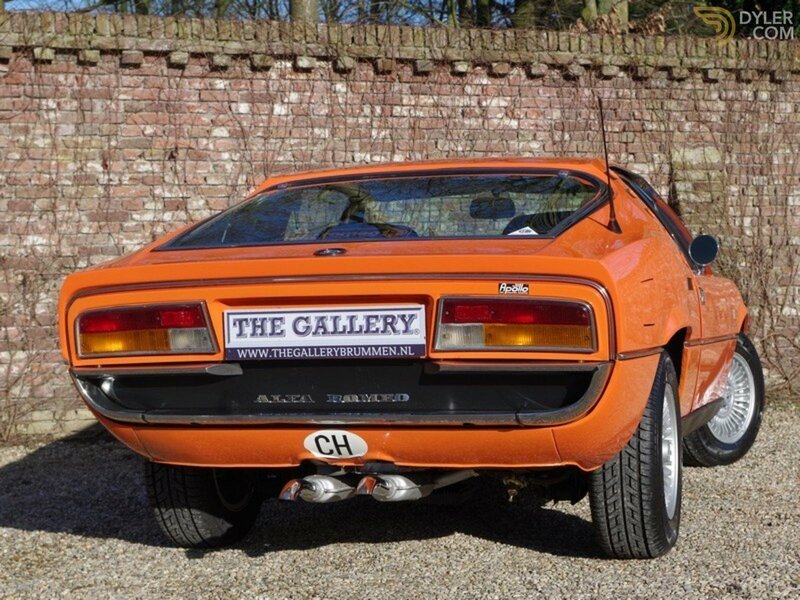 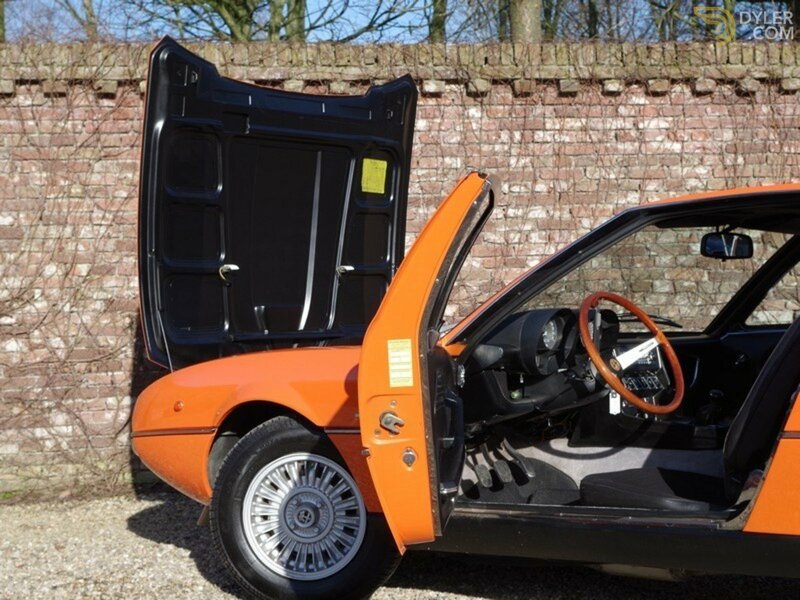 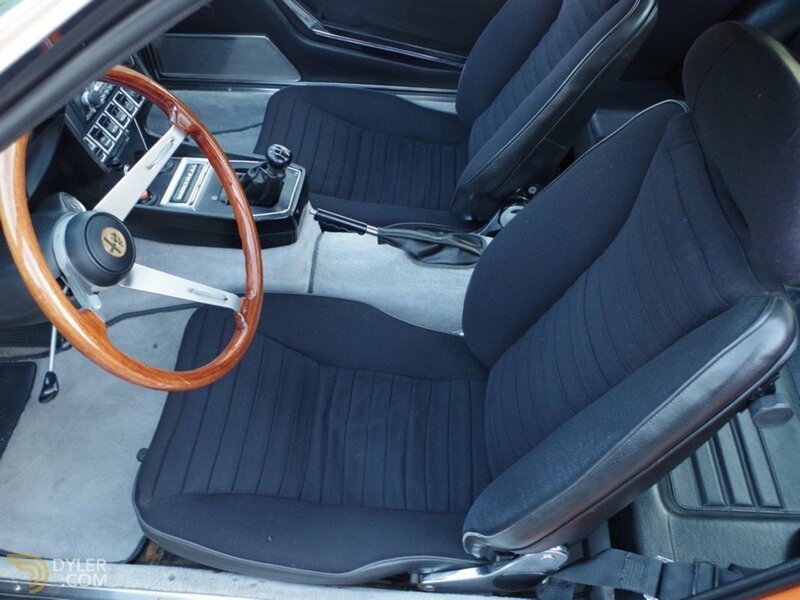 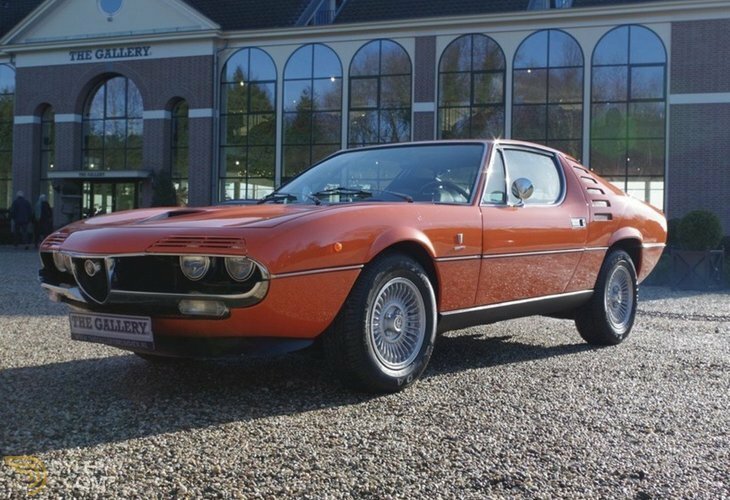 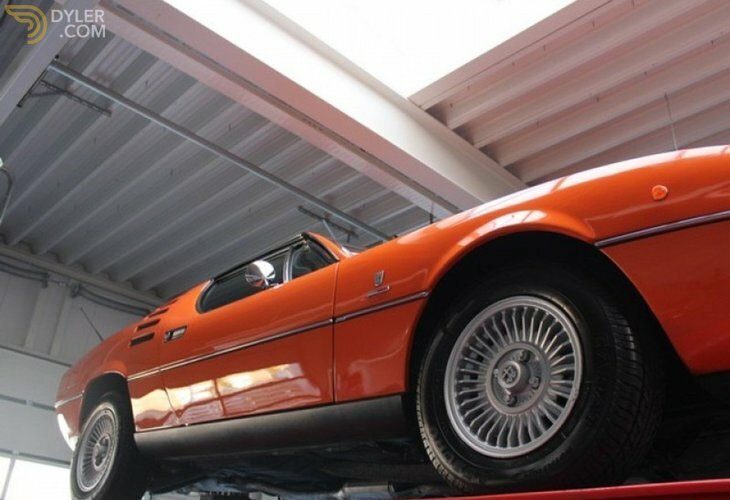 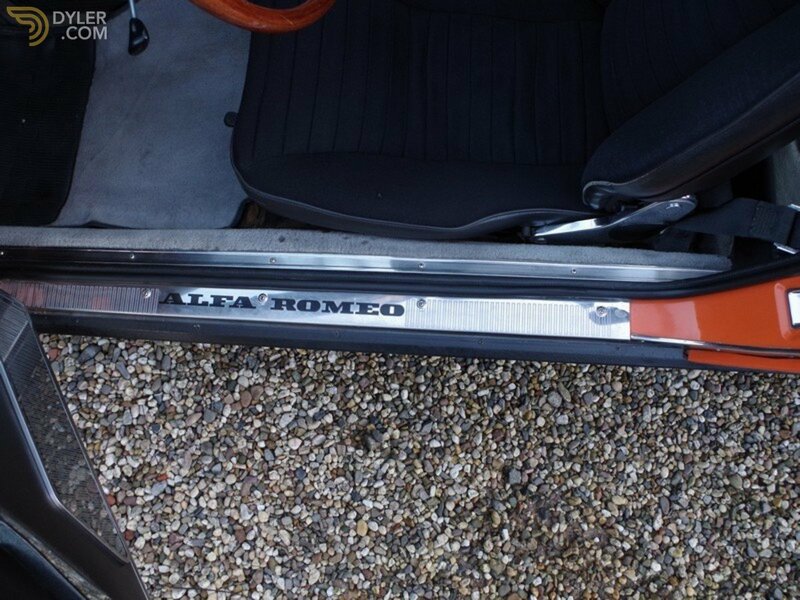 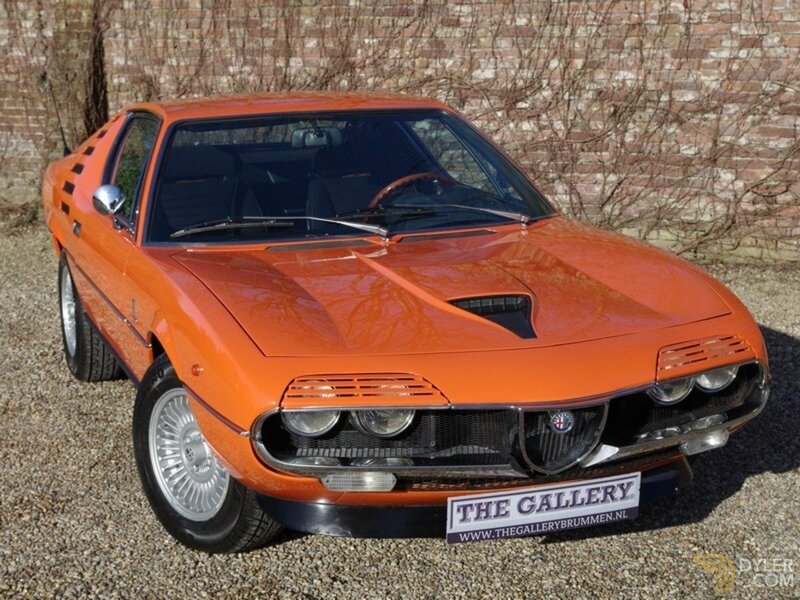 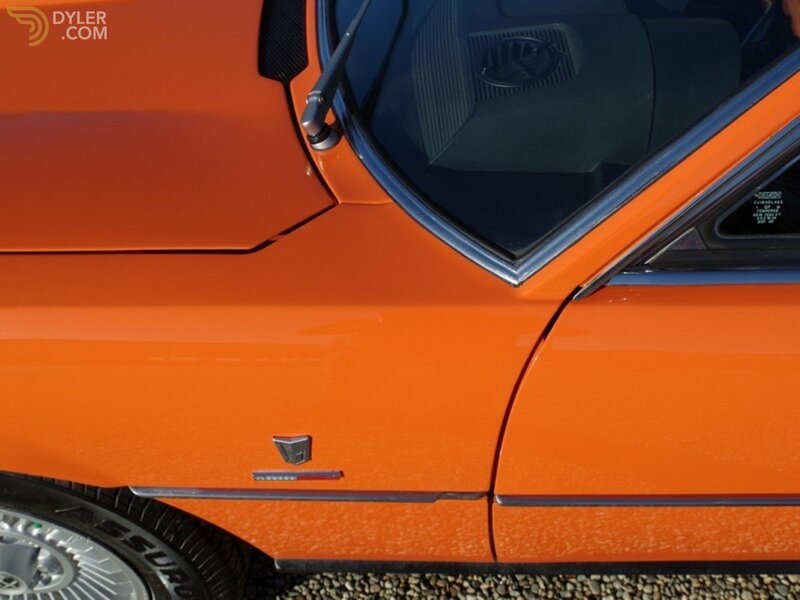 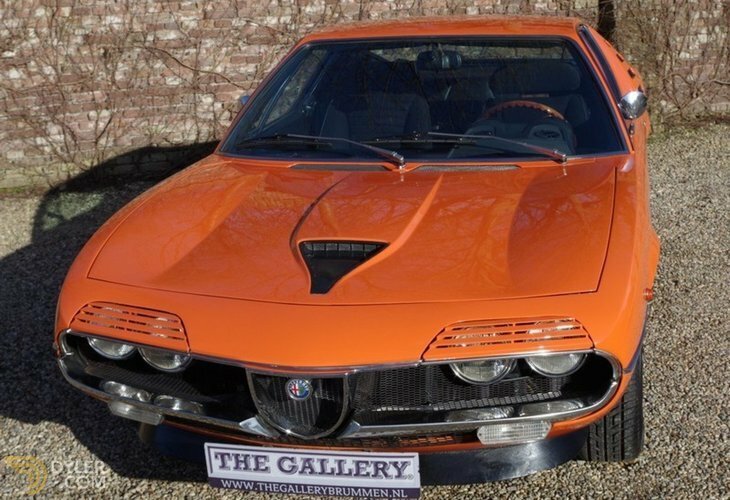 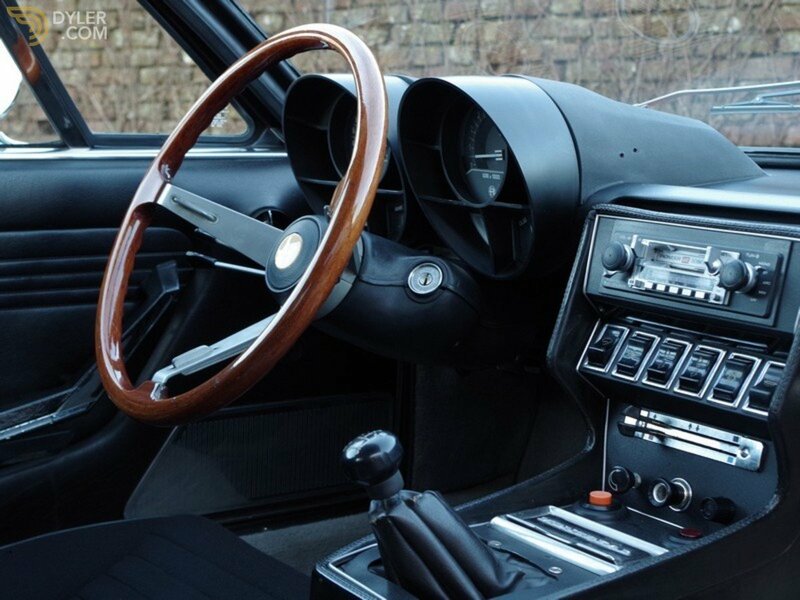 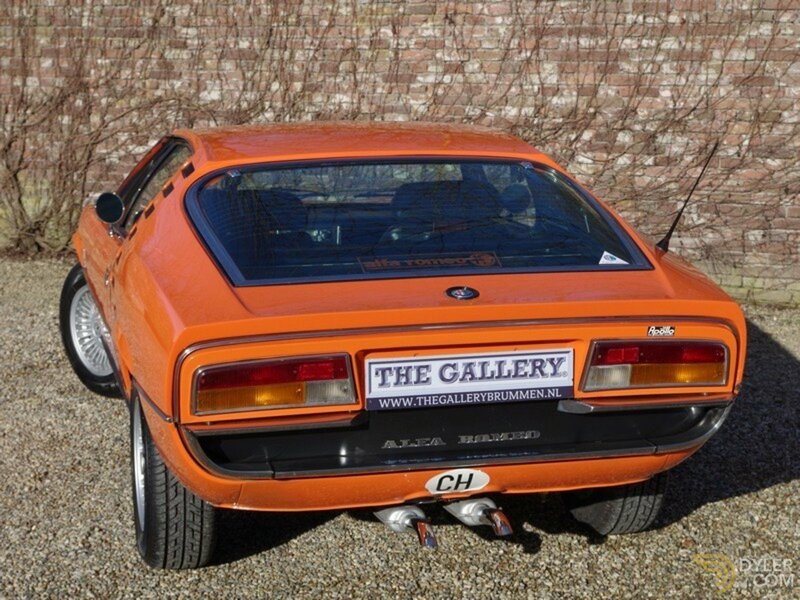 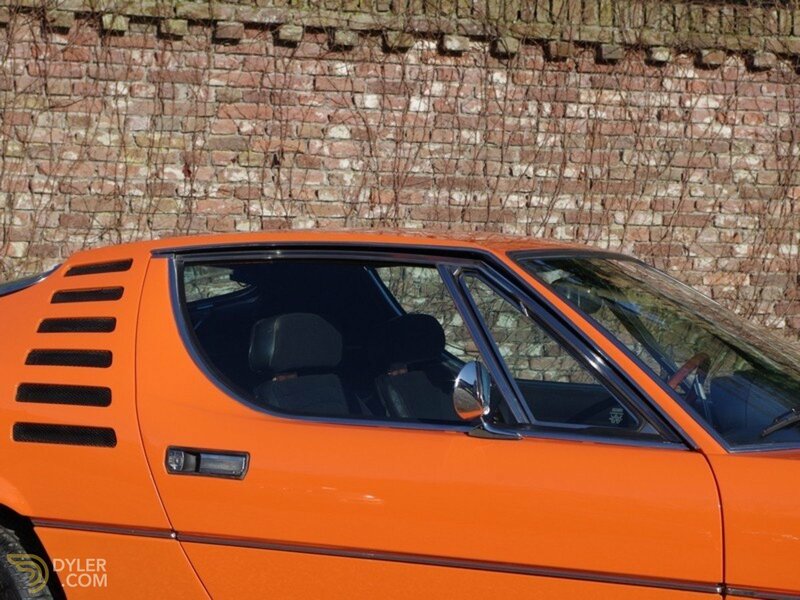 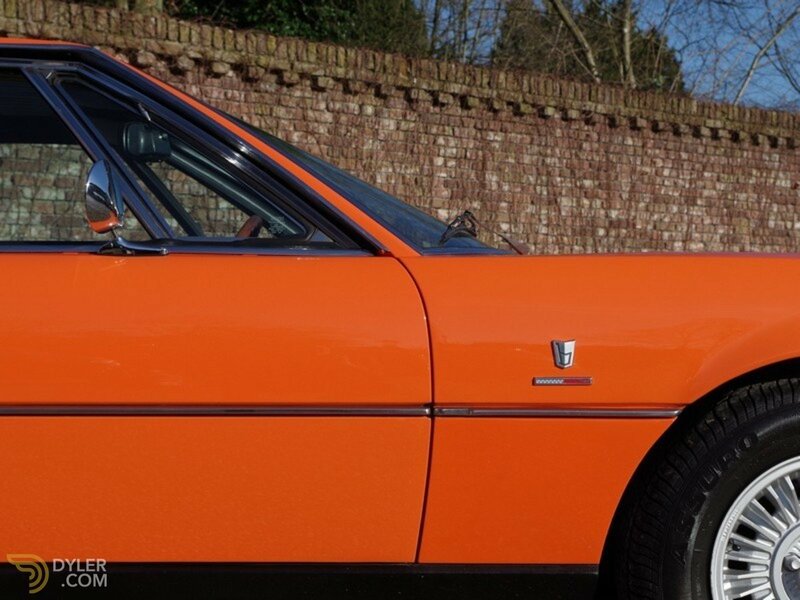 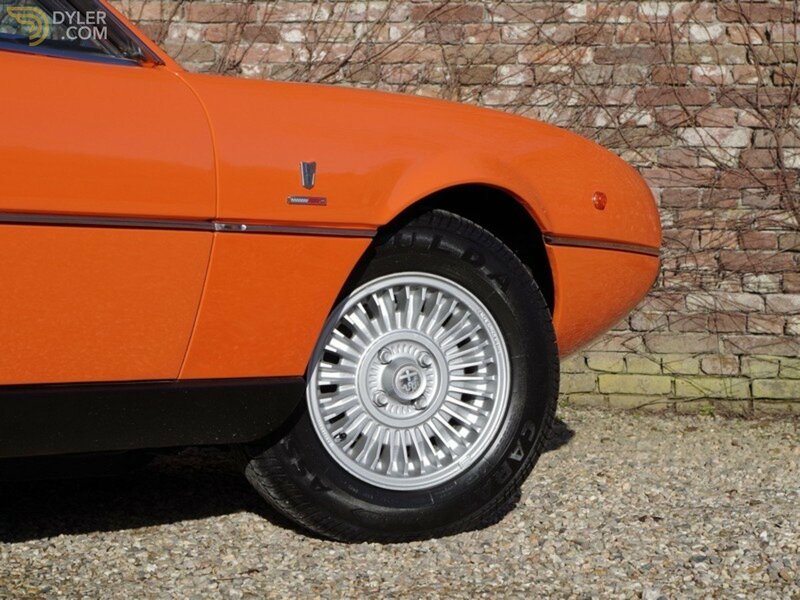 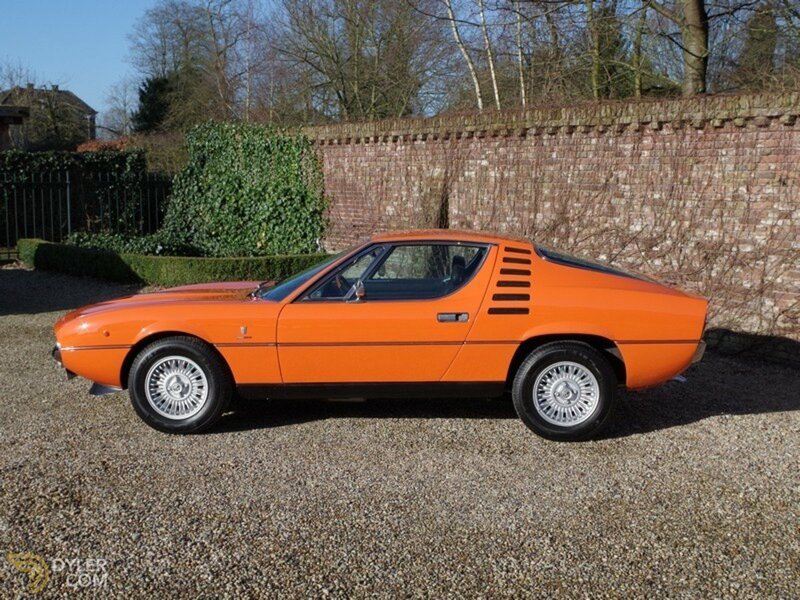 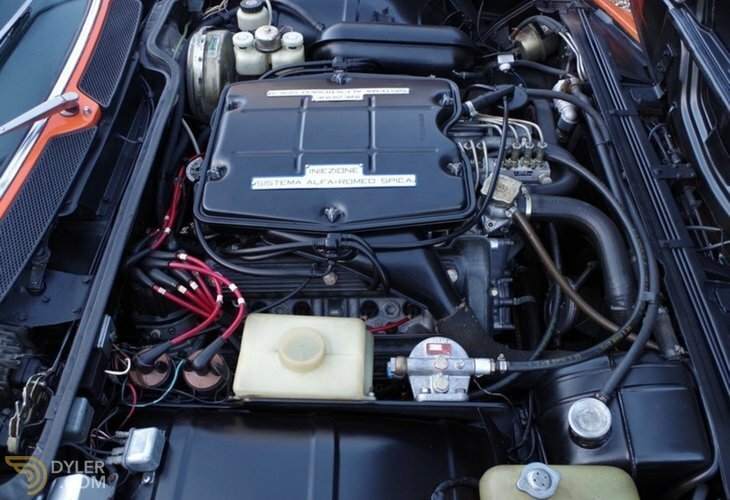 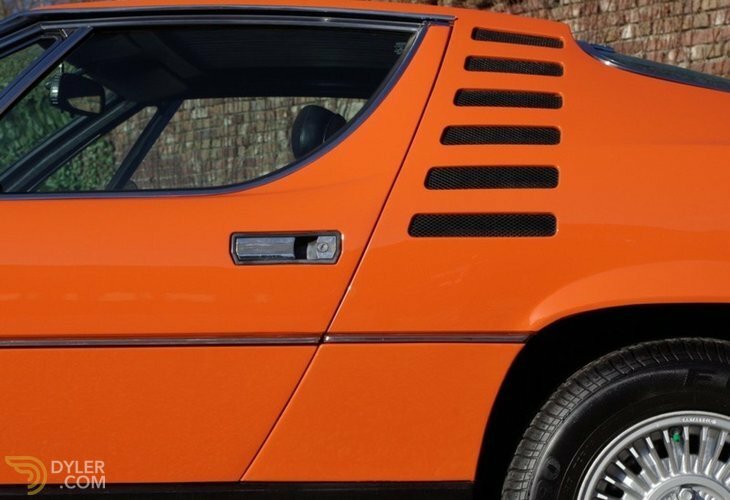 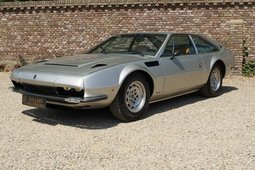 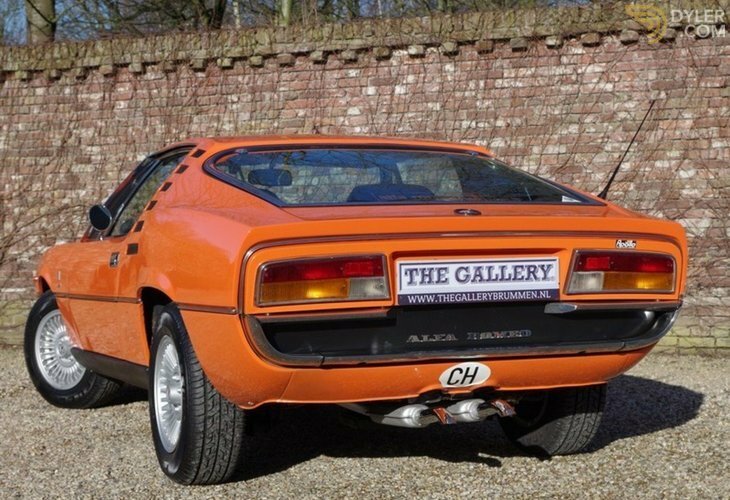 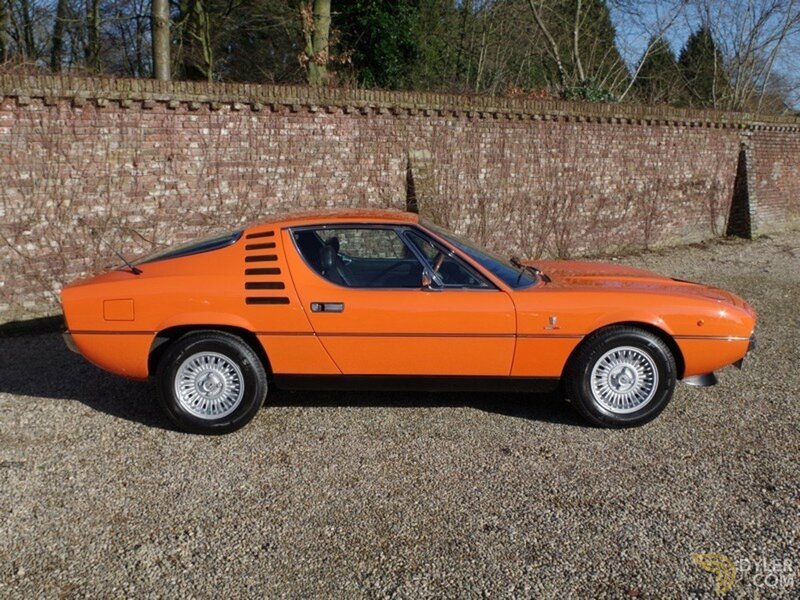 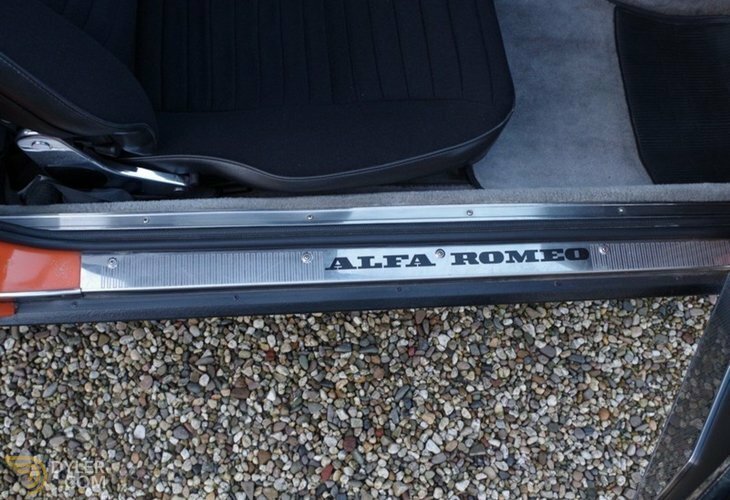 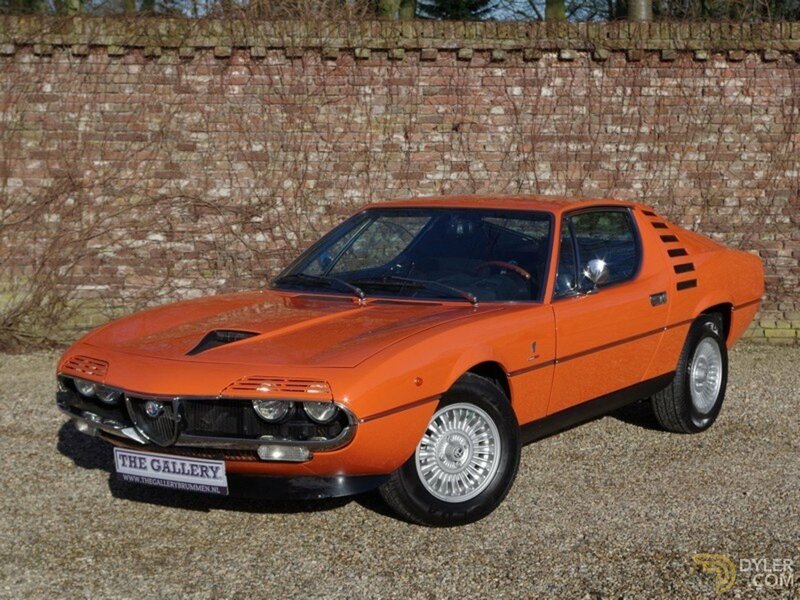 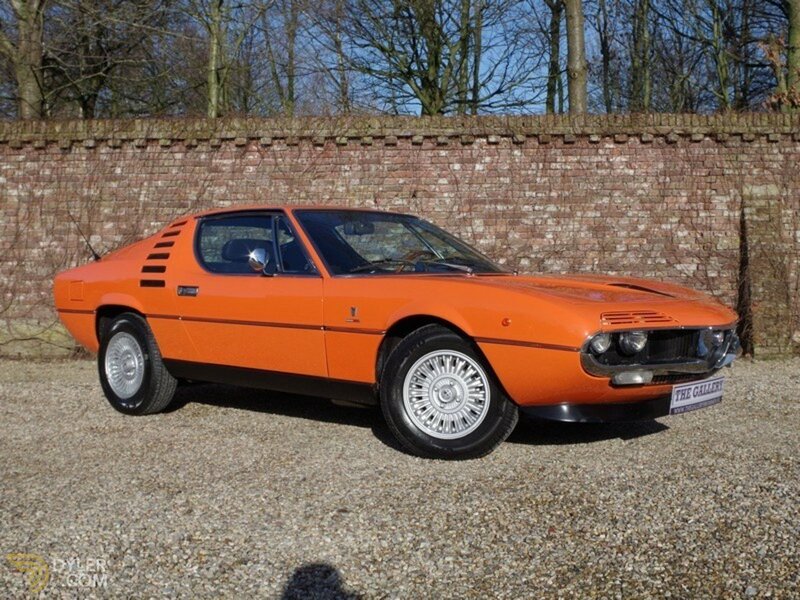 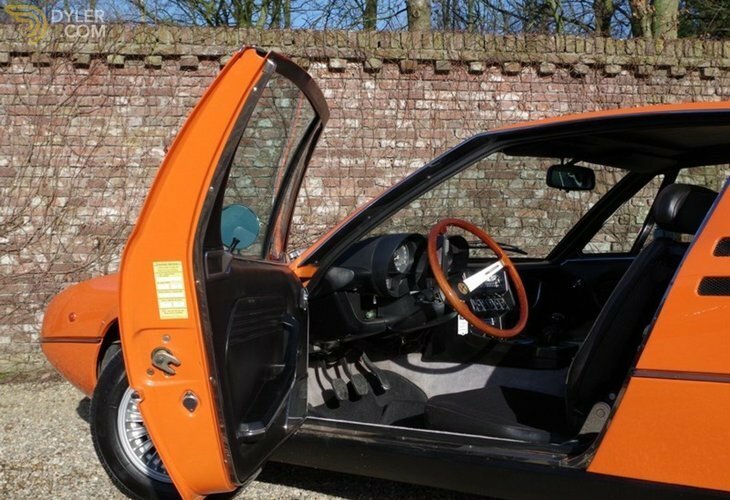 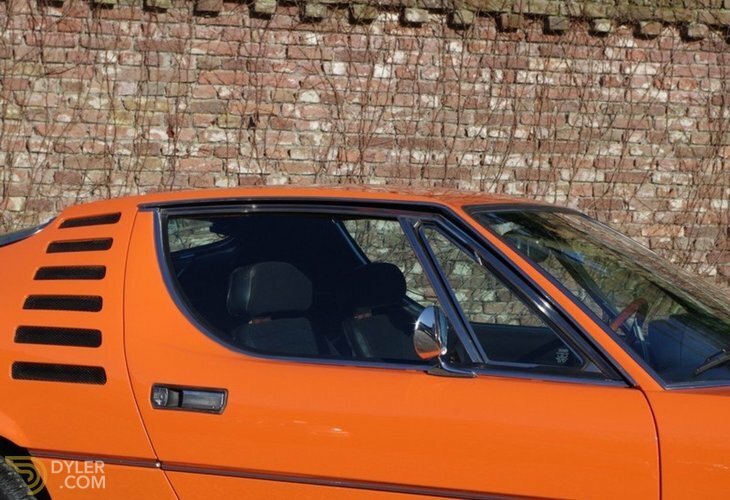 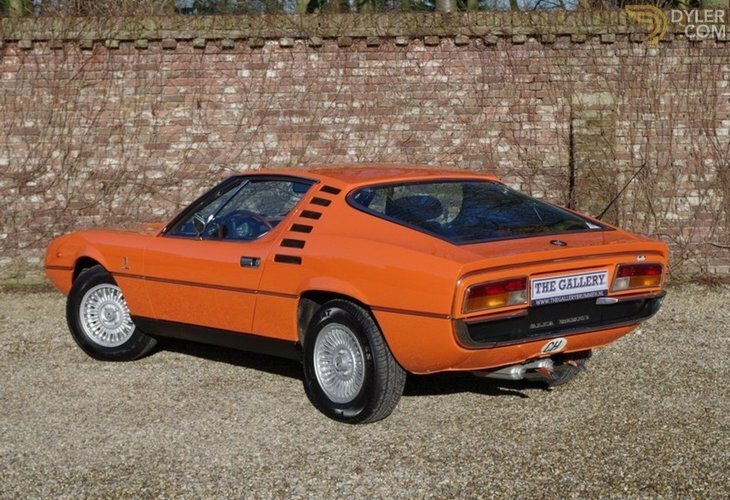 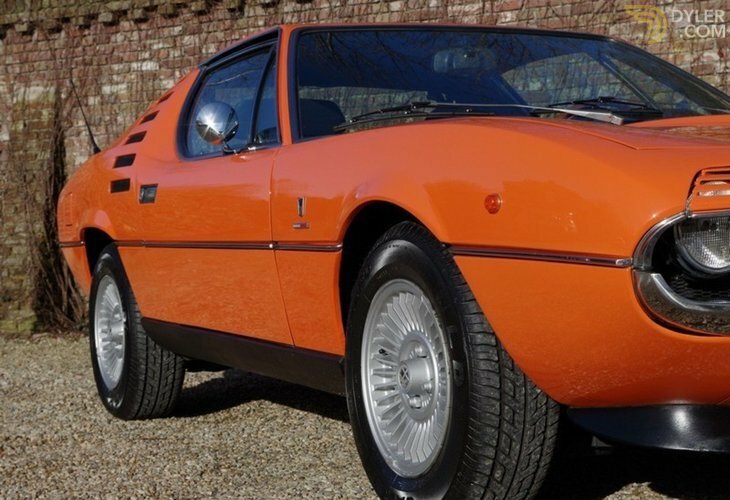 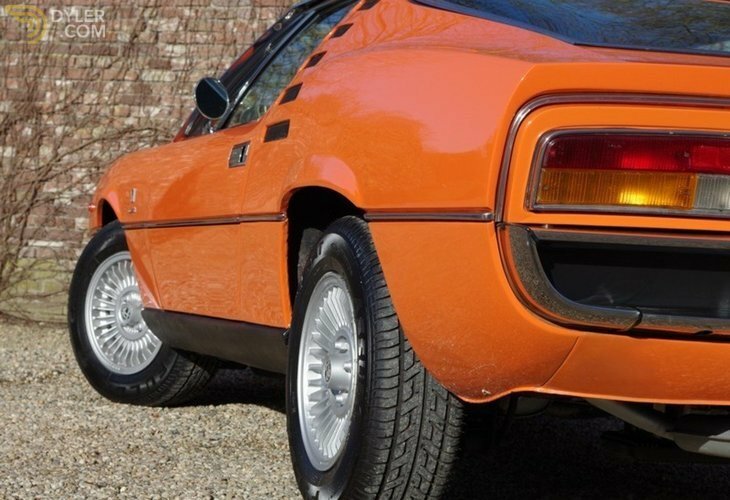 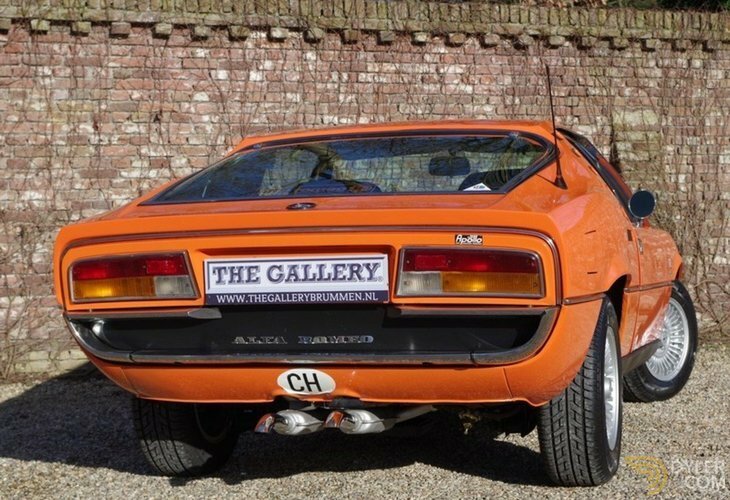 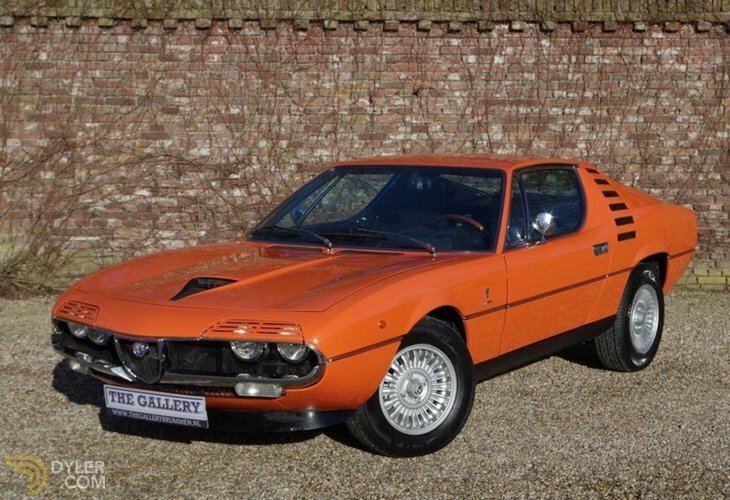 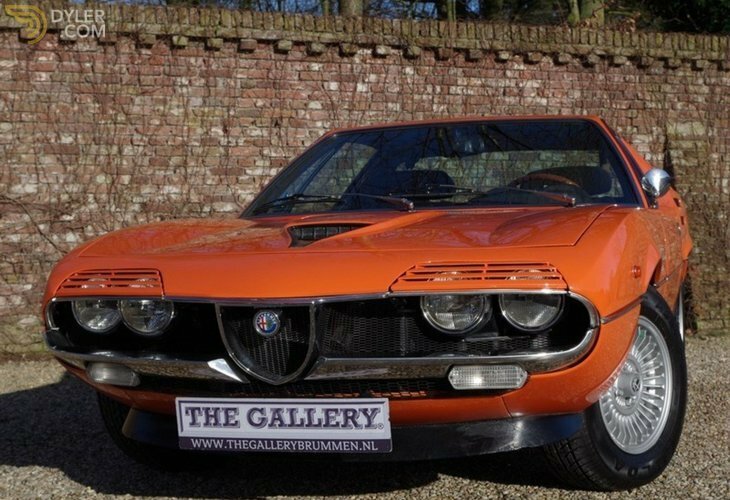 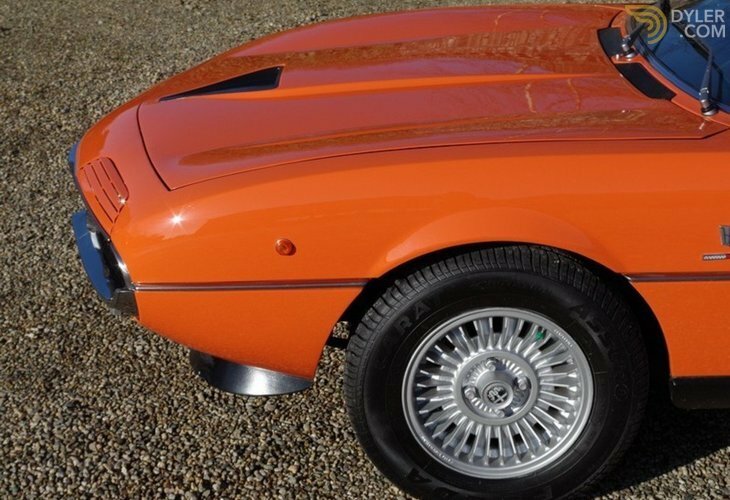 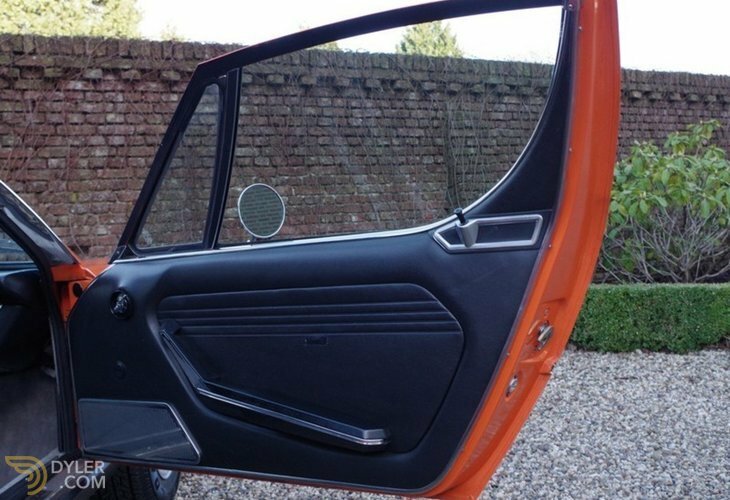 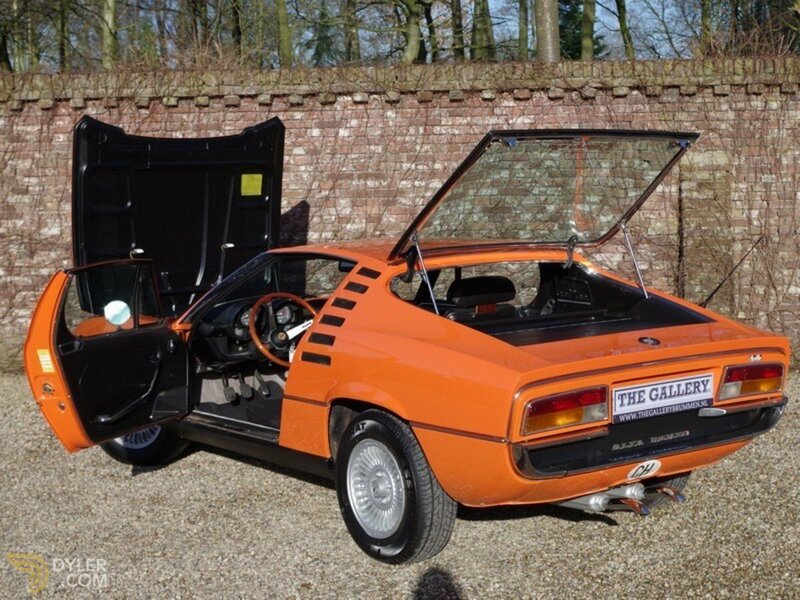 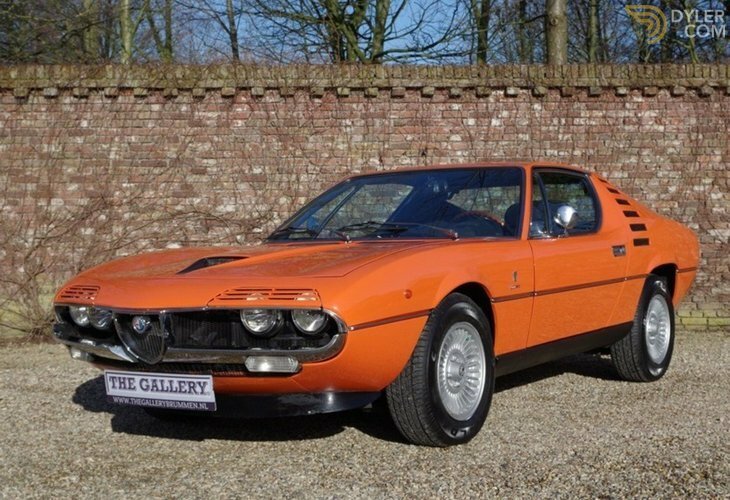 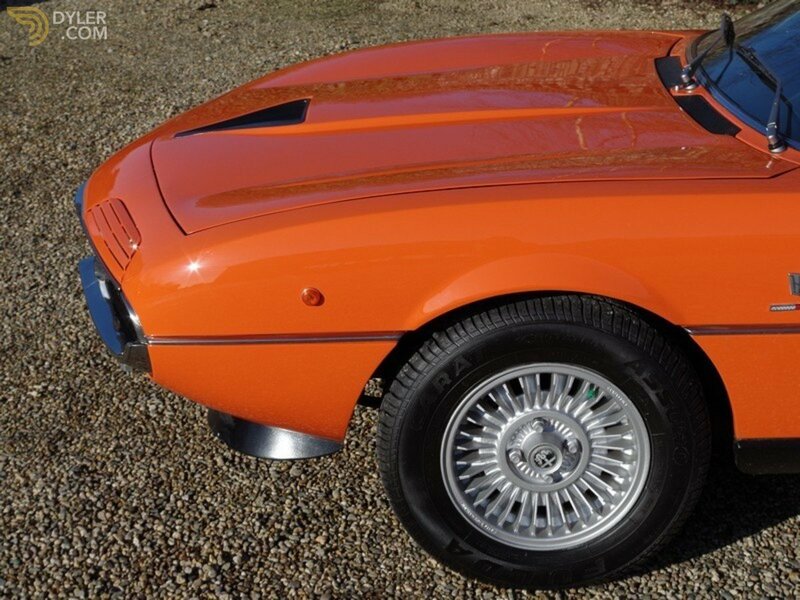 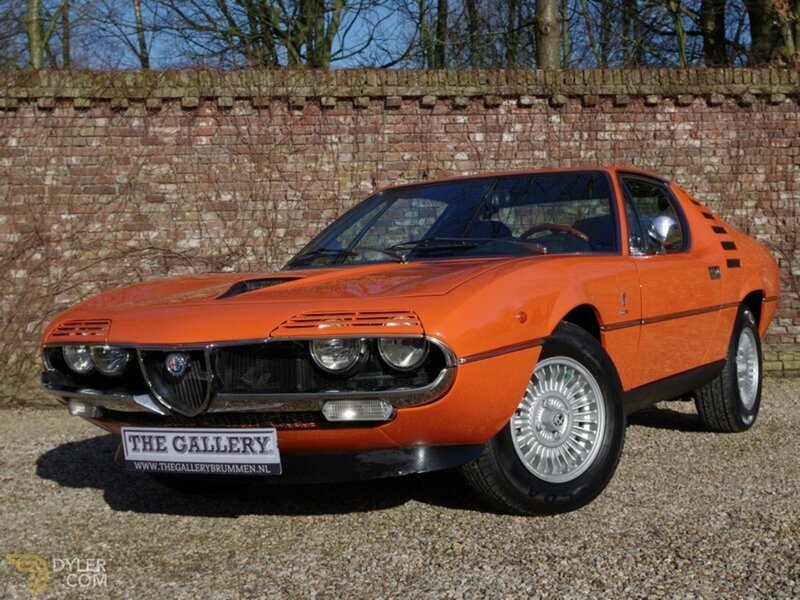 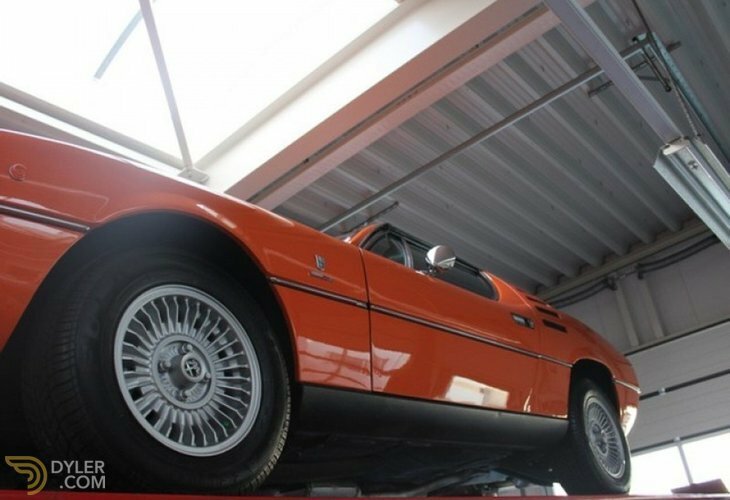 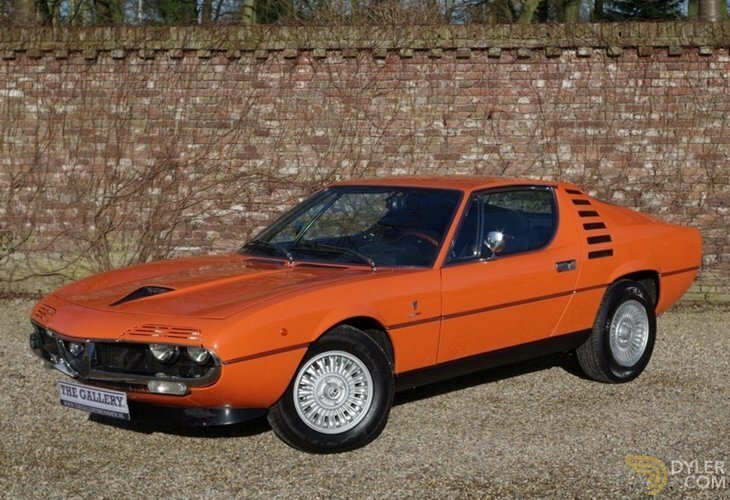 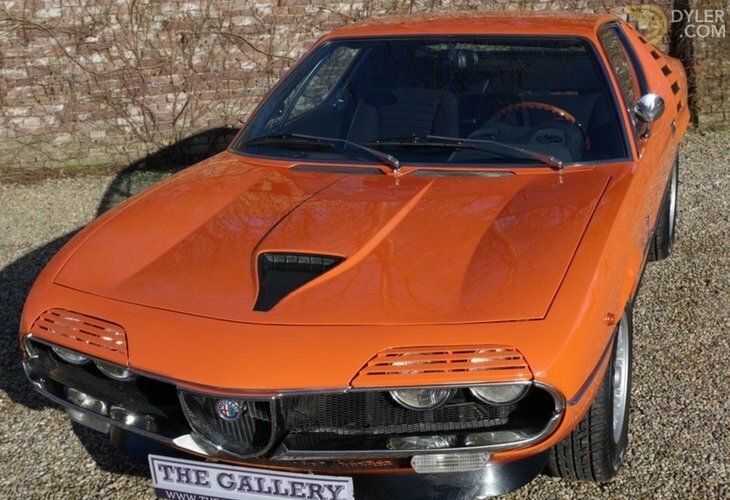 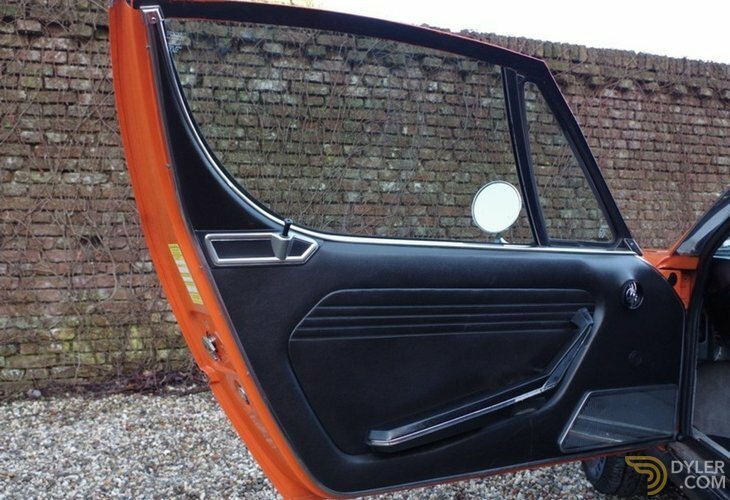 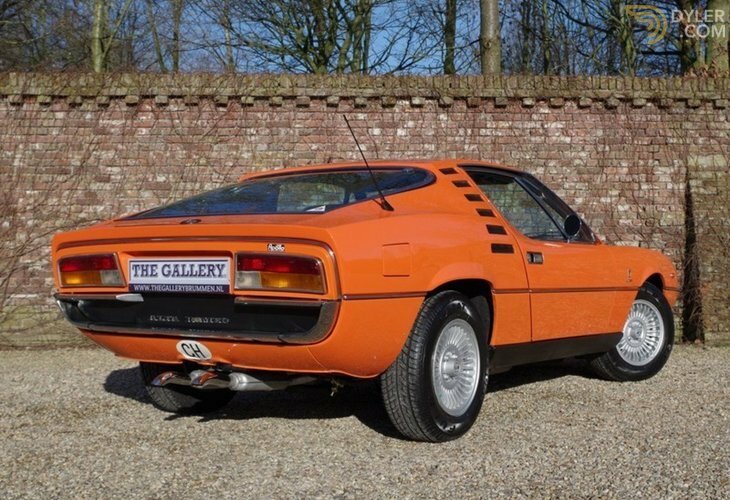 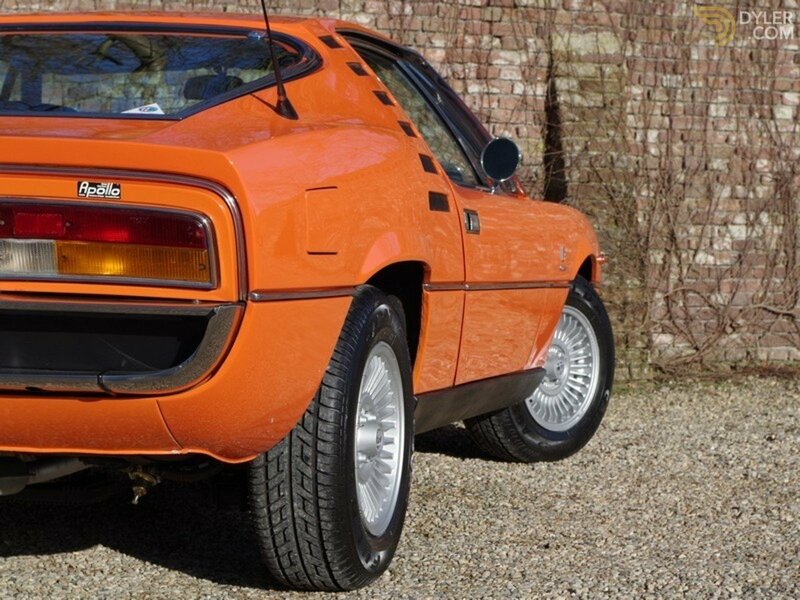 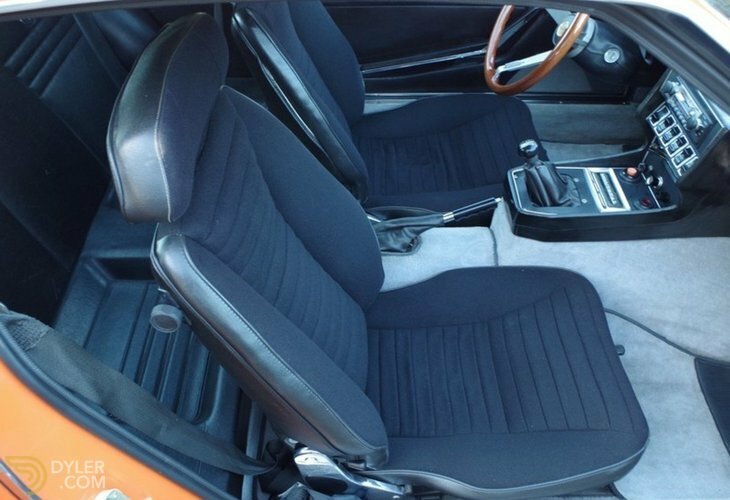 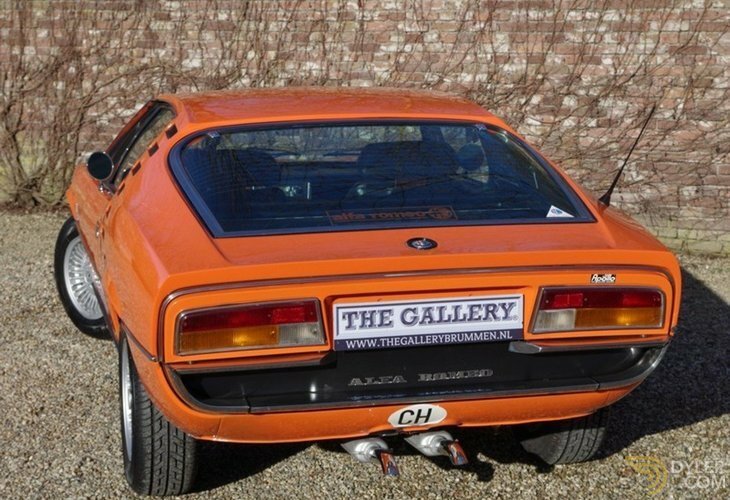 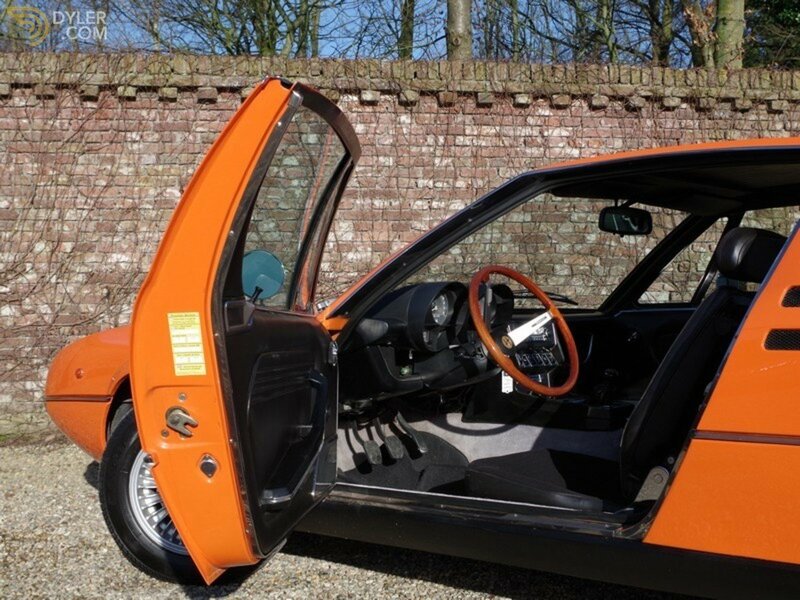 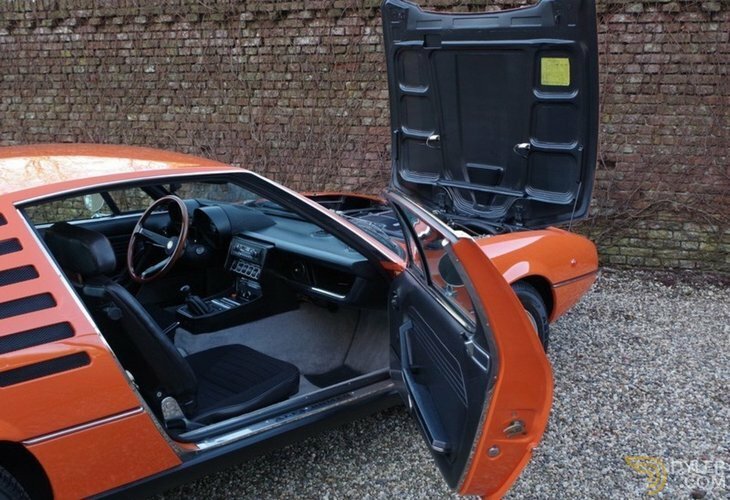 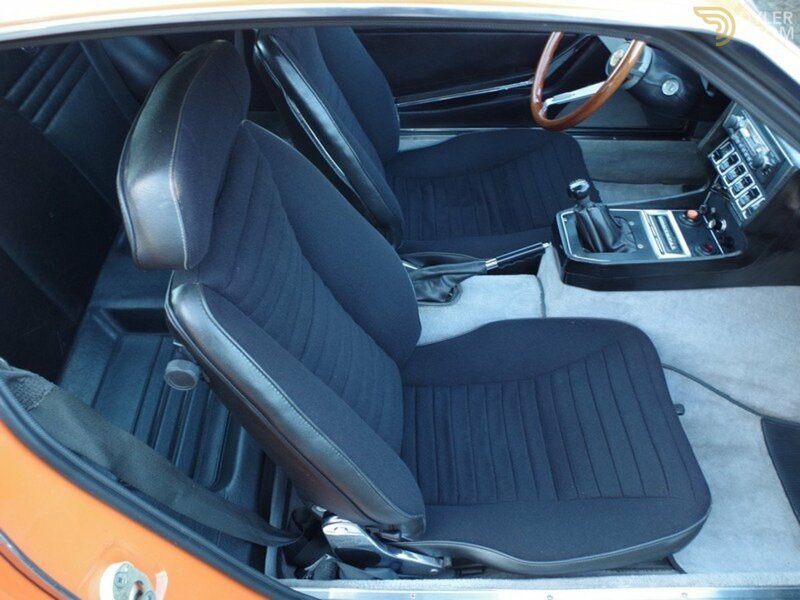 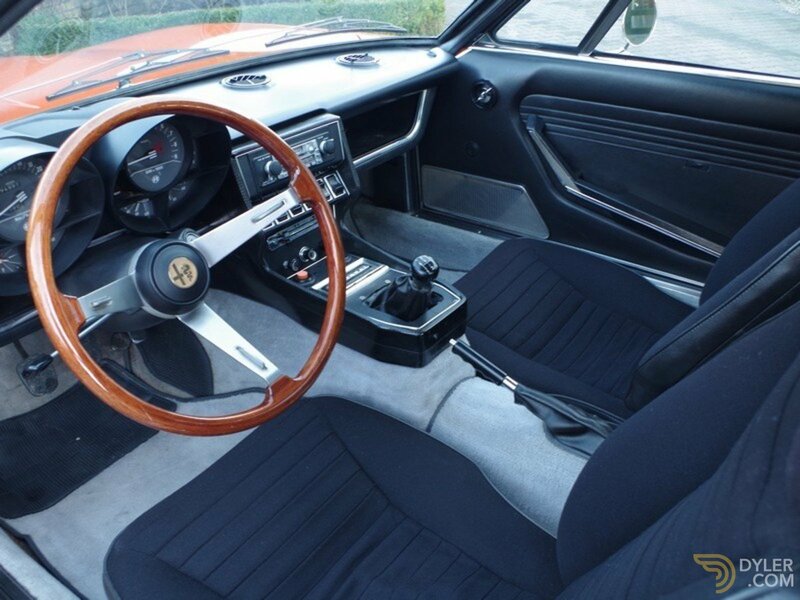 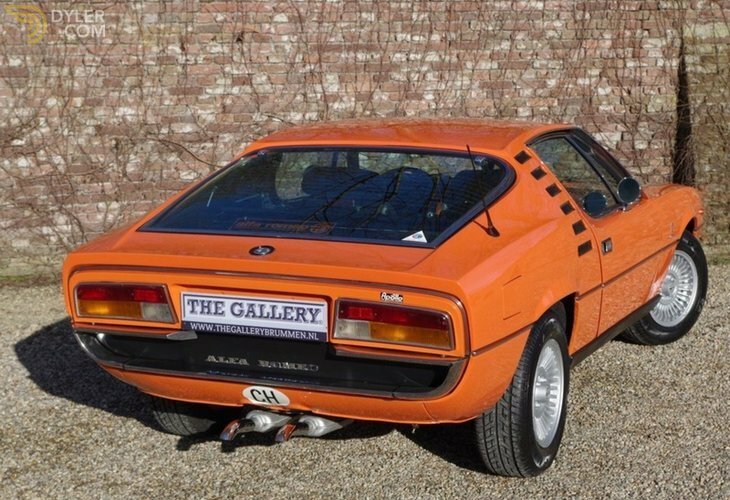 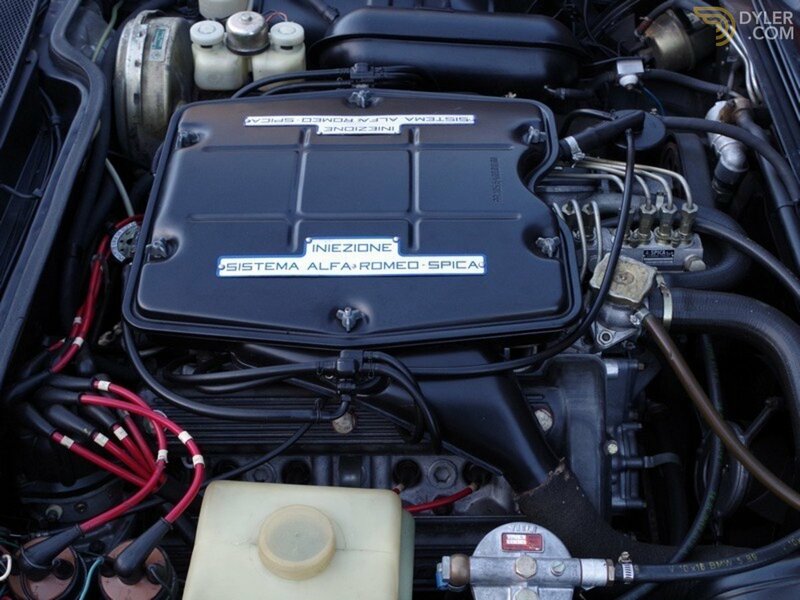 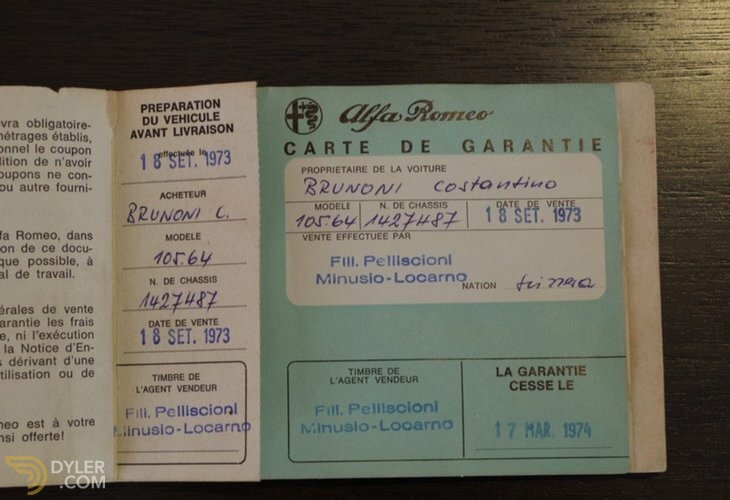 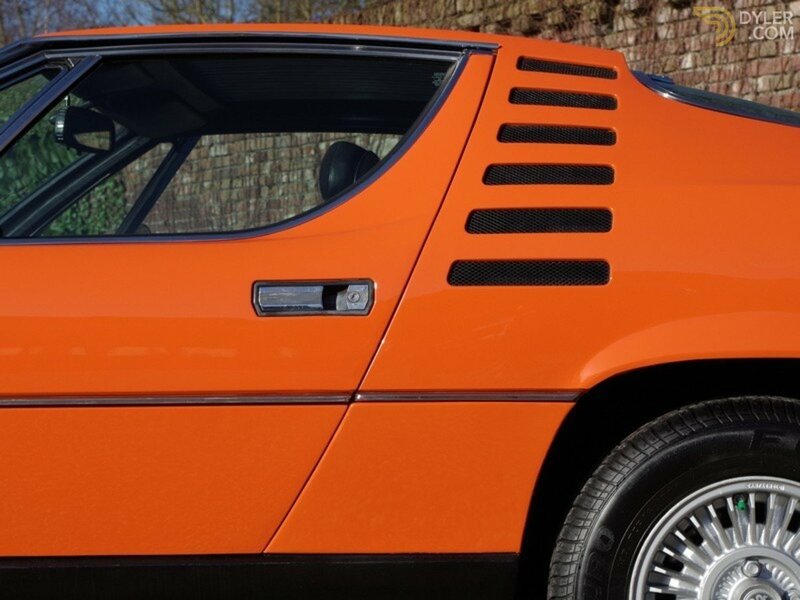 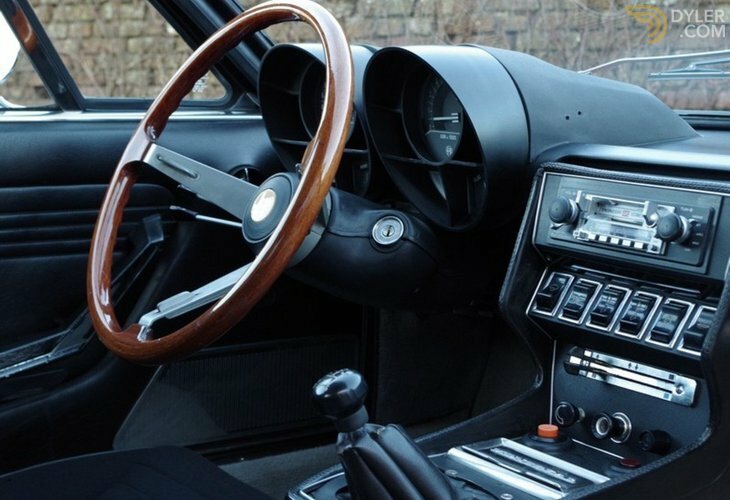 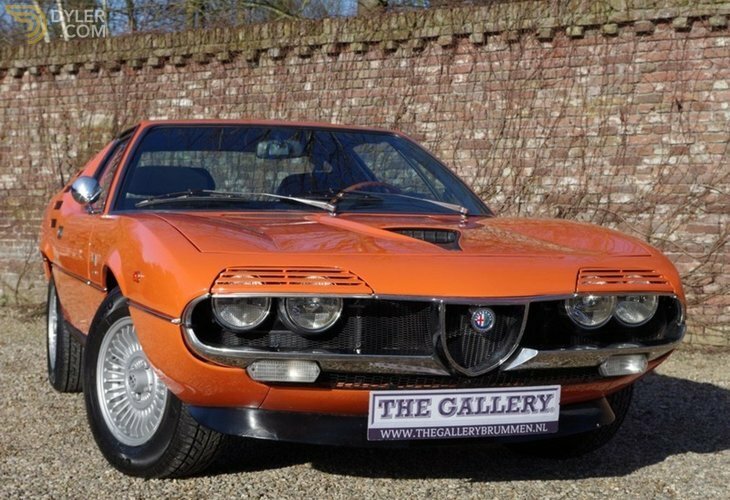 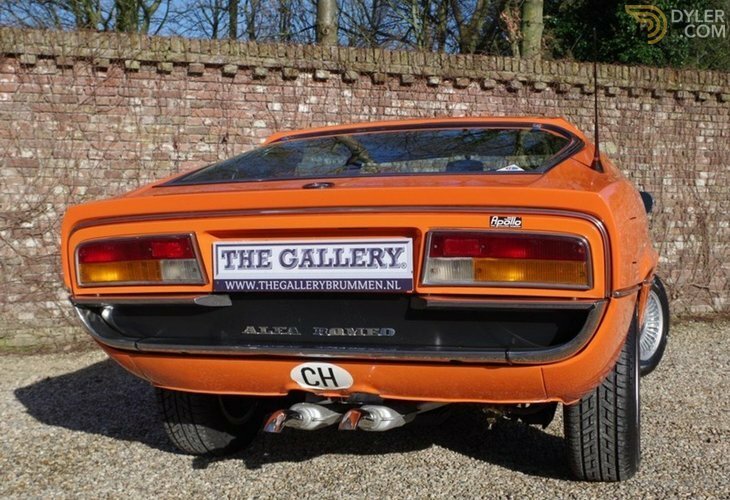 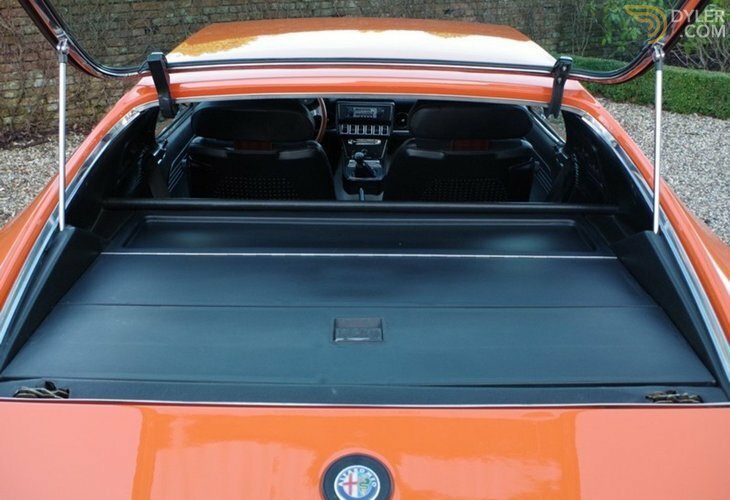 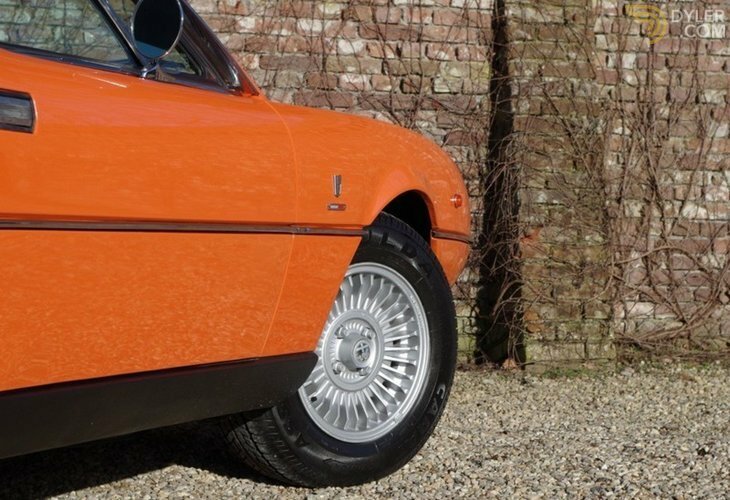 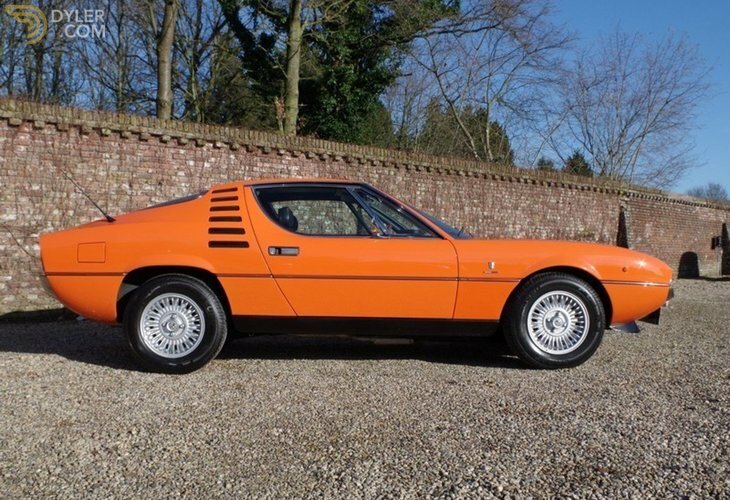 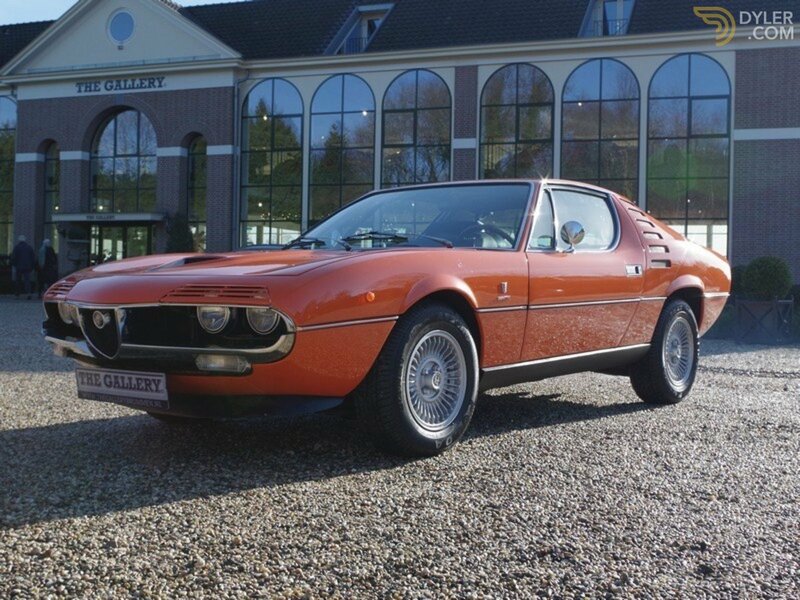 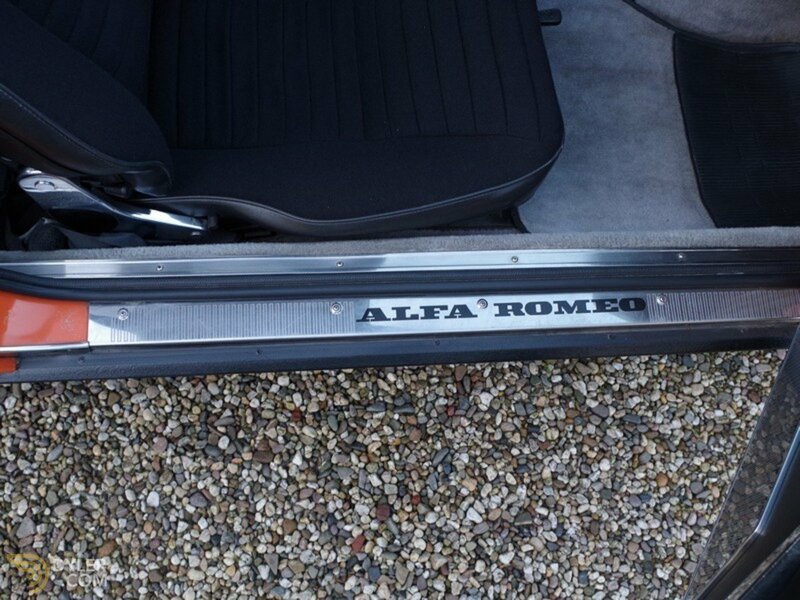 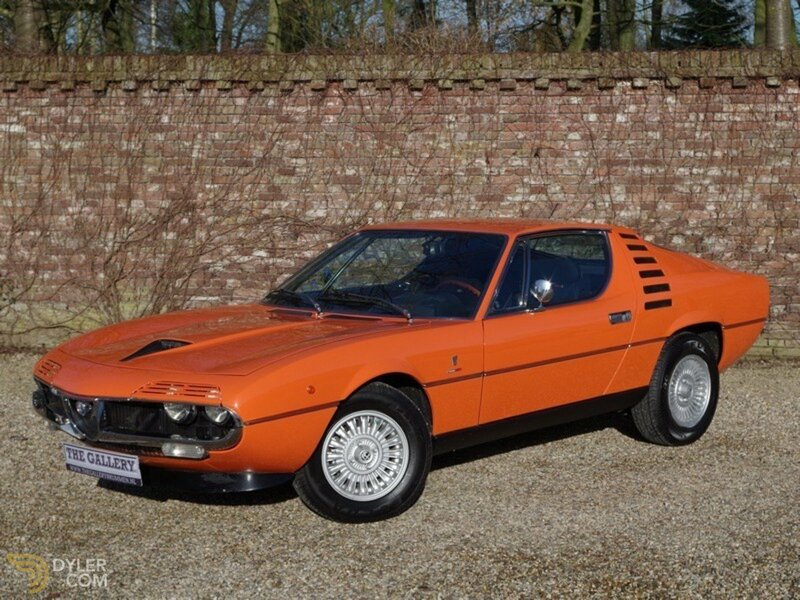 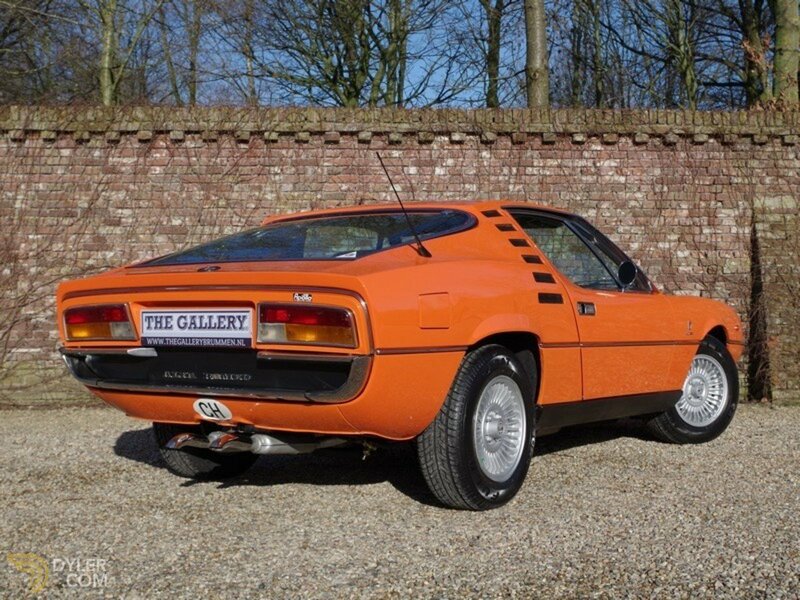 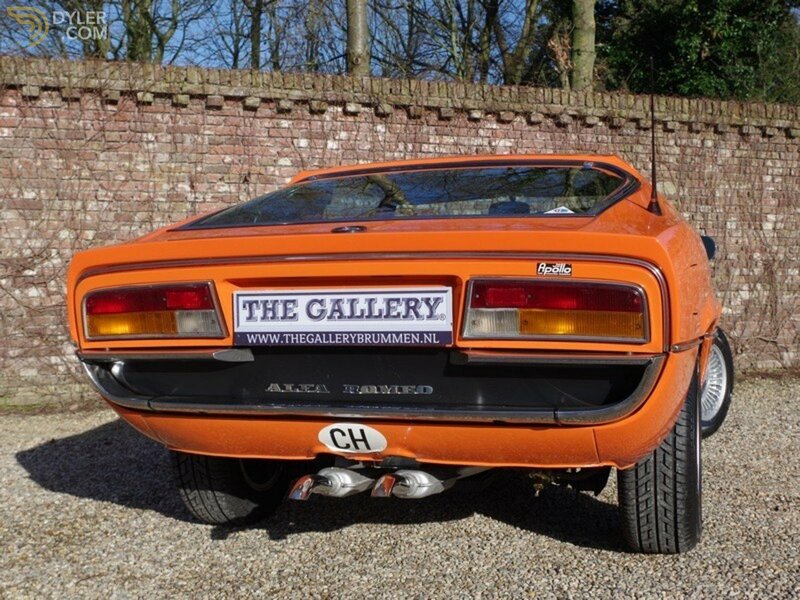 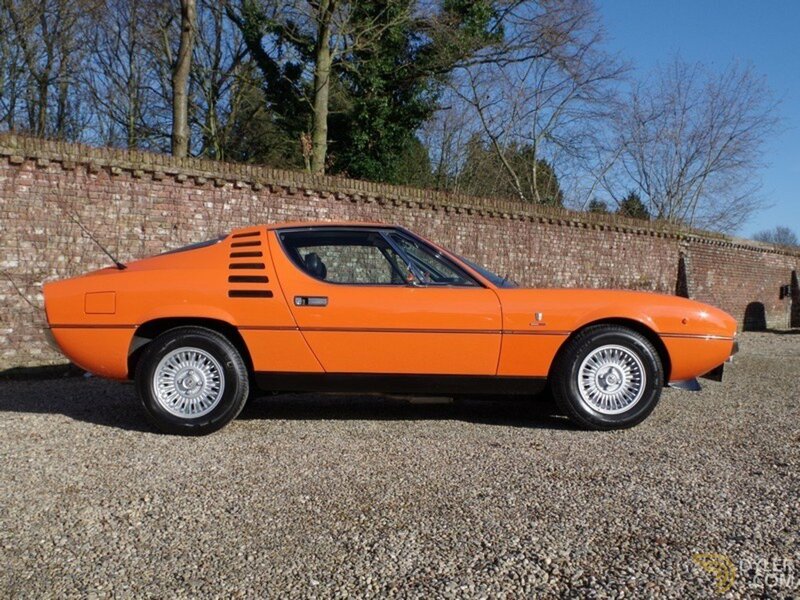 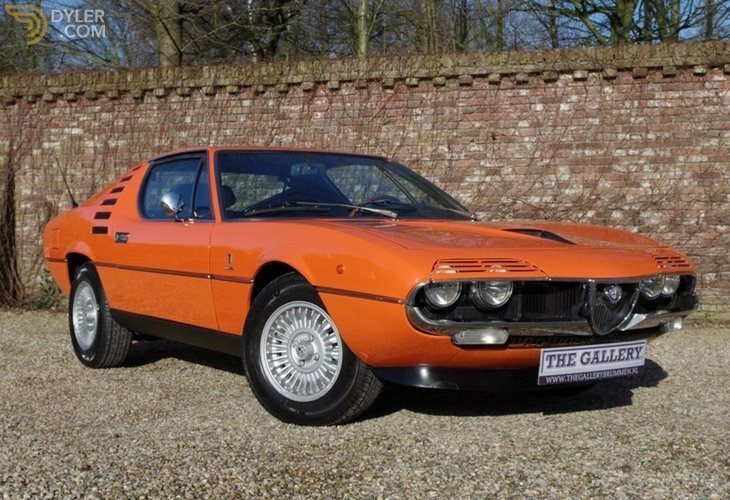 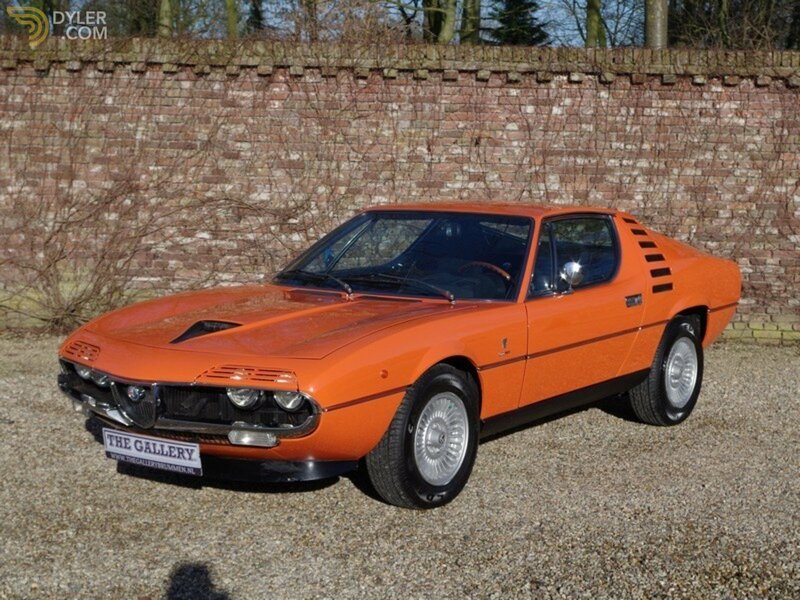 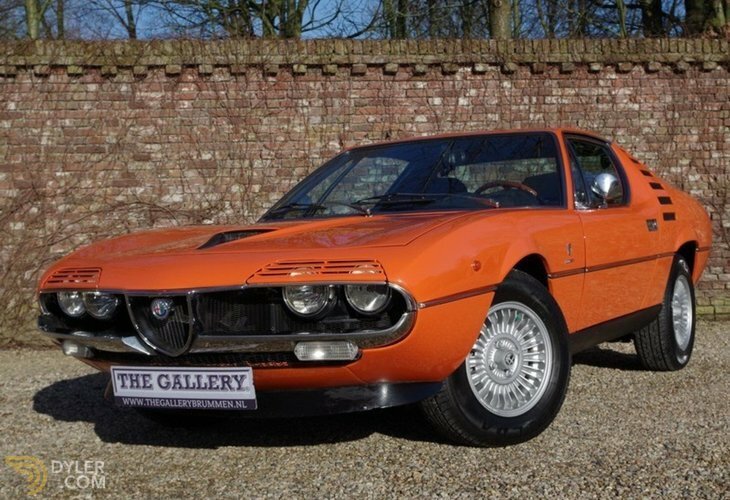 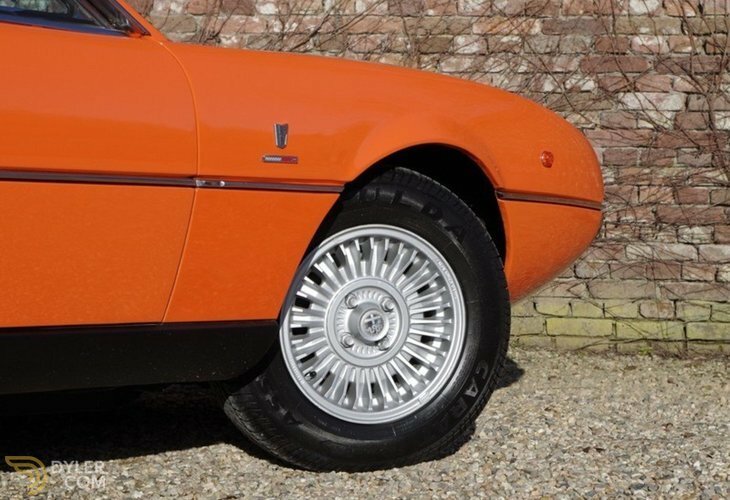 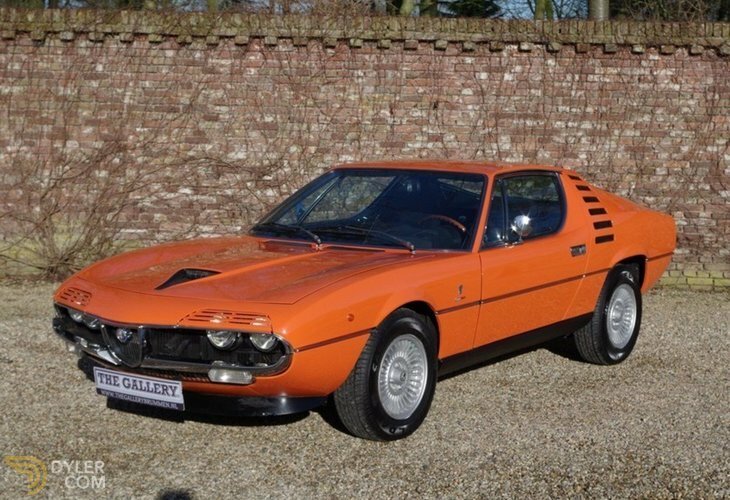 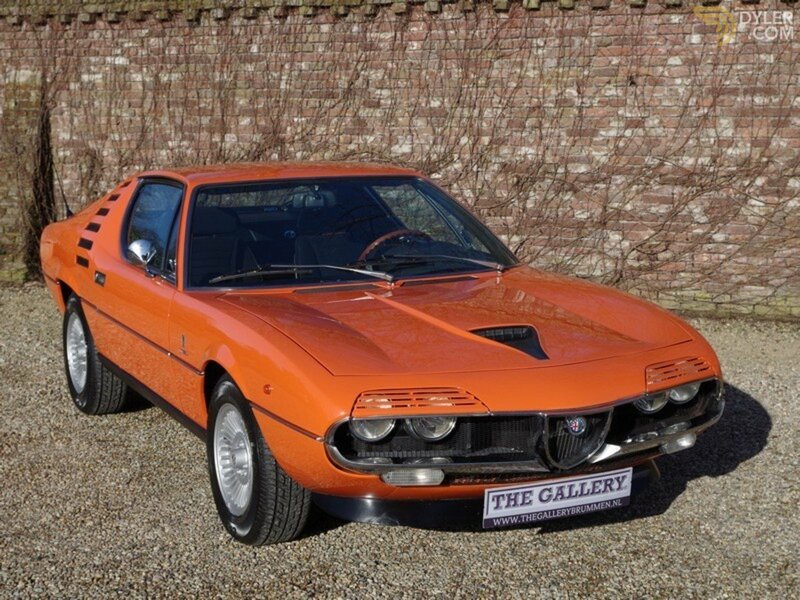 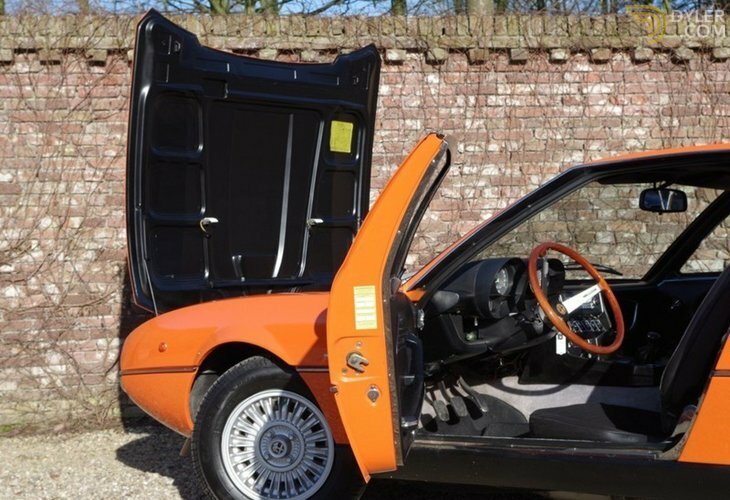 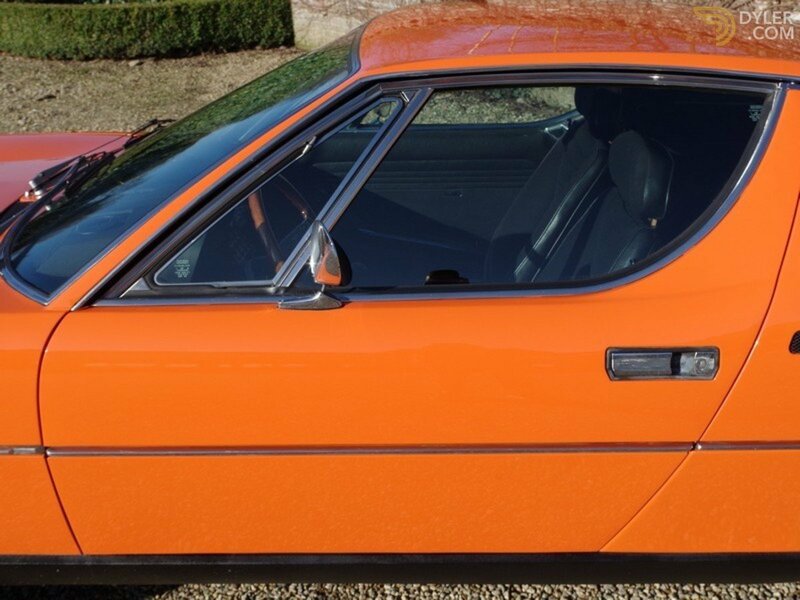 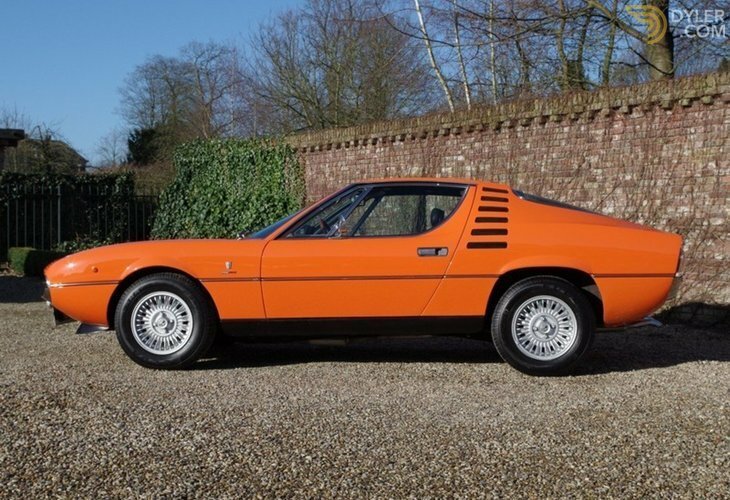 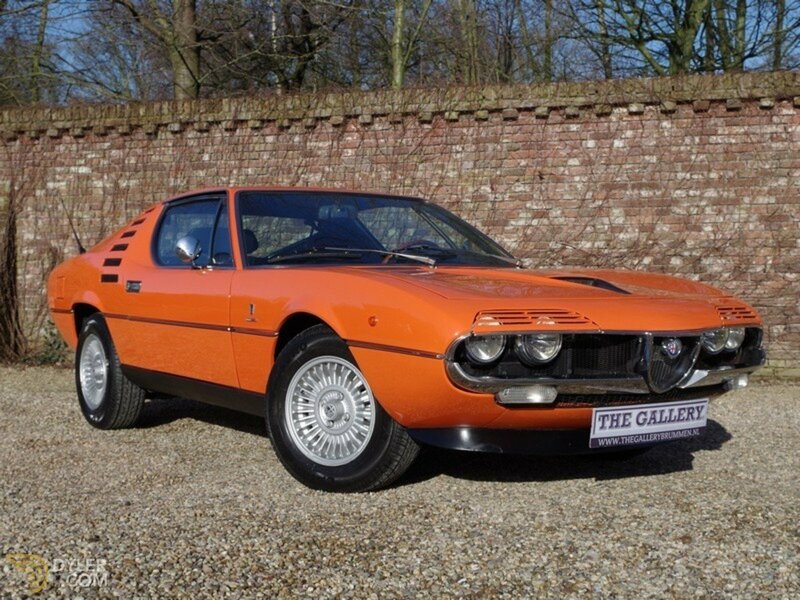 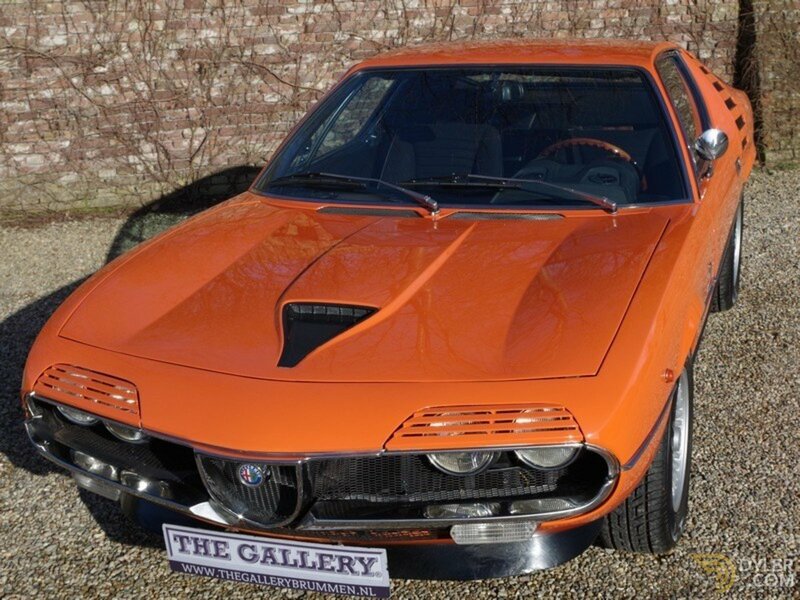 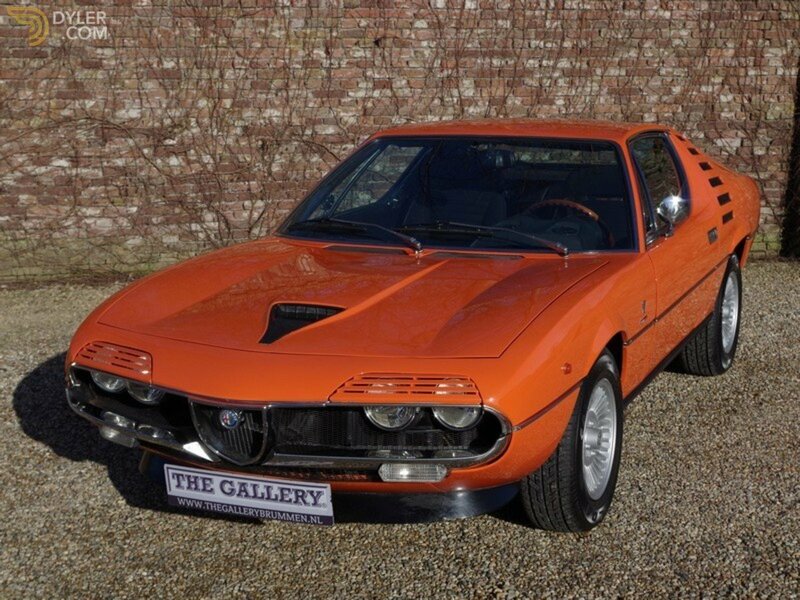 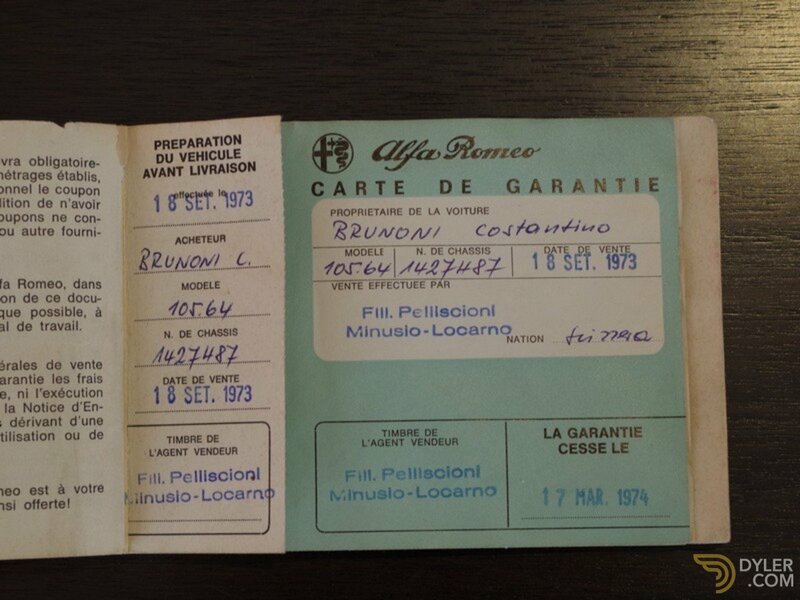 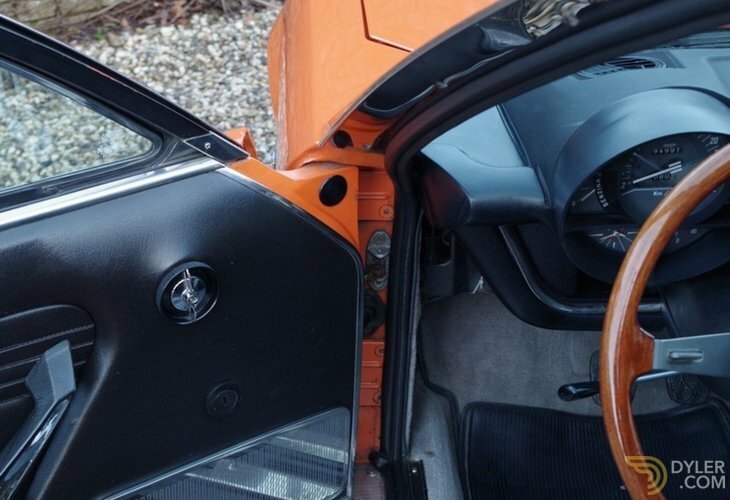 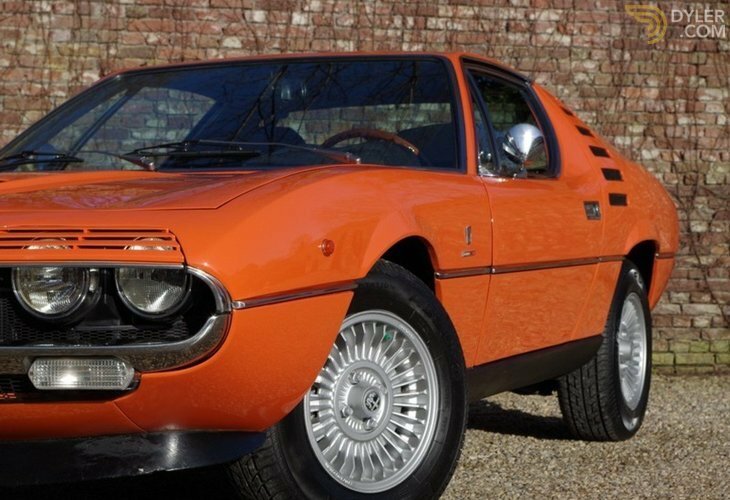 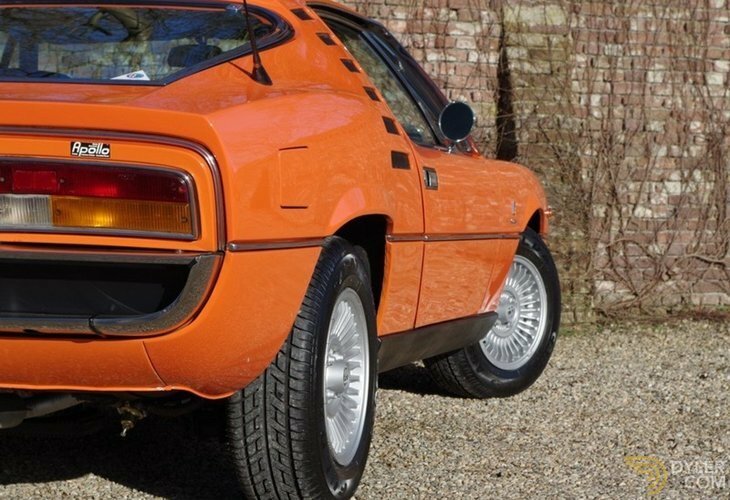 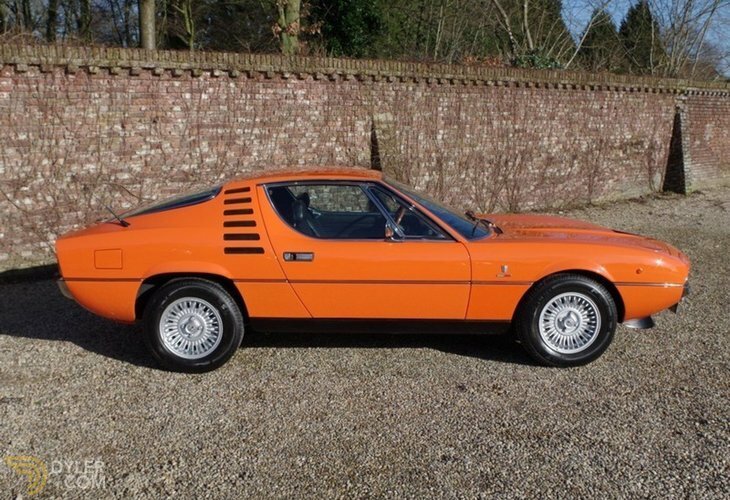 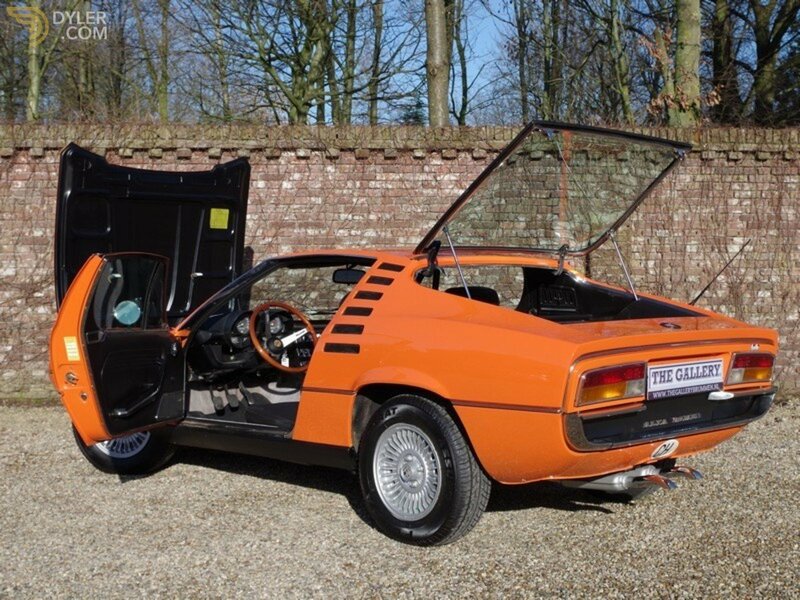 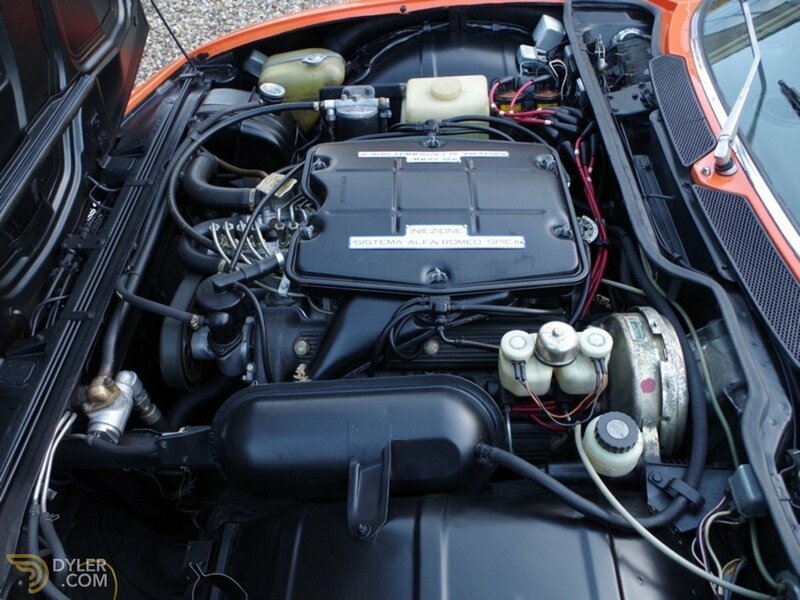 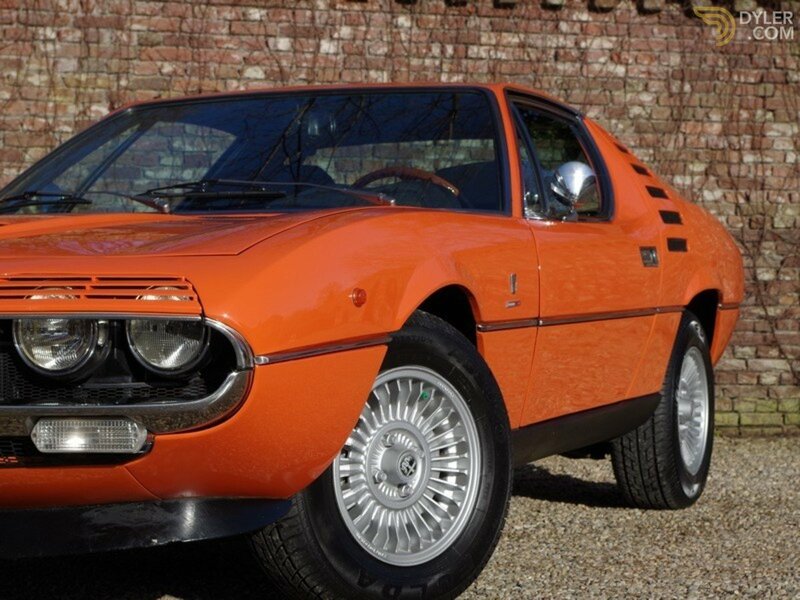 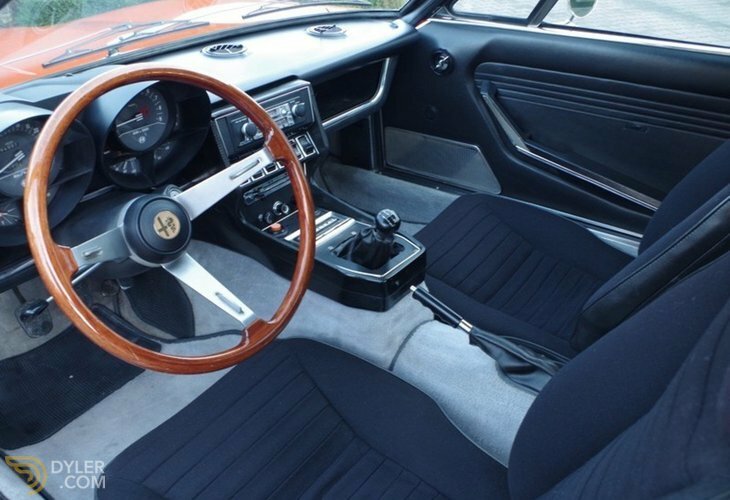 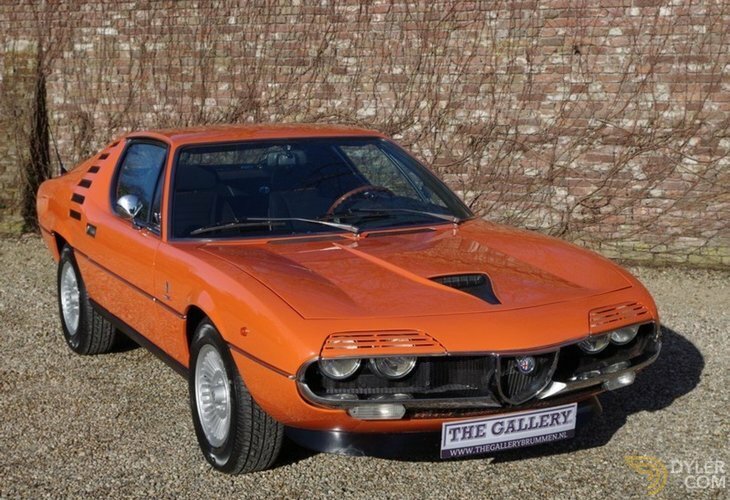 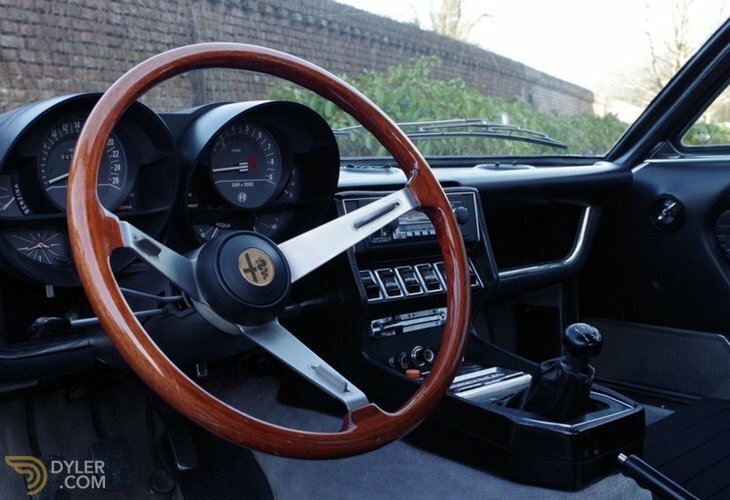 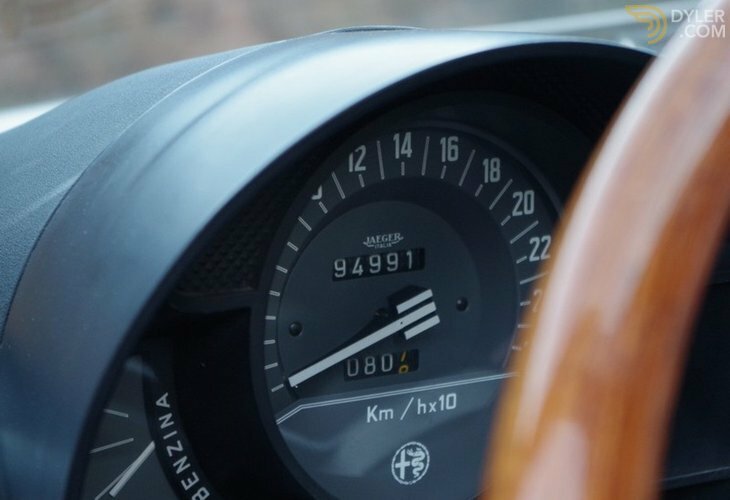 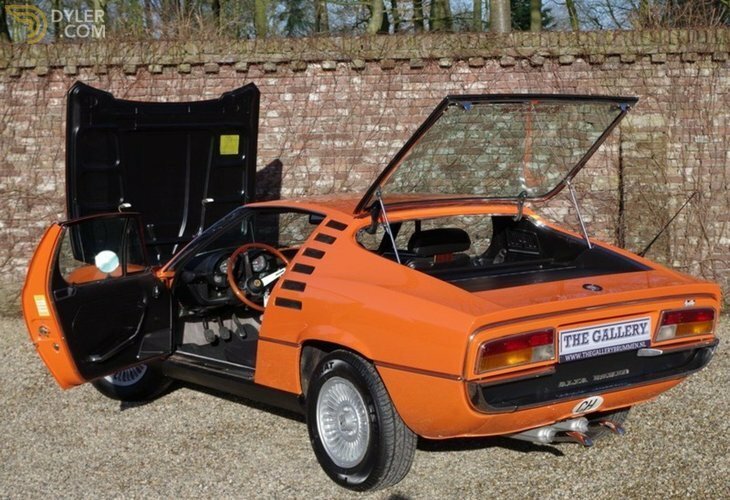 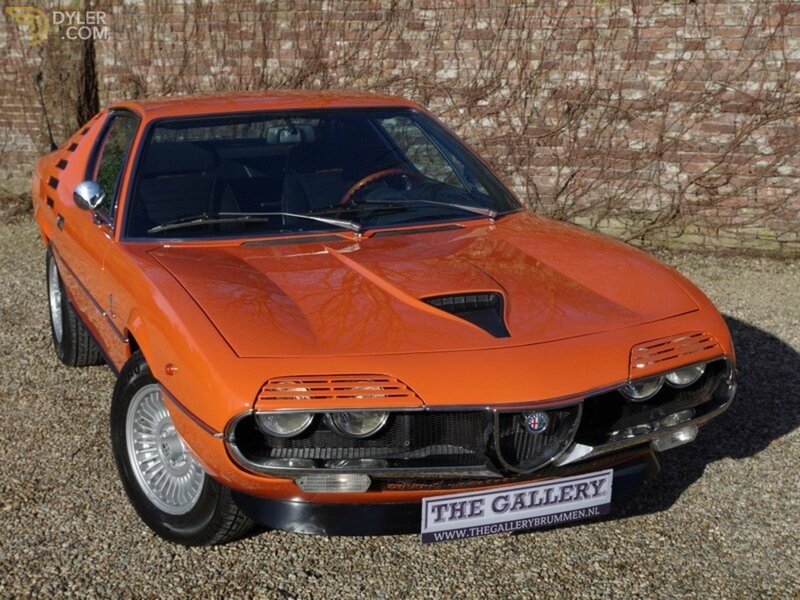 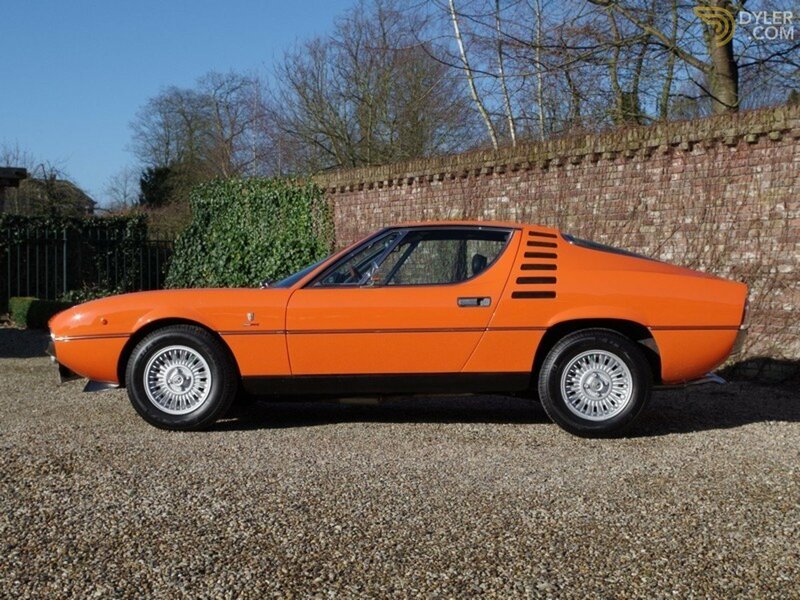 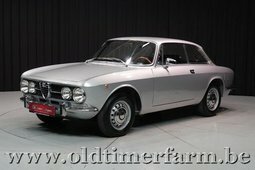 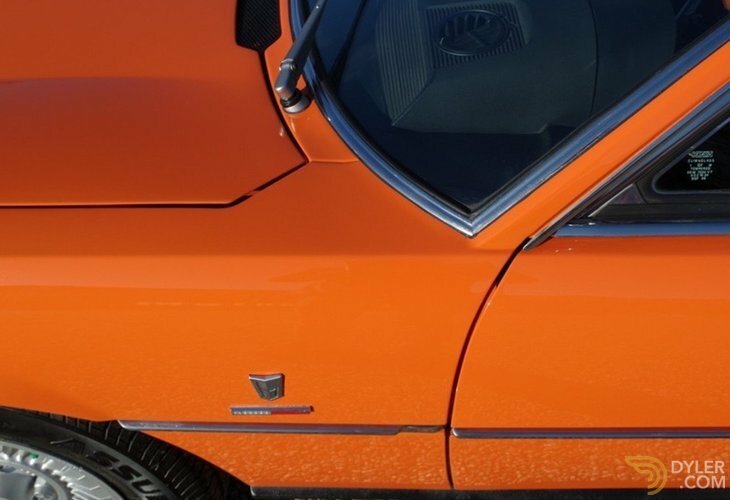 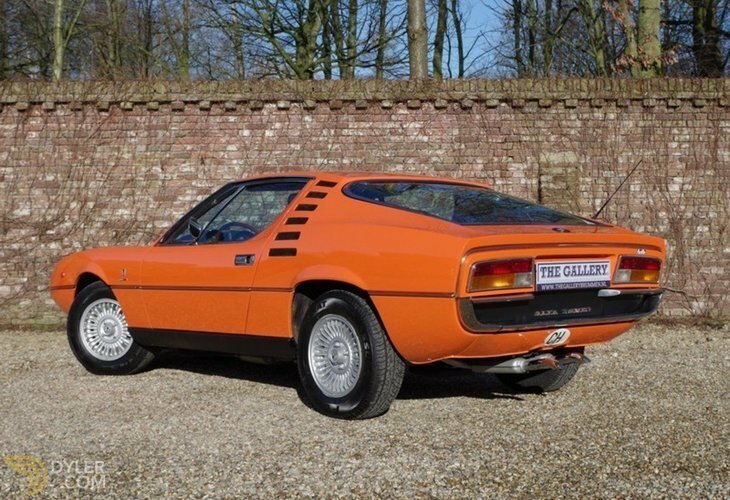 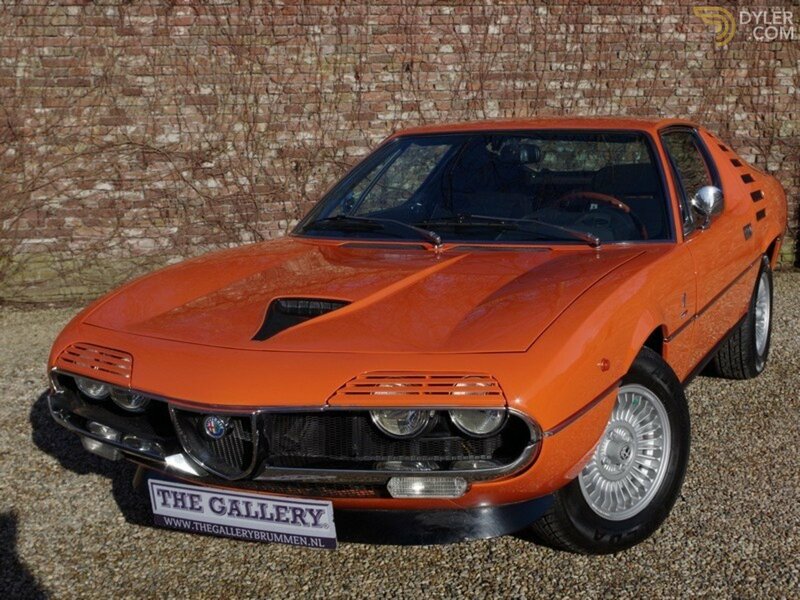 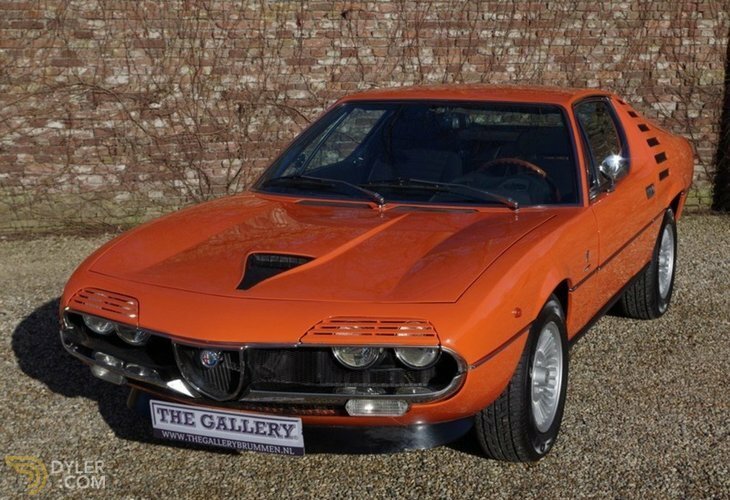 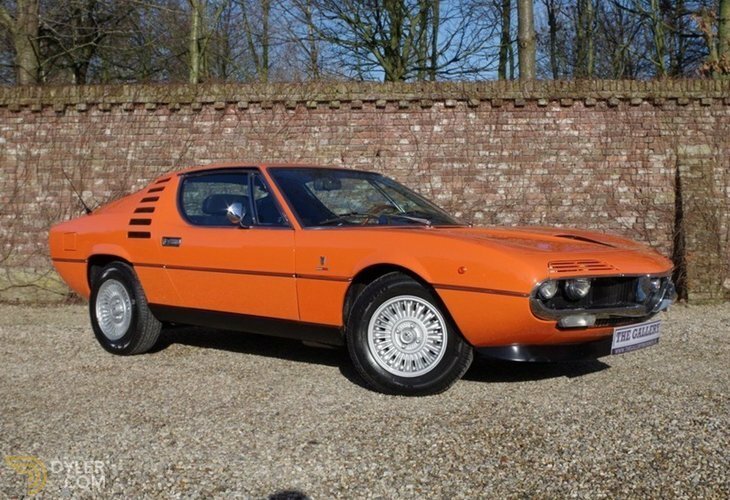 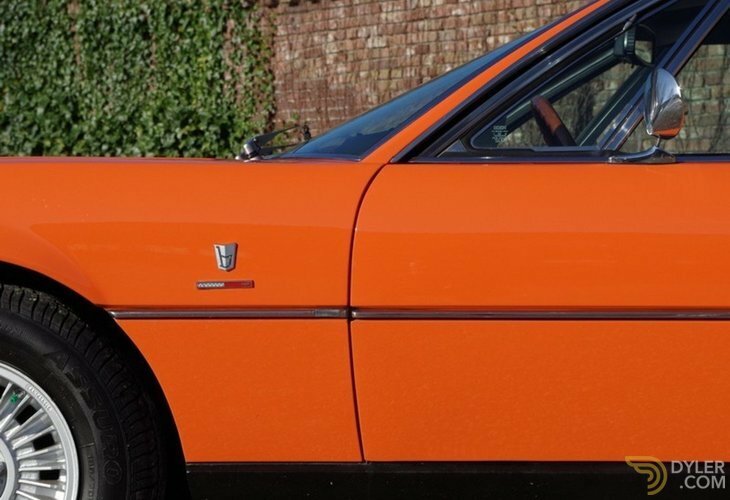 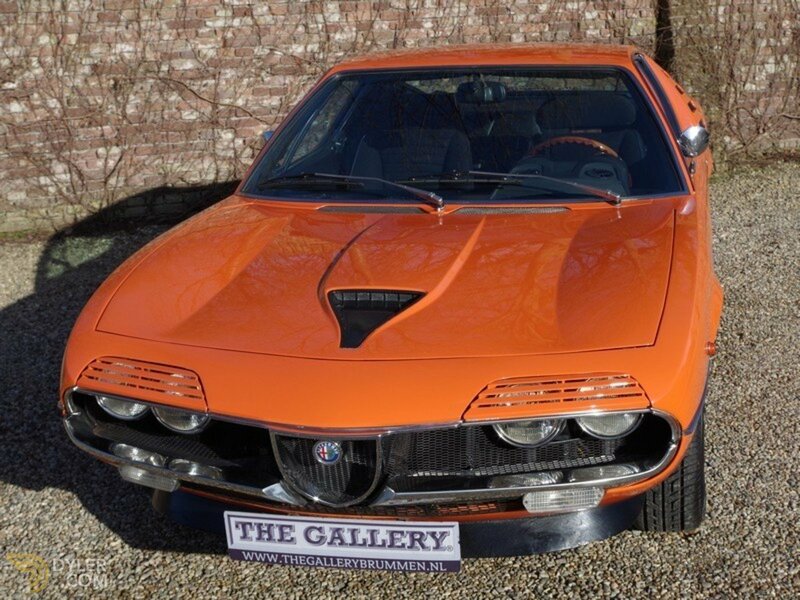 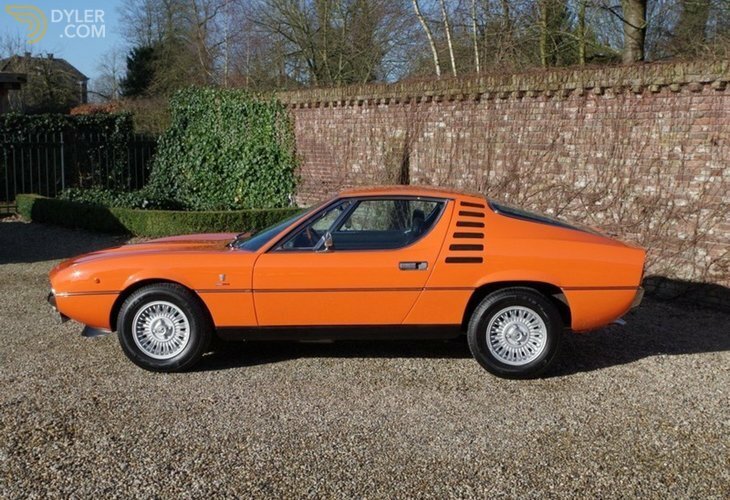 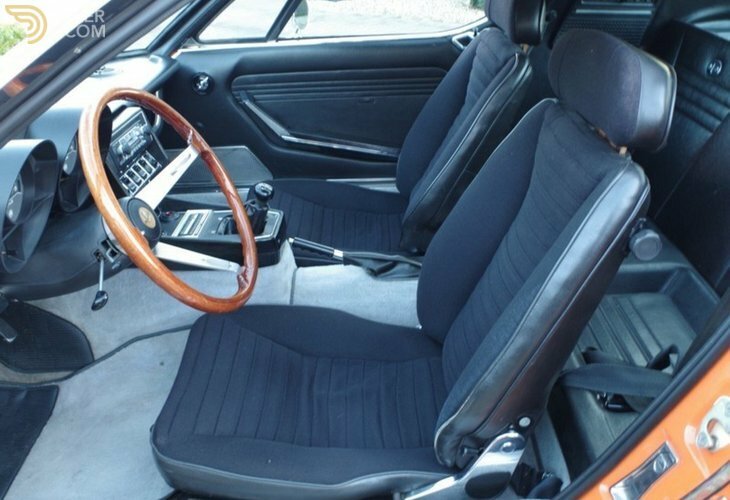 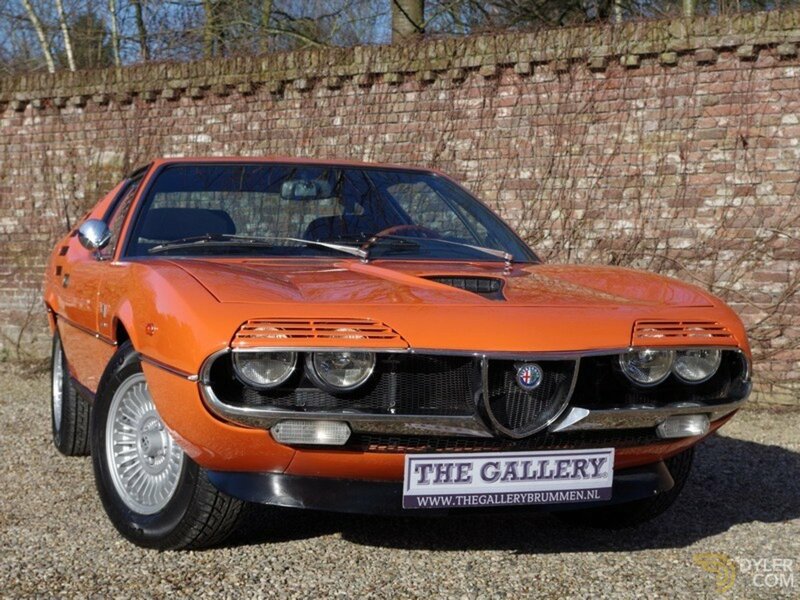 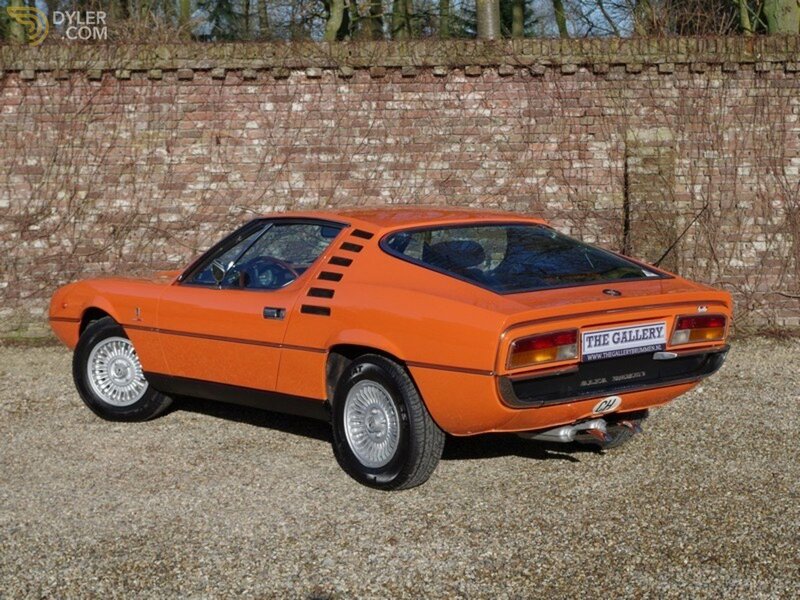 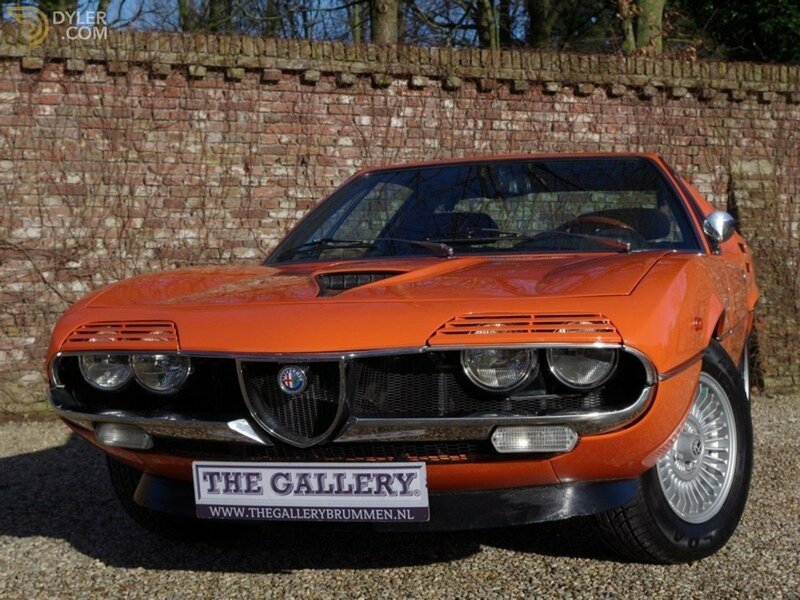 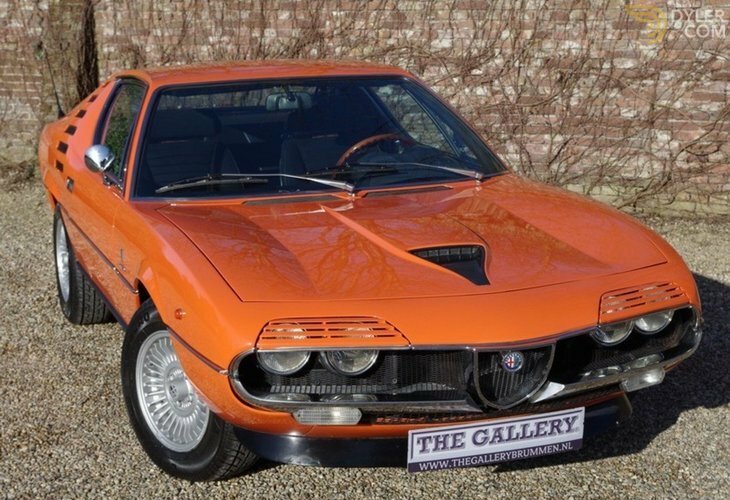 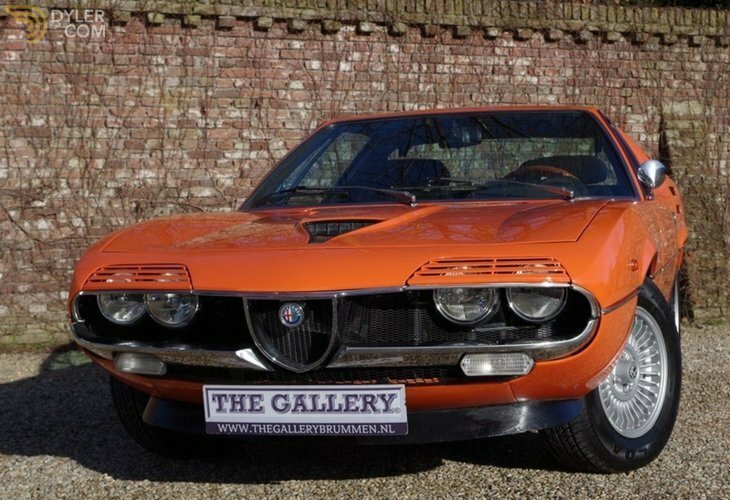 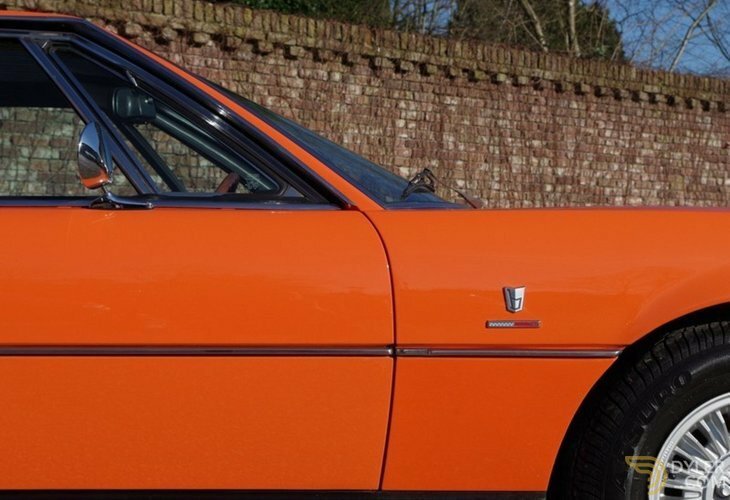 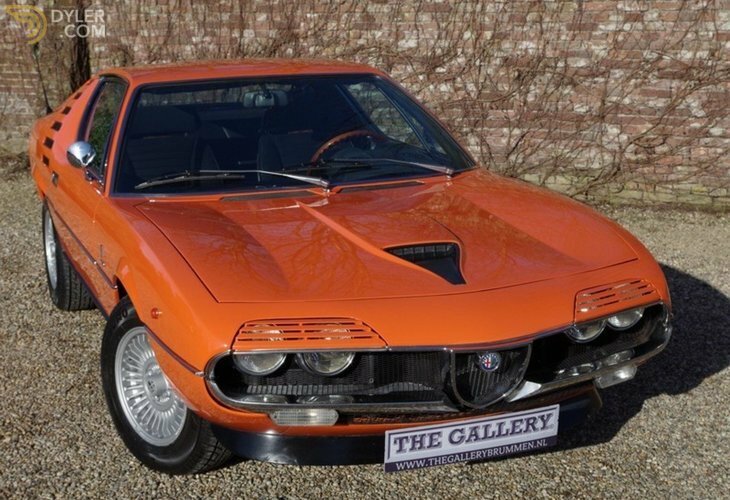 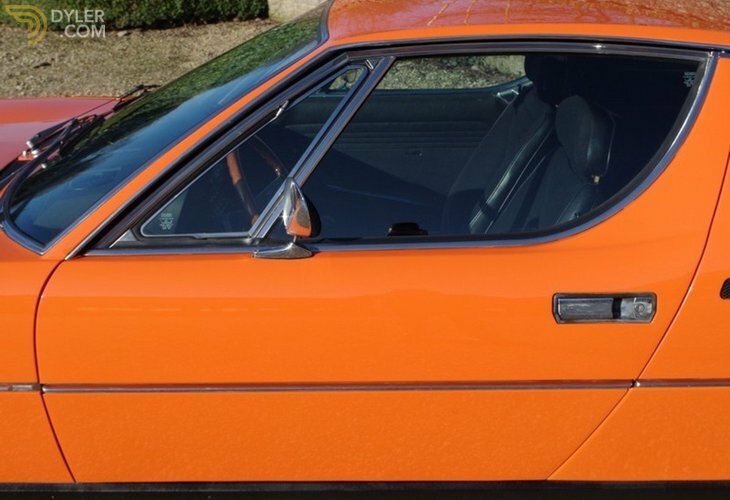 TOP original Alfa Romeo Montreal with extensive history! 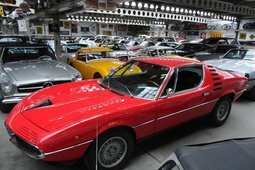 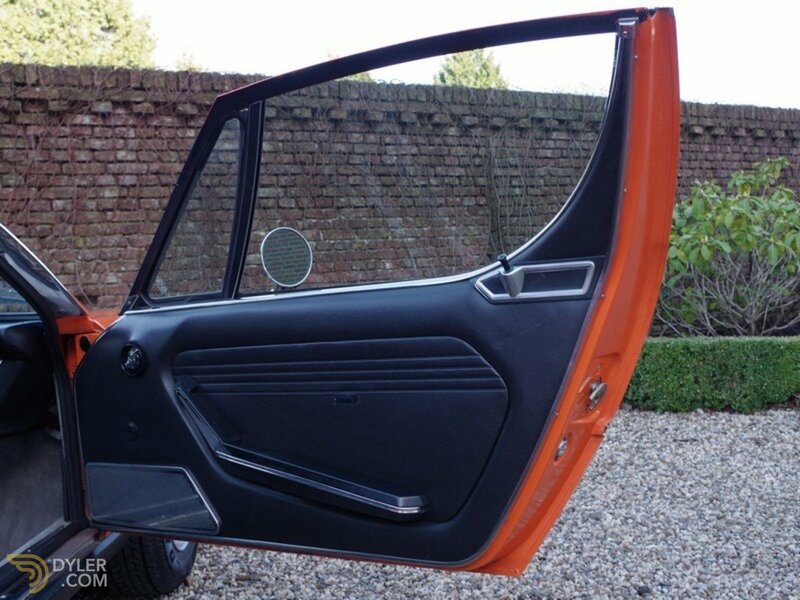 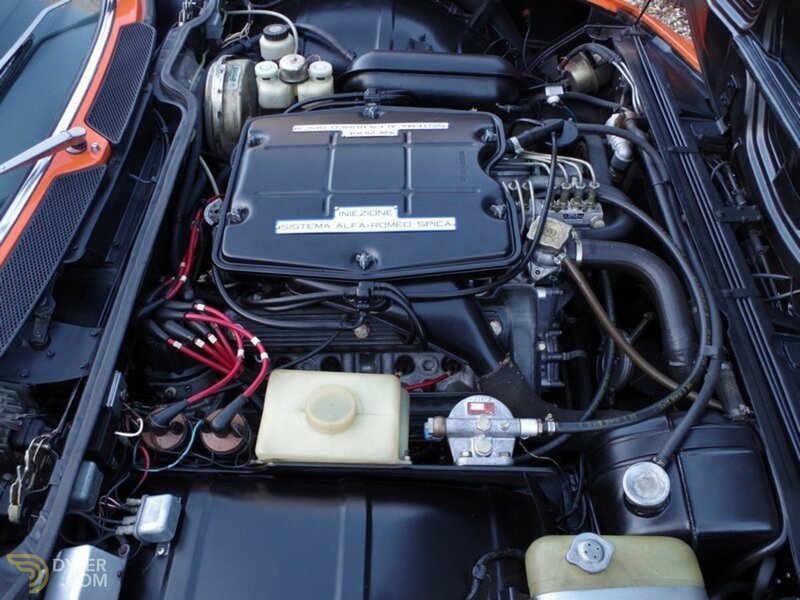 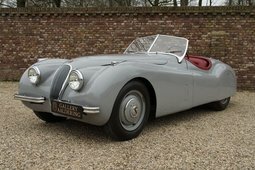 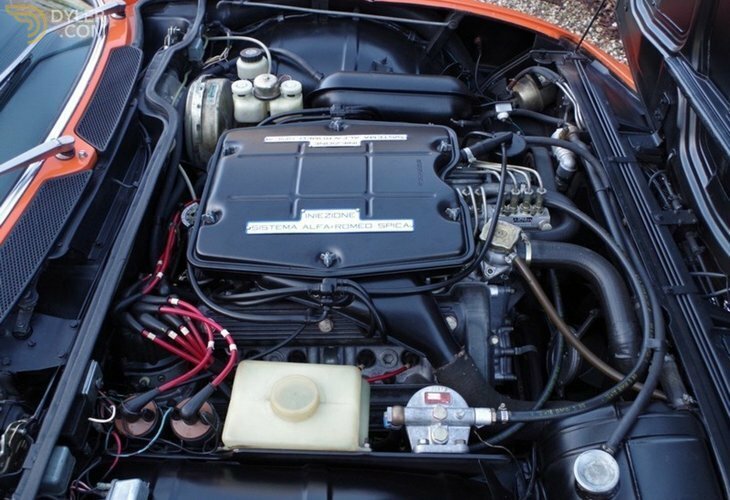 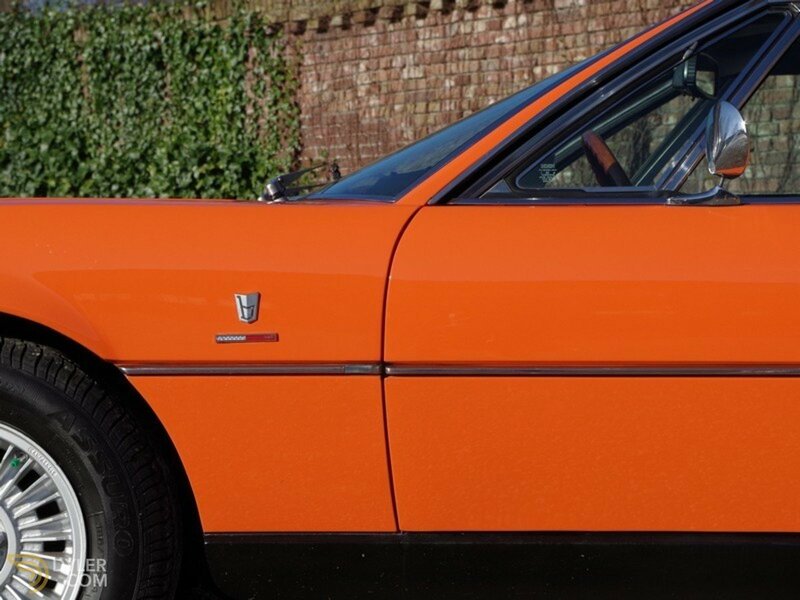 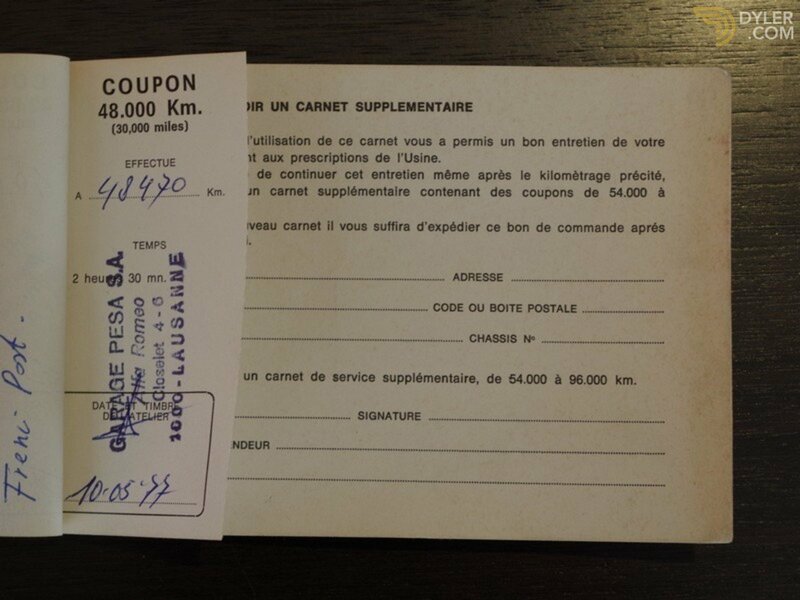 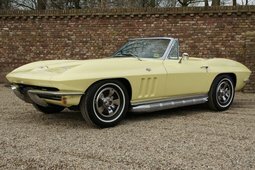 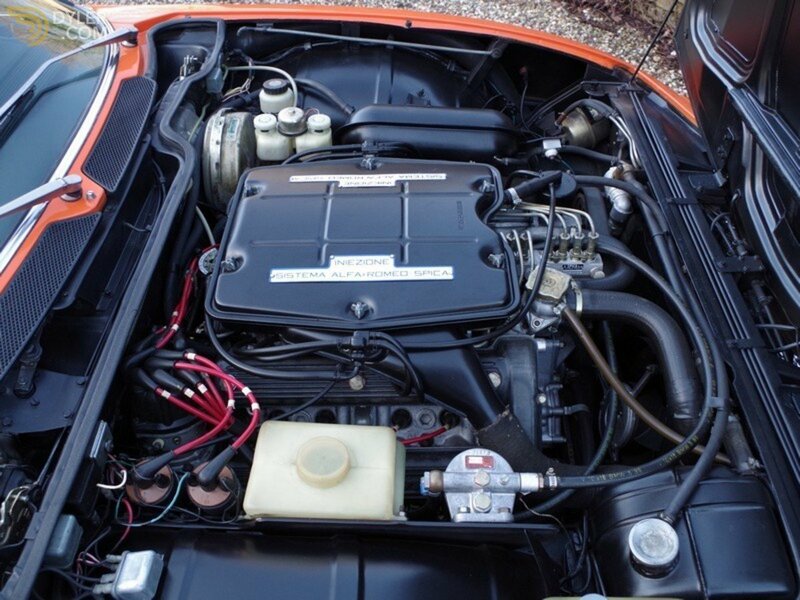 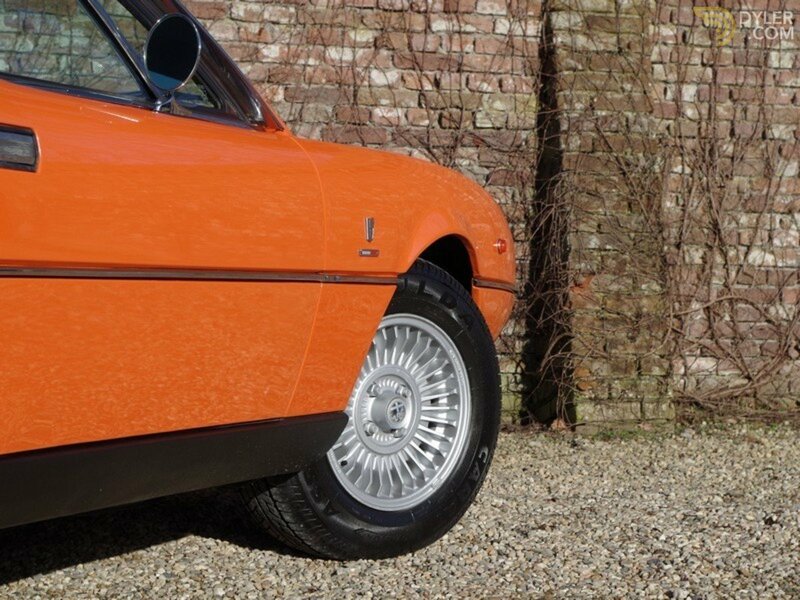 Over 350 Classic and sportscars in stock. 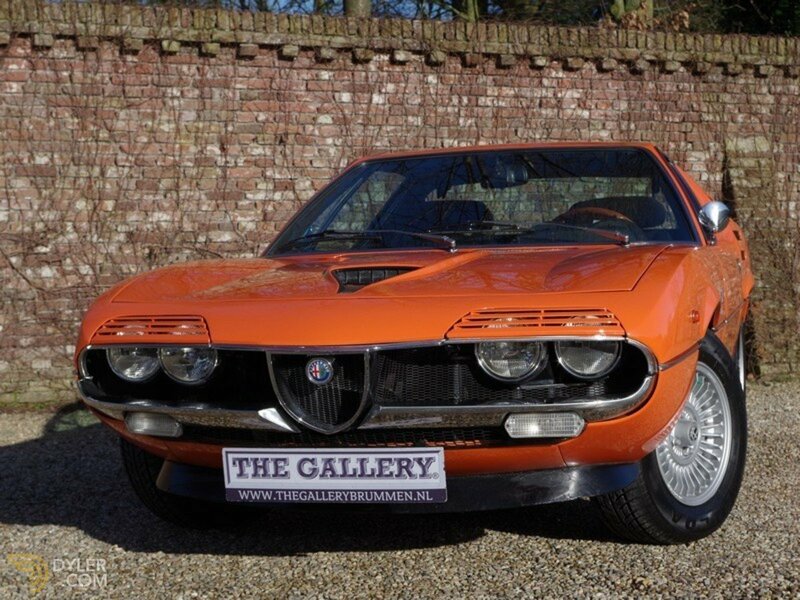 More information and photos on www.thegallerybrummen.nl. 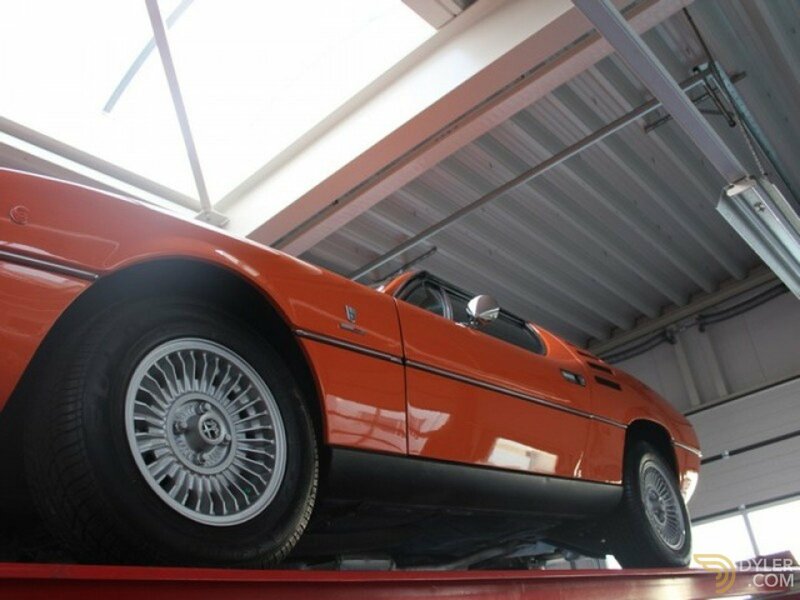 Or contact us by phone: 0031-575-564055 THIS VEHICLE IS IN OUR STORAGE, VIEWING BY APPOINTMENT ONLY.